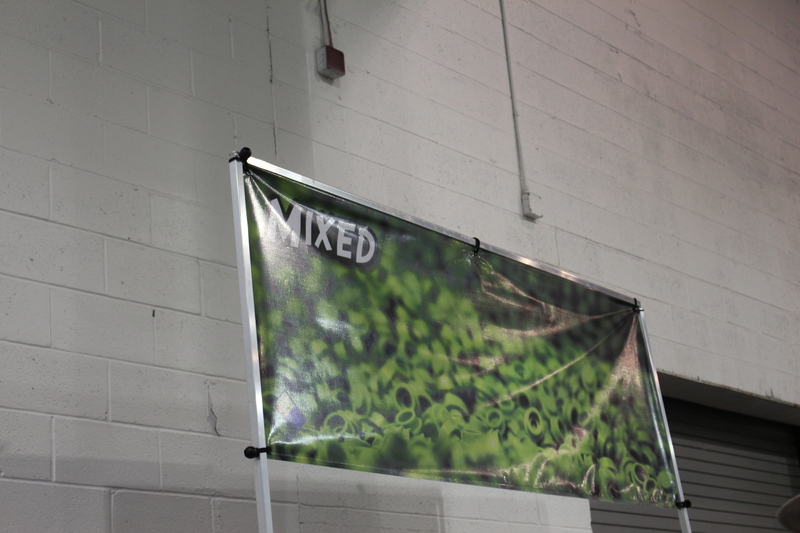 Virginia is for lovers. 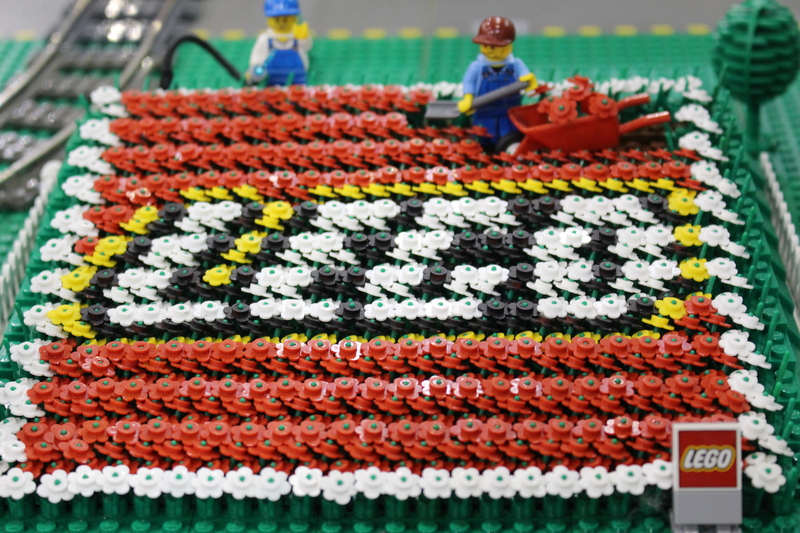 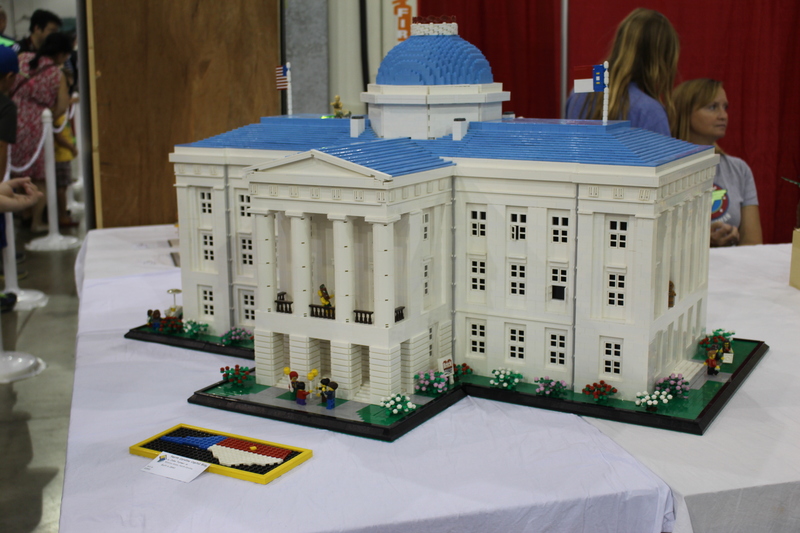 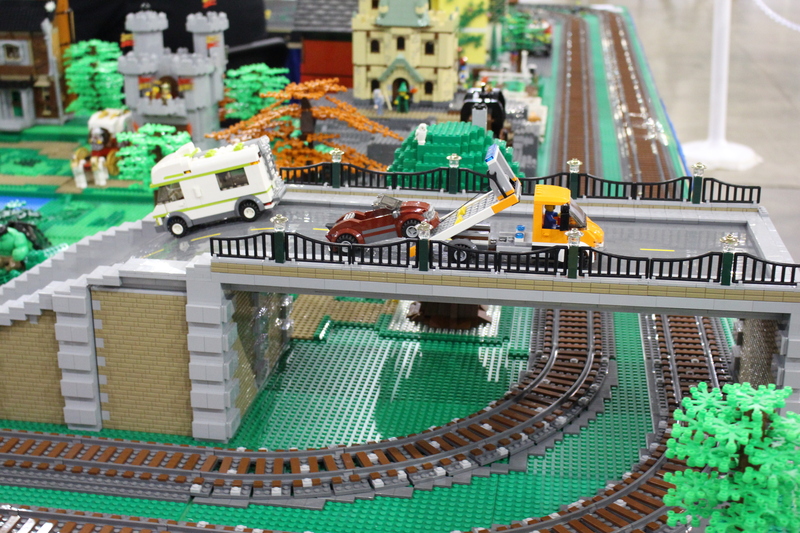 Chantilly, VA is for LEGO lovers. 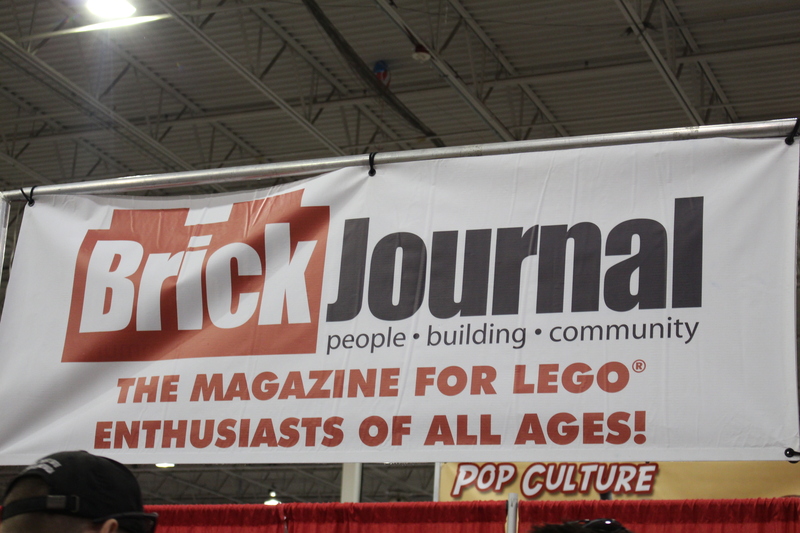 The Dulles Expo Center is most certainly. 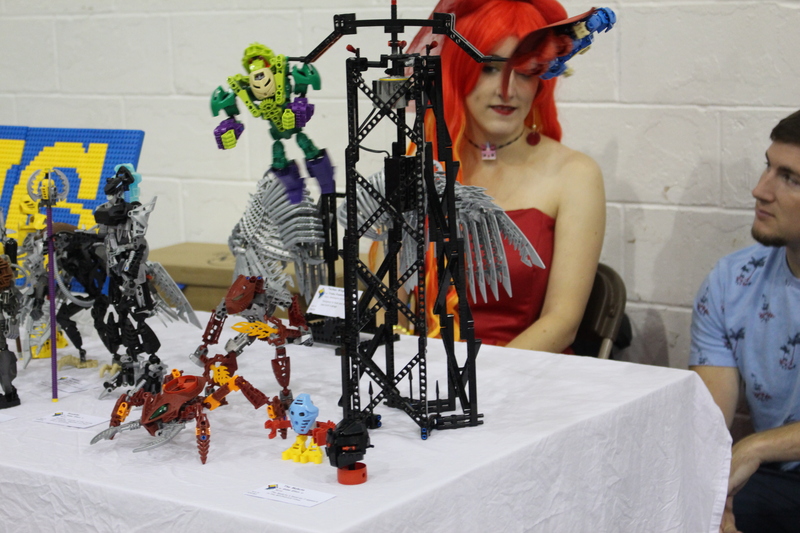 At least, this past weekend it was, as enthusiasts of varying degrees occupied the locale to see and to have seen displayed creations running the gamut from history to pop culture to fantasy to mixed media; wares for sale; and a few cosplay moments, such as the lovely young woman dressed as Wyldstyle from The LEGO Movie. 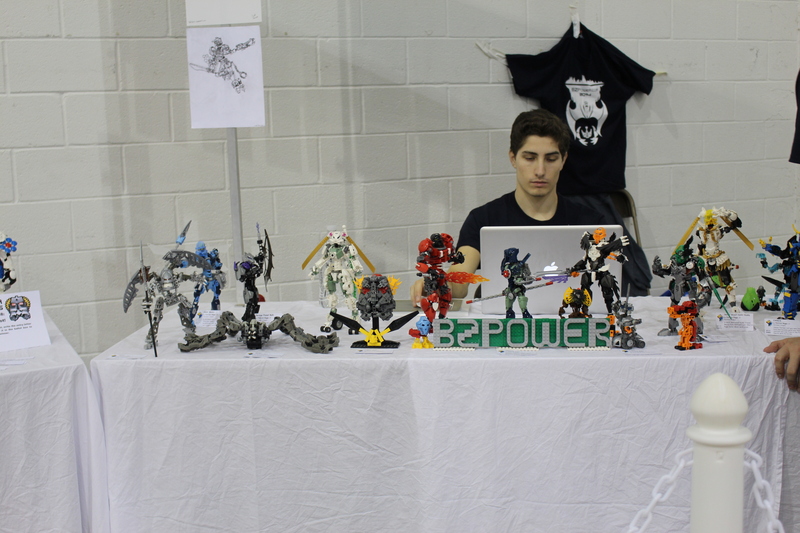 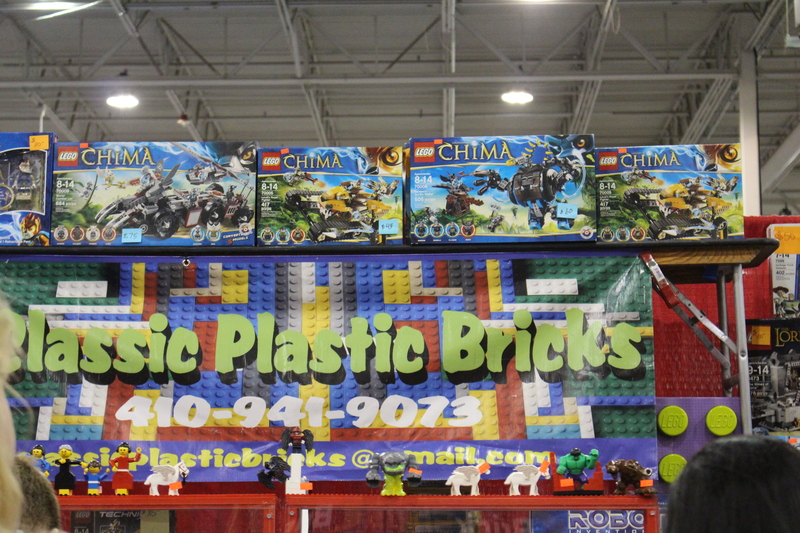 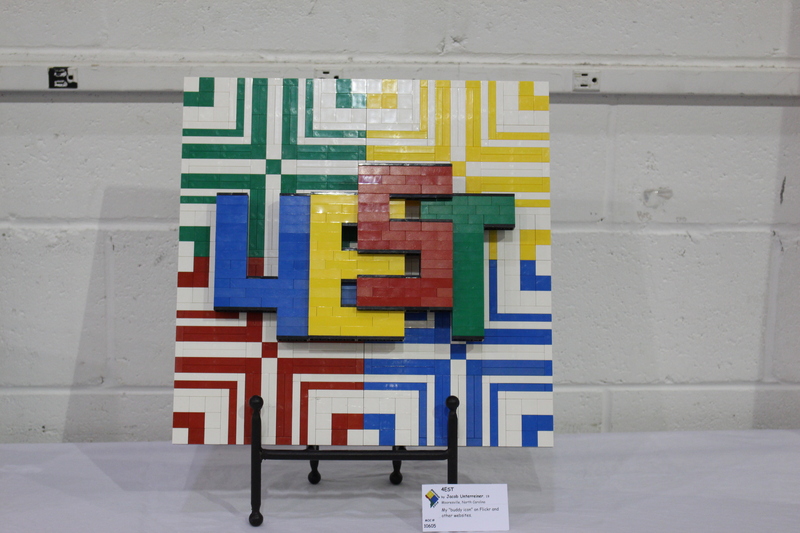 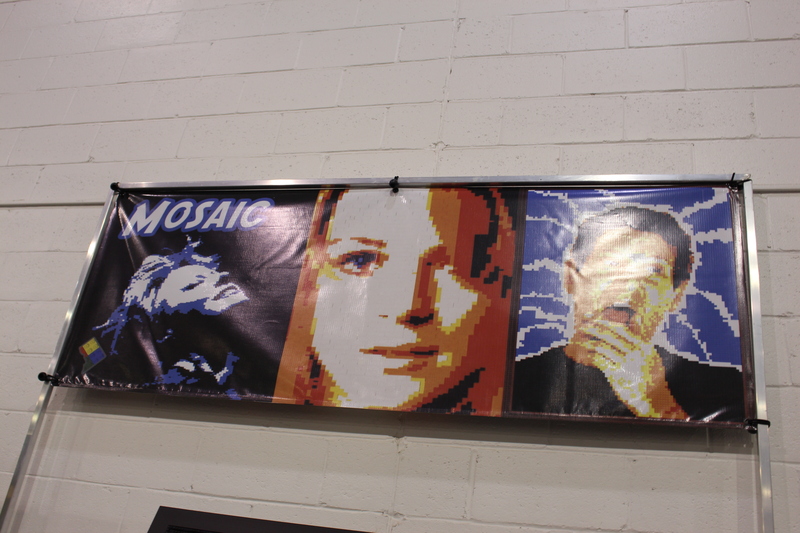 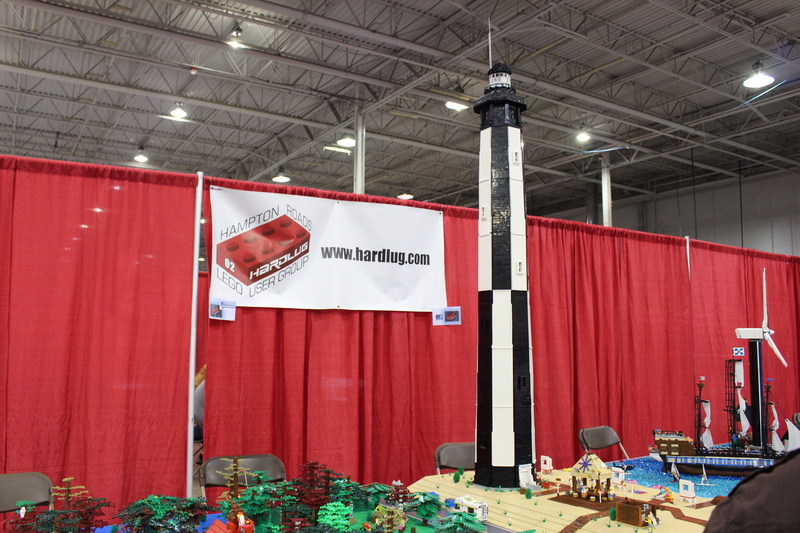 Because this was my husband’s first year as an exhibitor with the Baltimore-based LEGO fan group, Charm City LUGS, much more of his time (read: much more of our time) was invested in preparing for BrickFair. 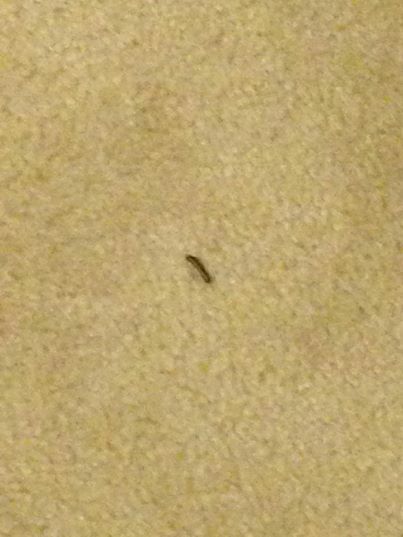 He and I spent every conversation, breath, waking moment, slumbering moment living for the event. 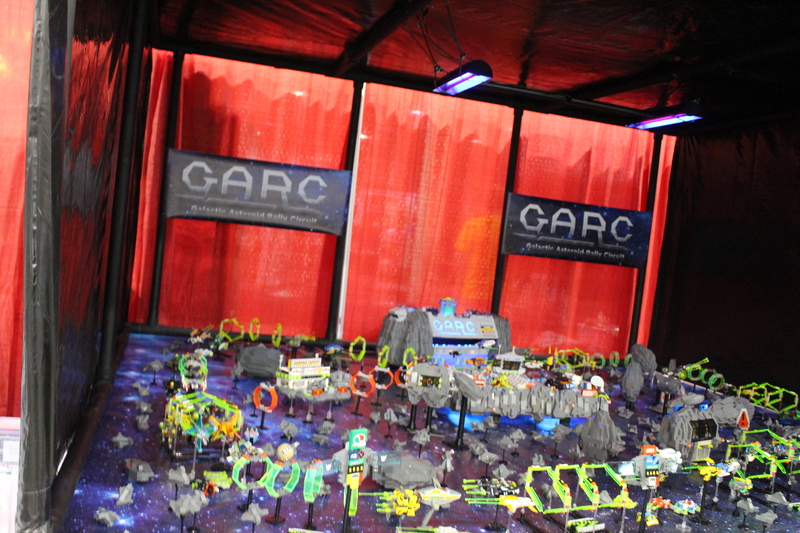 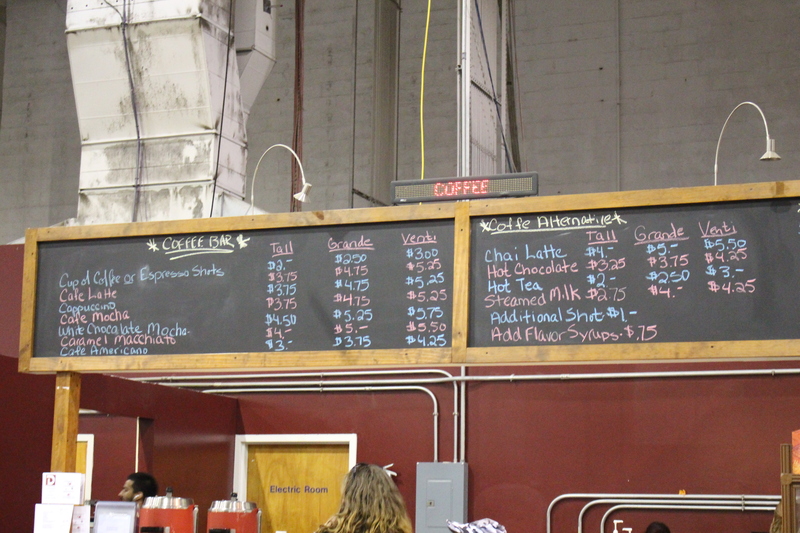 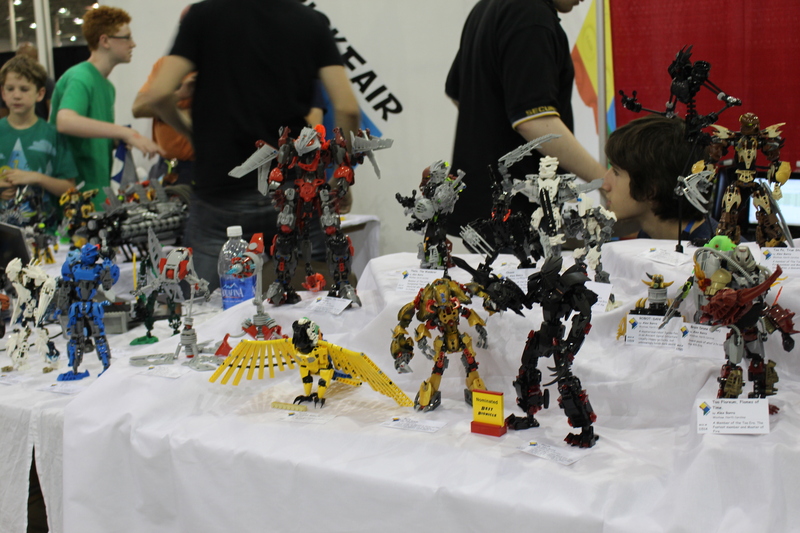 Officially, as all exhibitors do, he prepared more directly in the expo center for the three days prior to the weekend. 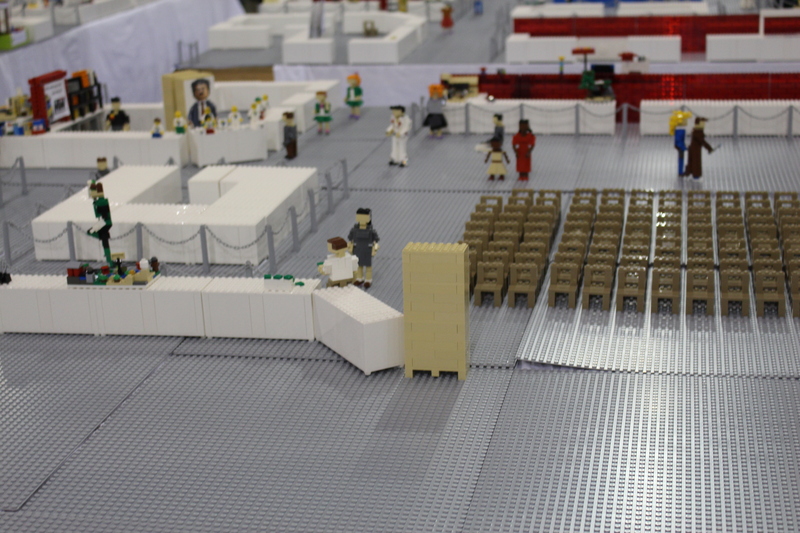 That trio of days before the doors are opened to the public are sacred for pulling the final details together. 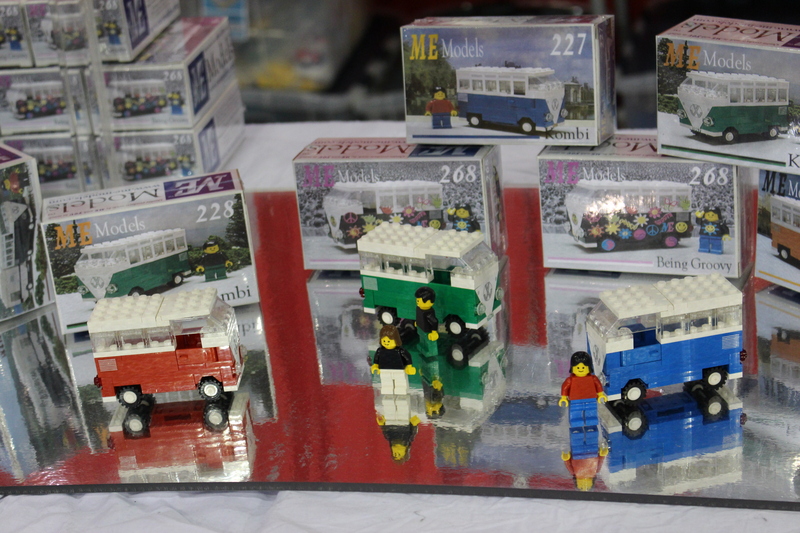 But because those days are for the exhibitors, I imagine that they also have a bit of fun among themselves. 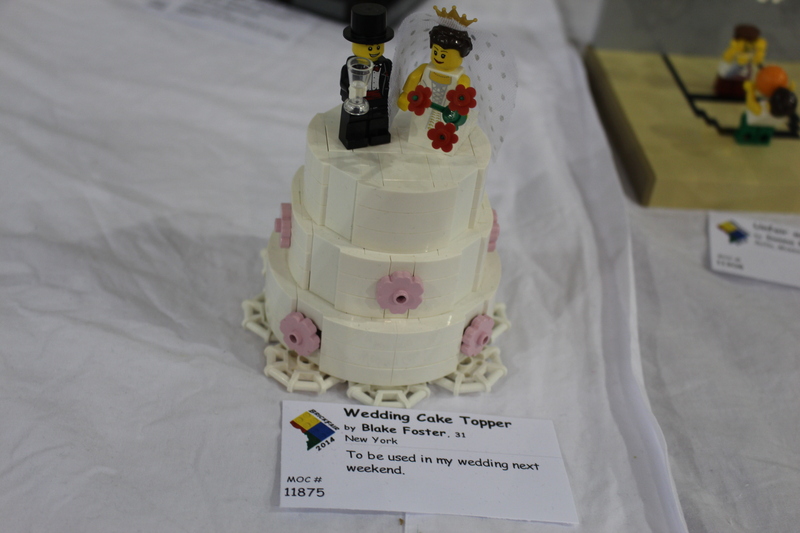 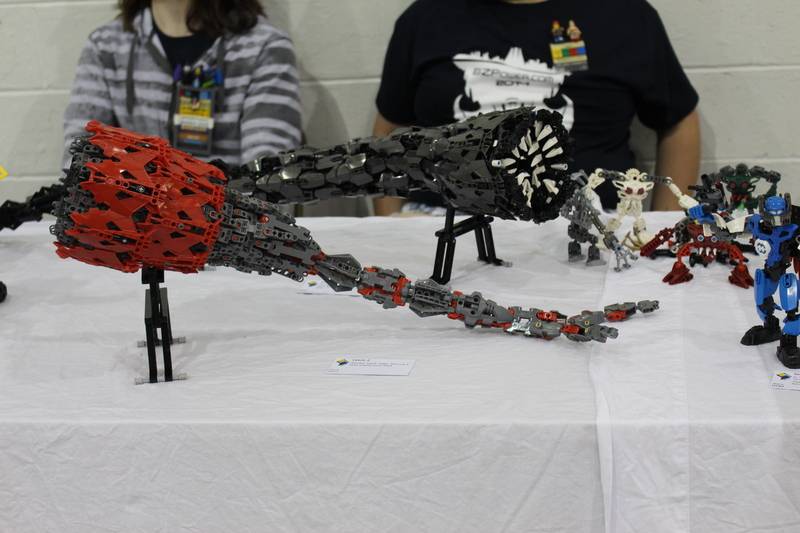 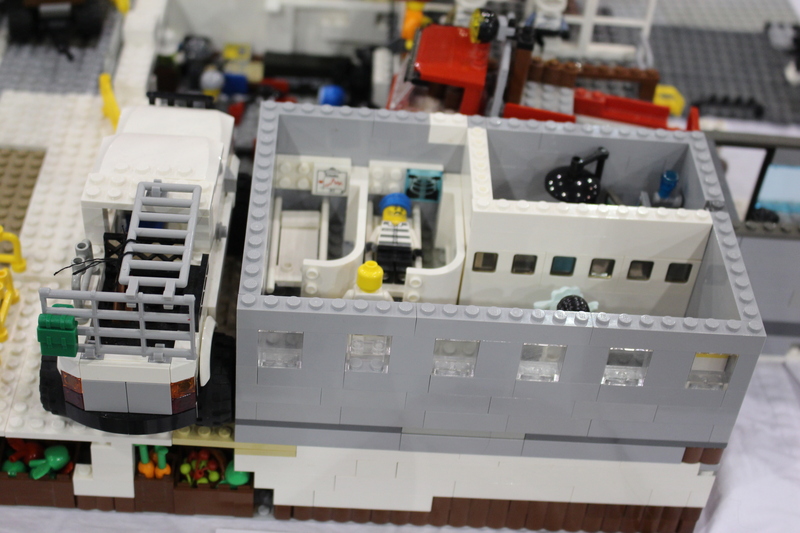 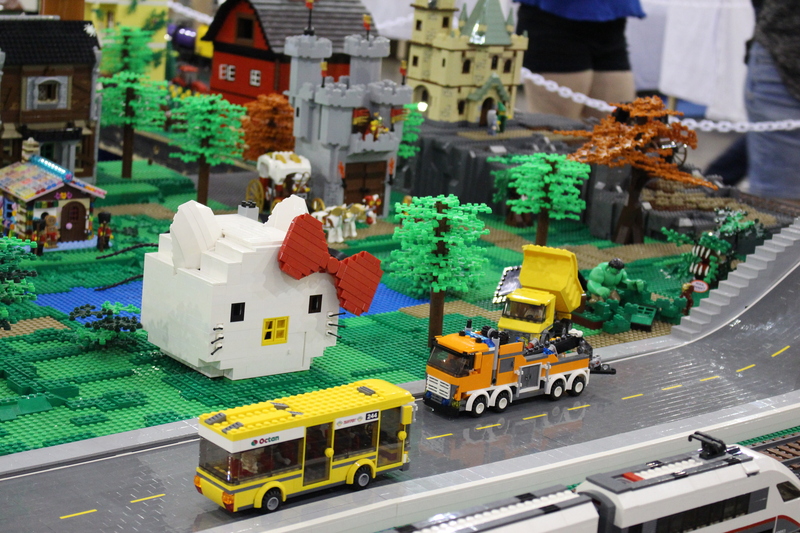 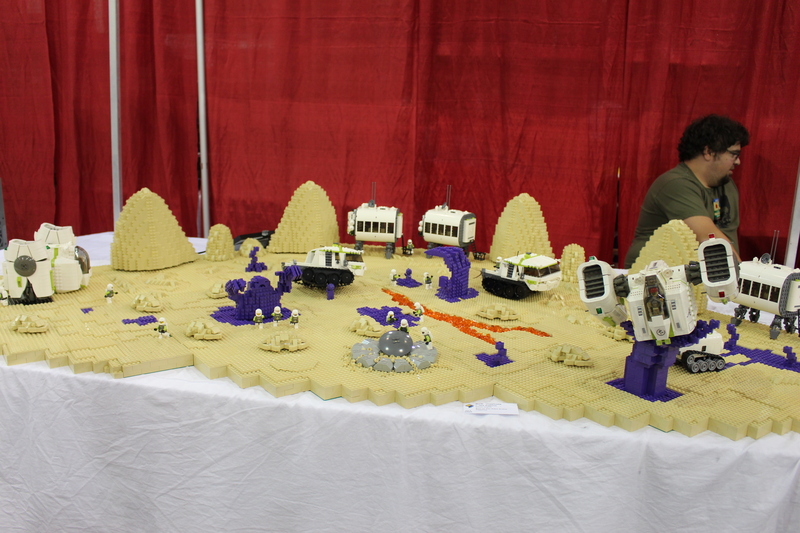 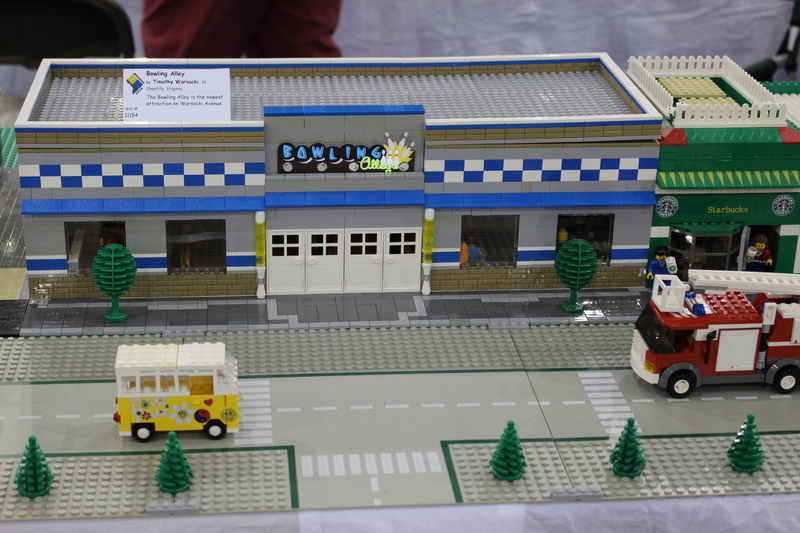 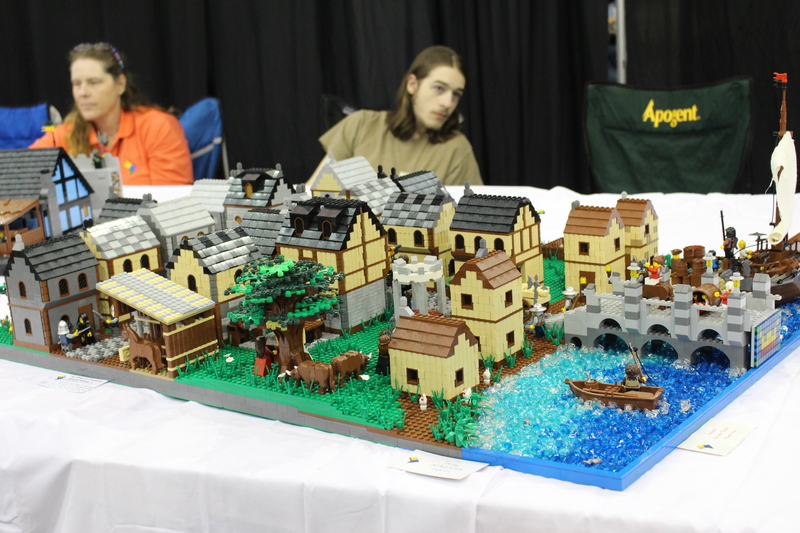 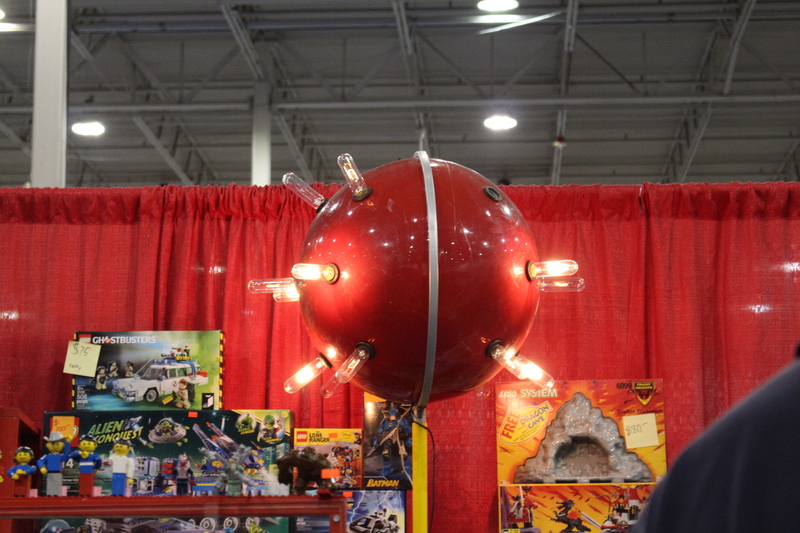 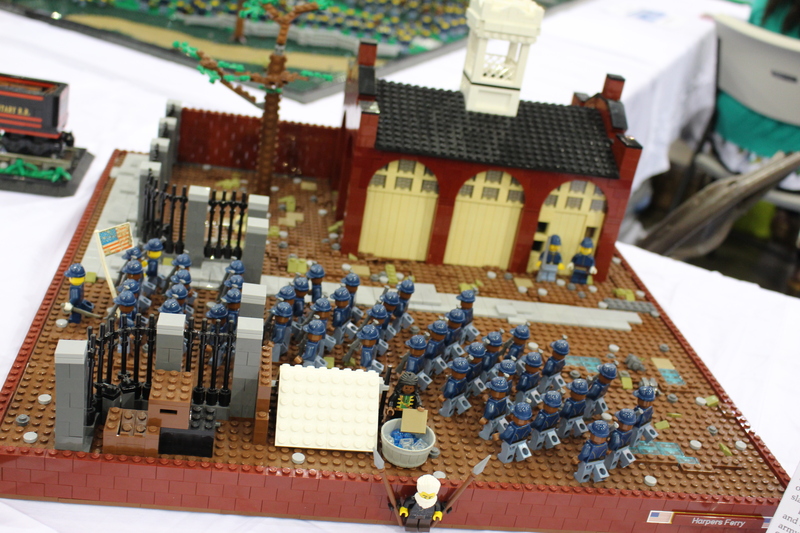 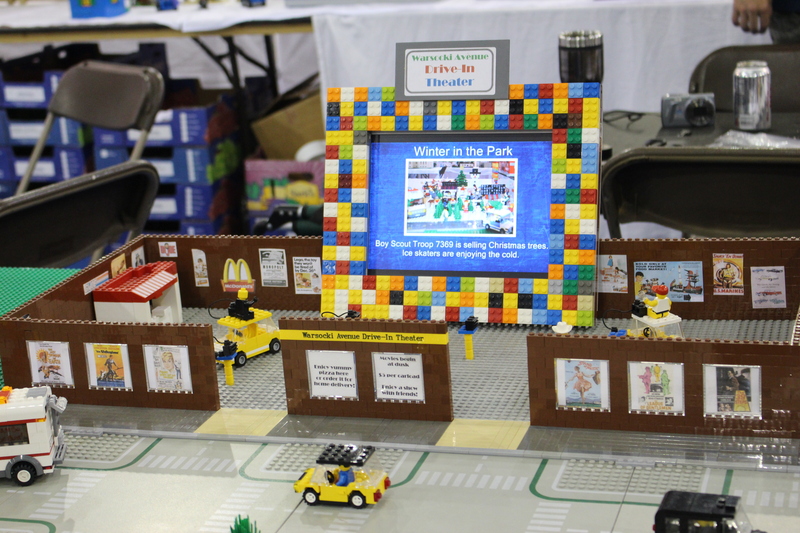 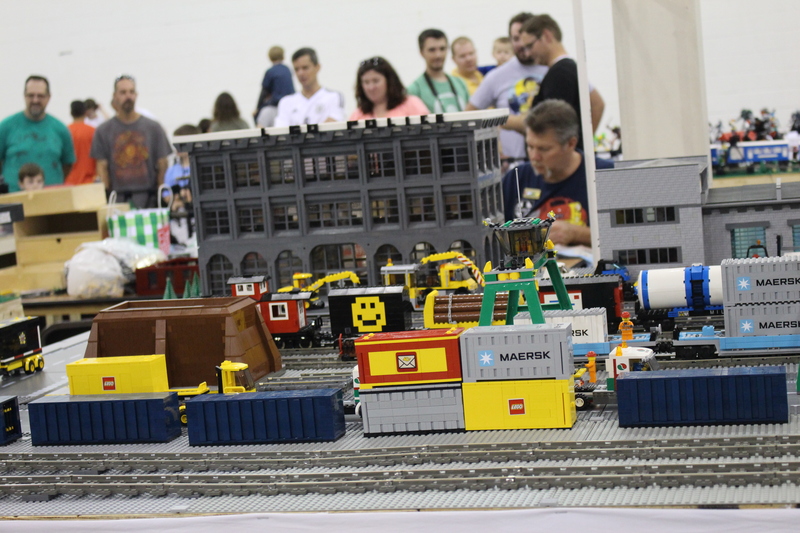 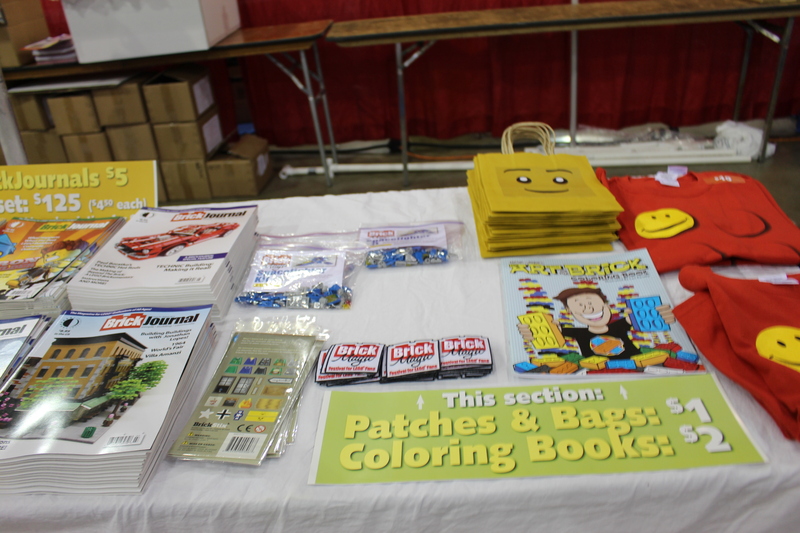 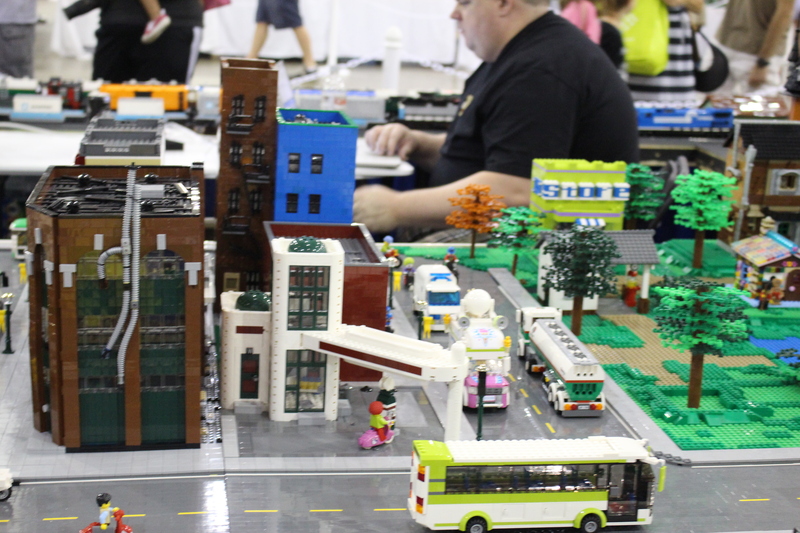 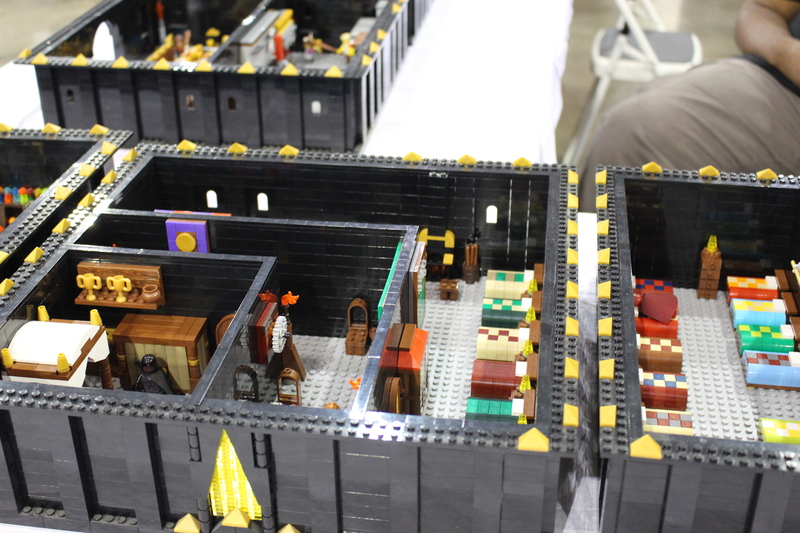 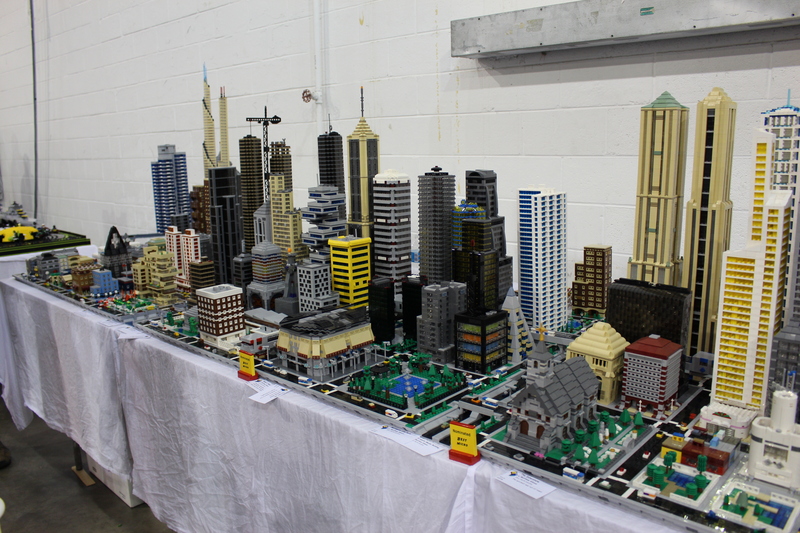 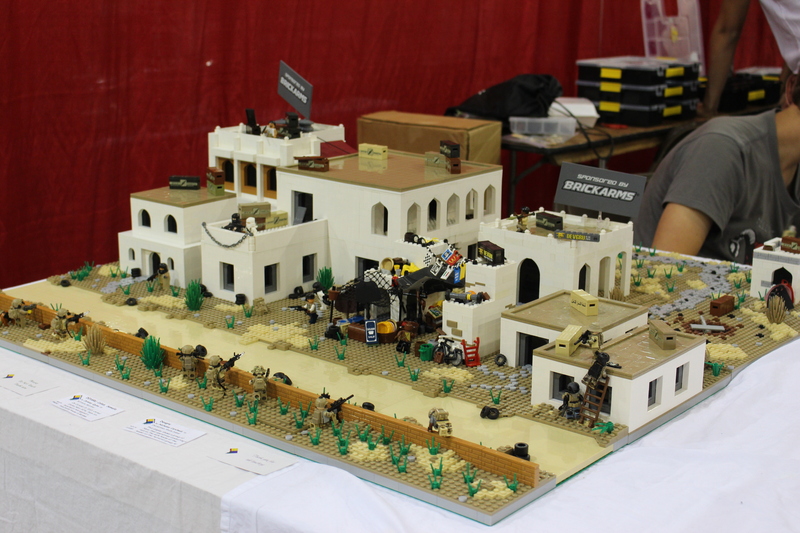 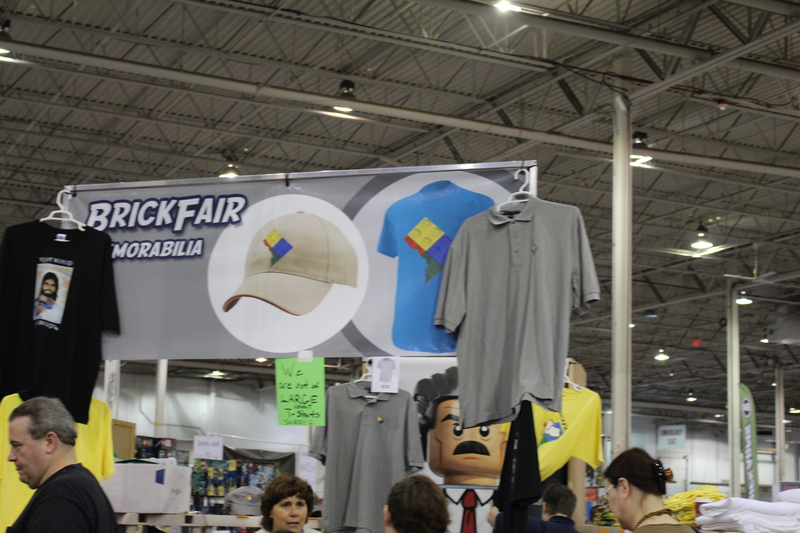 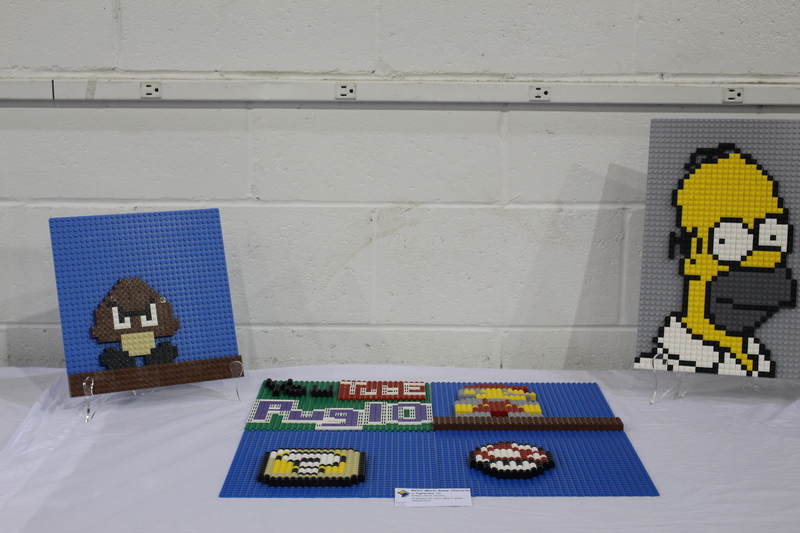 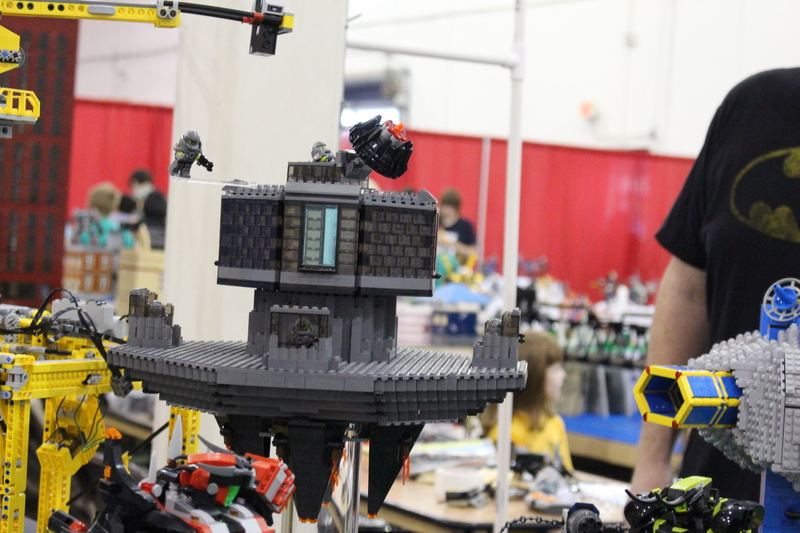 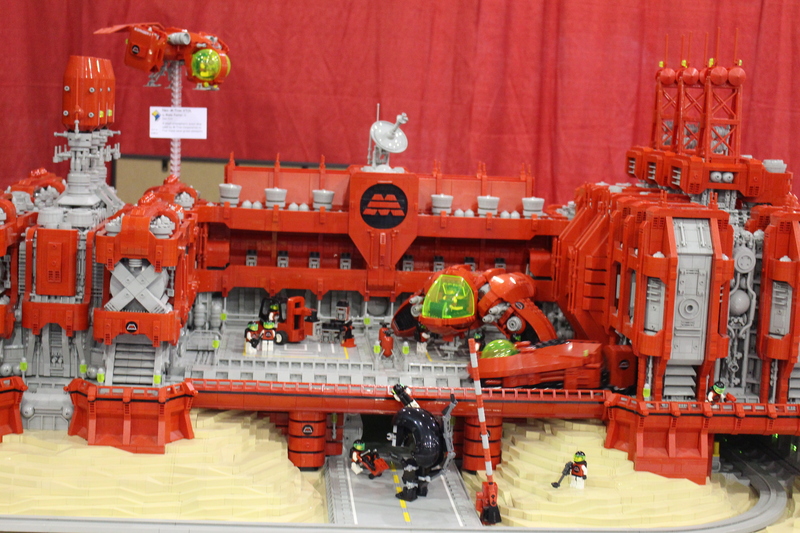 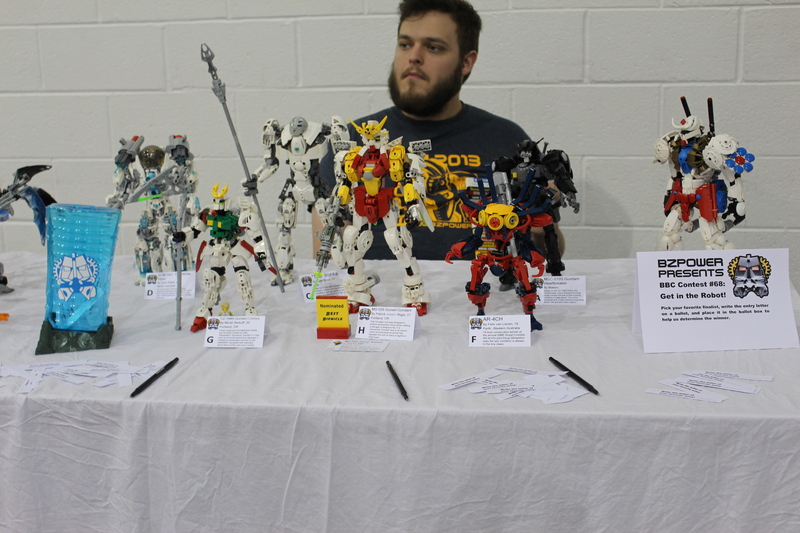 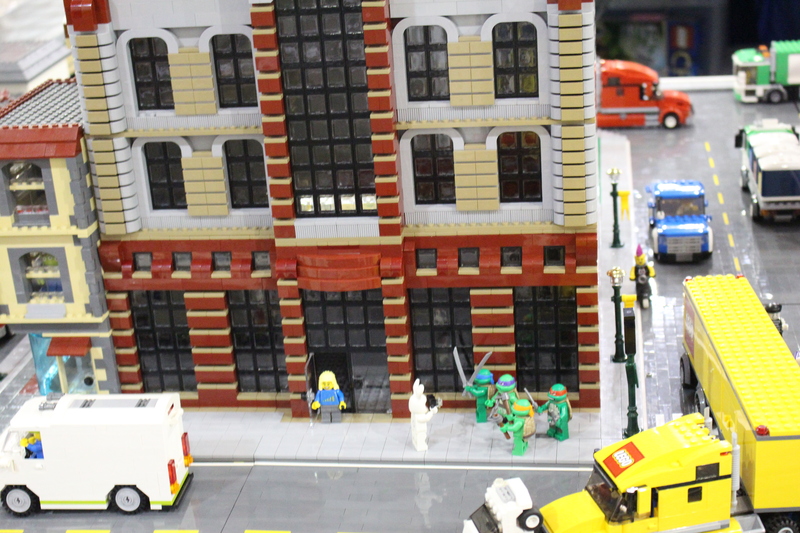 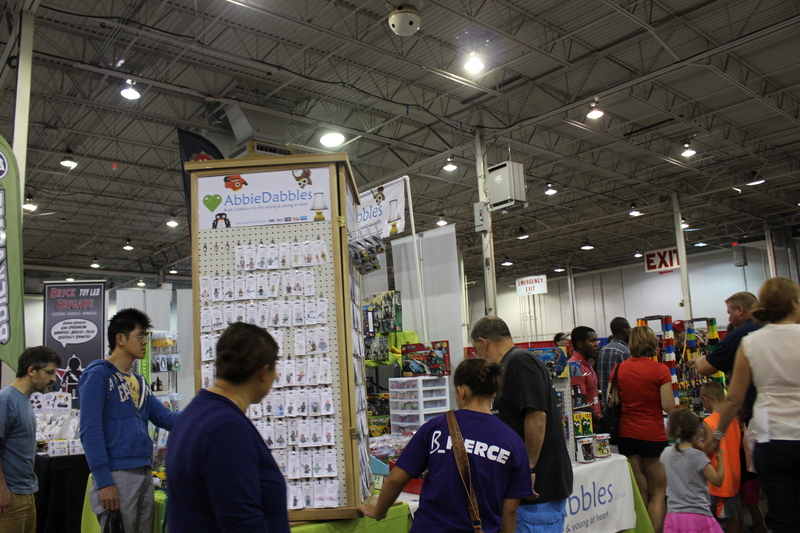 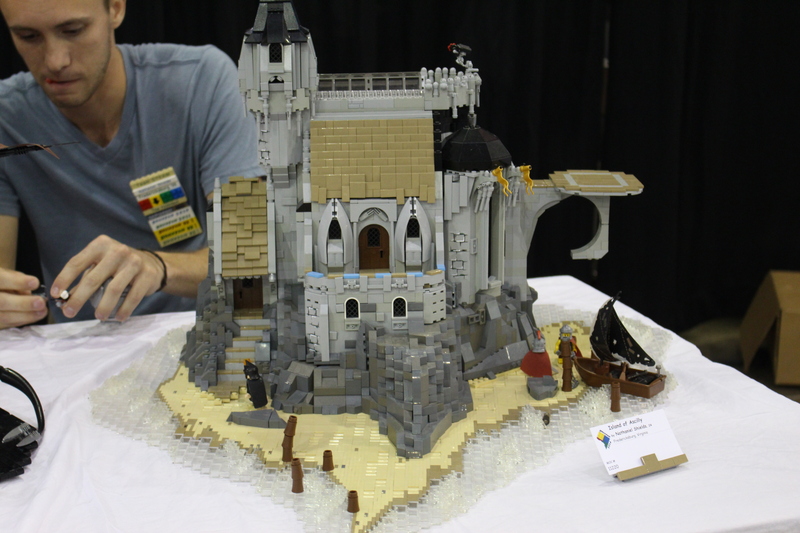 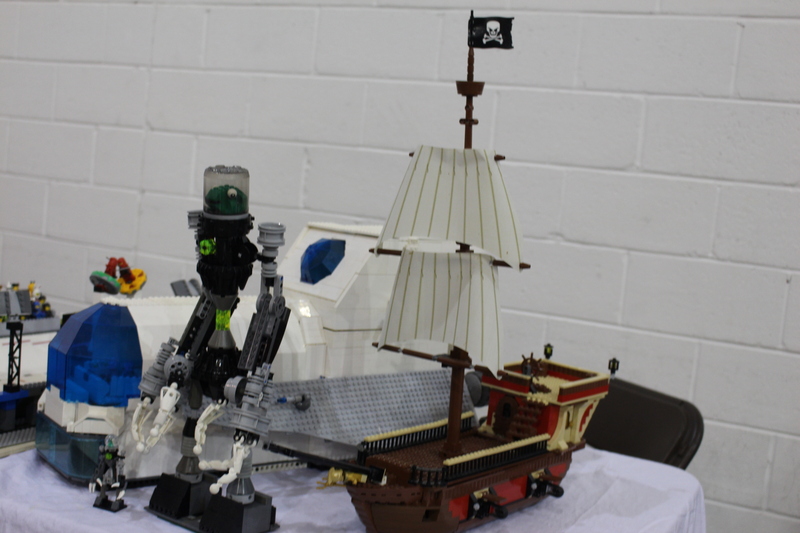 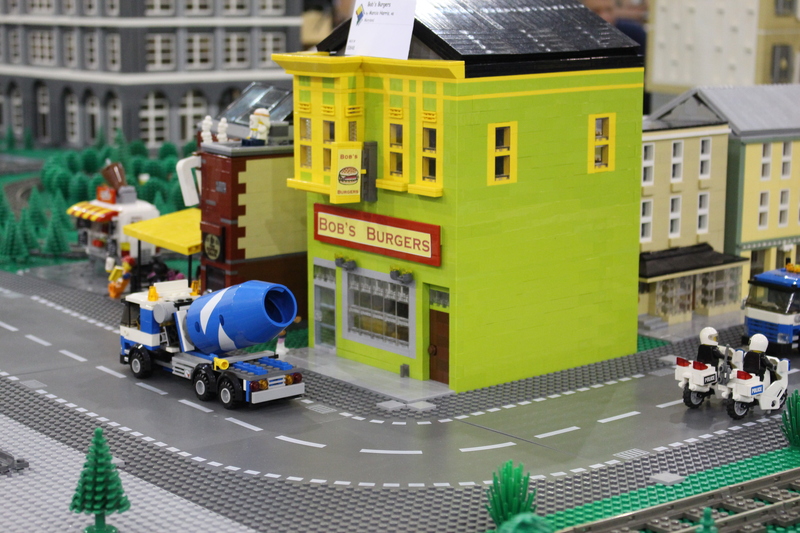 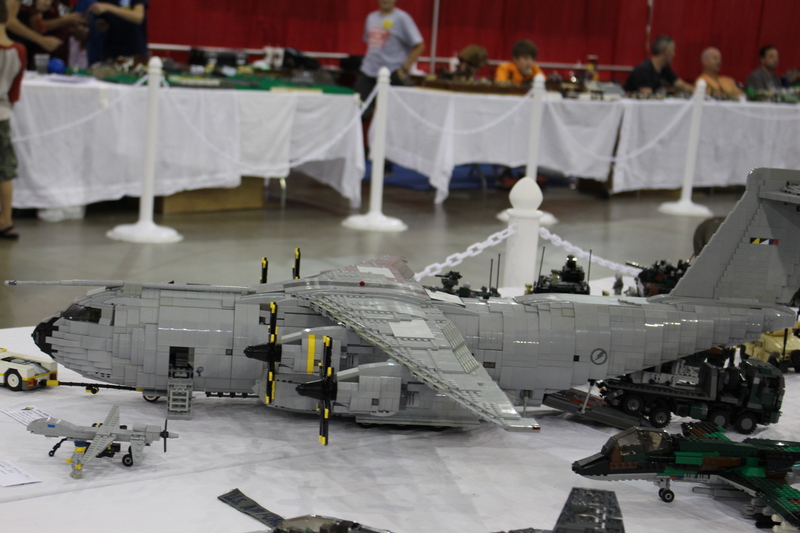 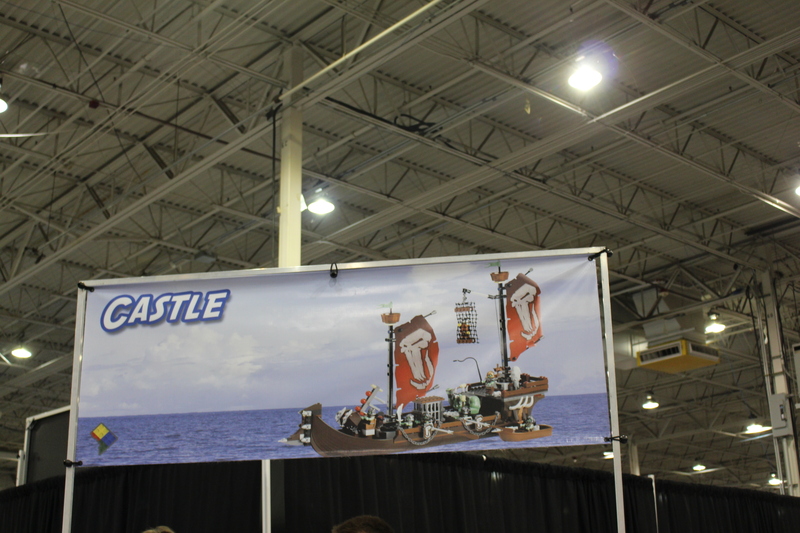 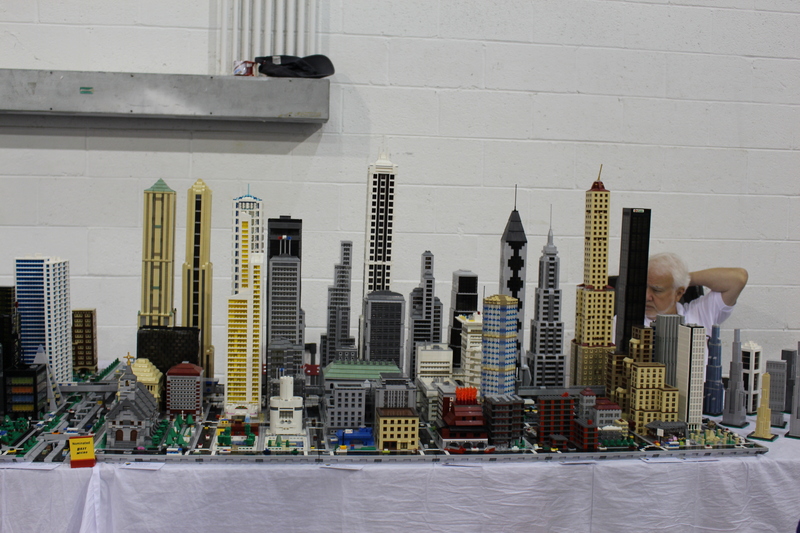 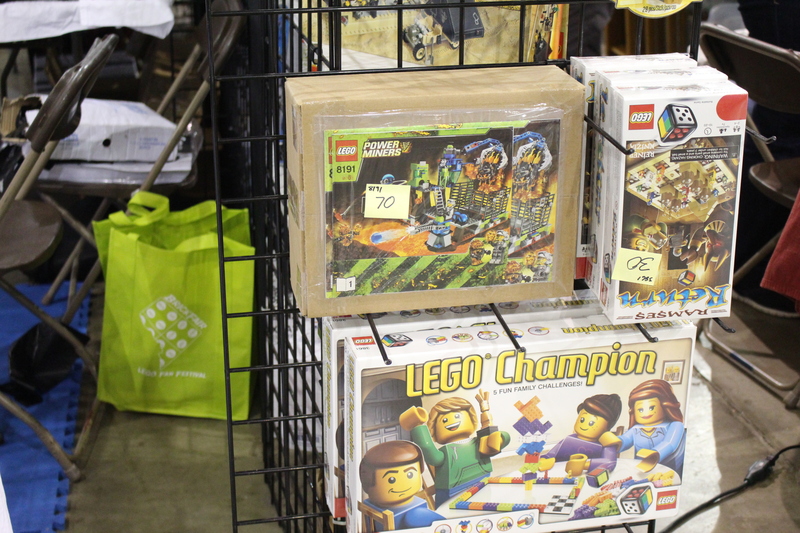 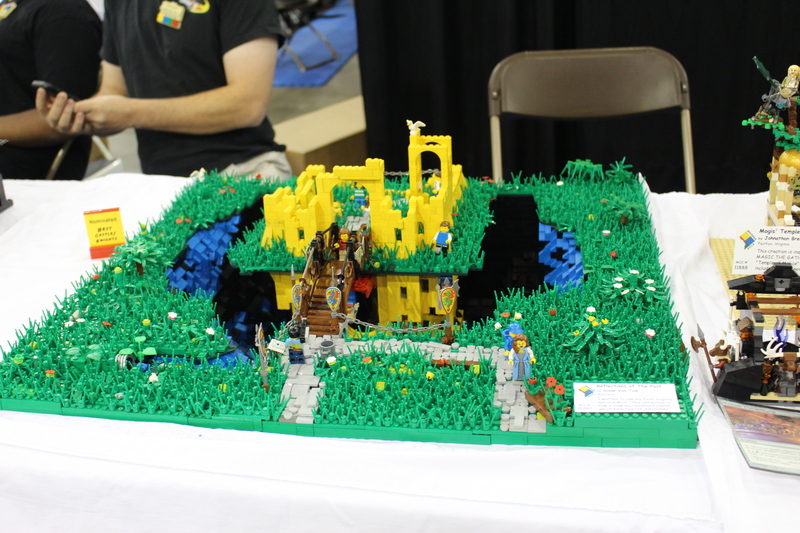 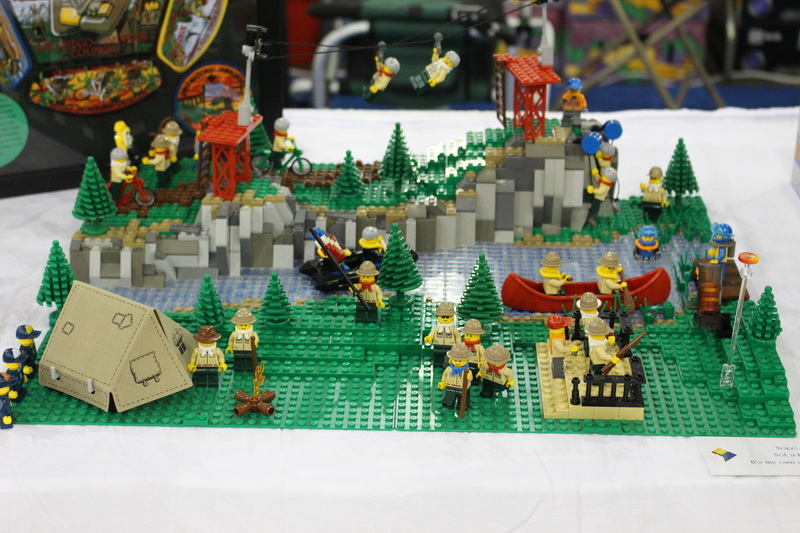 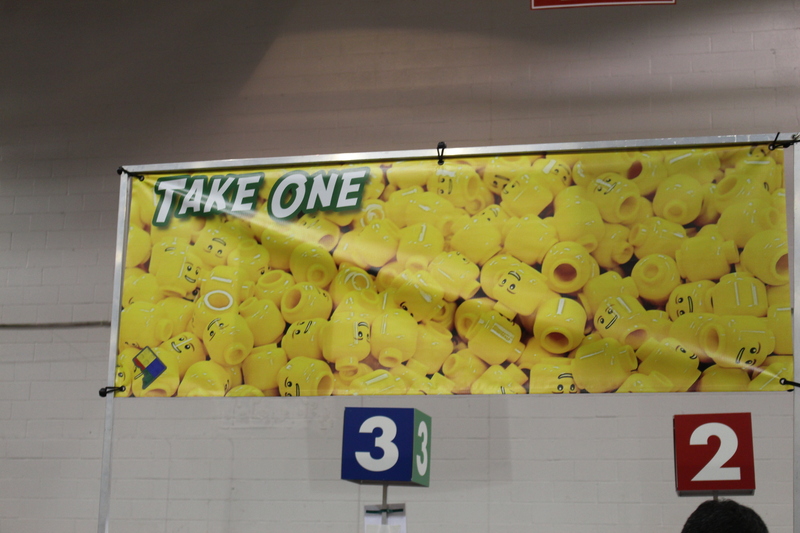 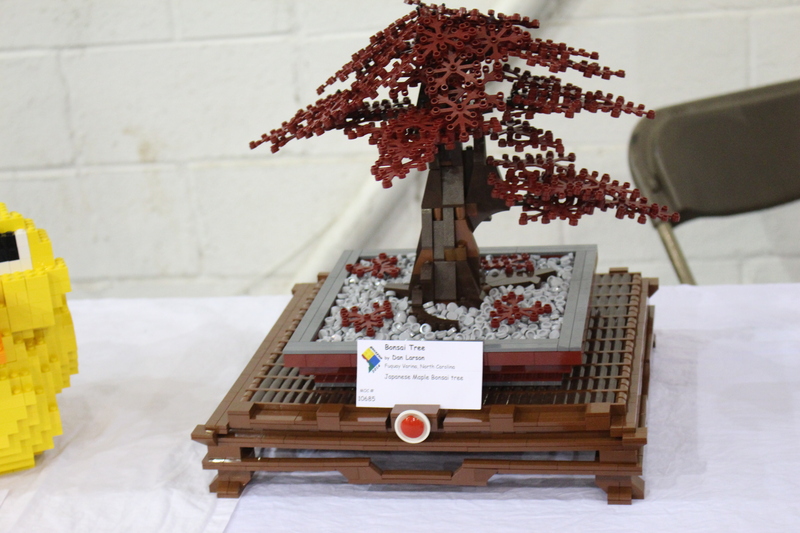 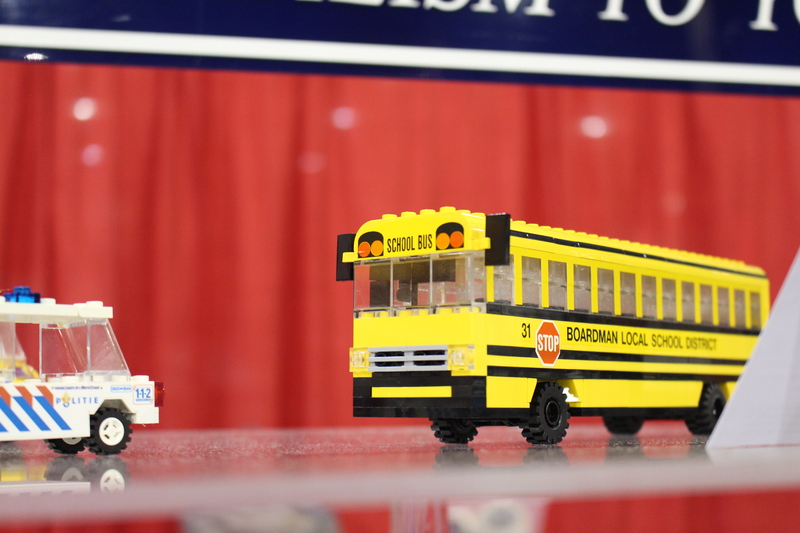 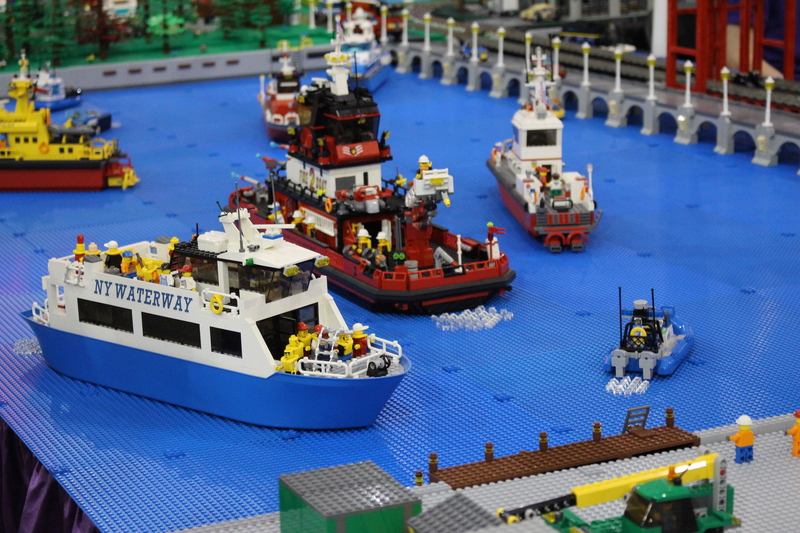 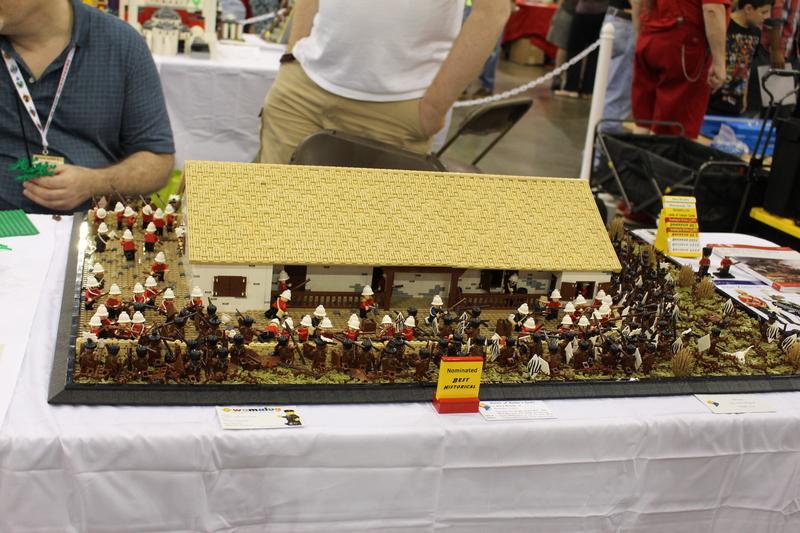 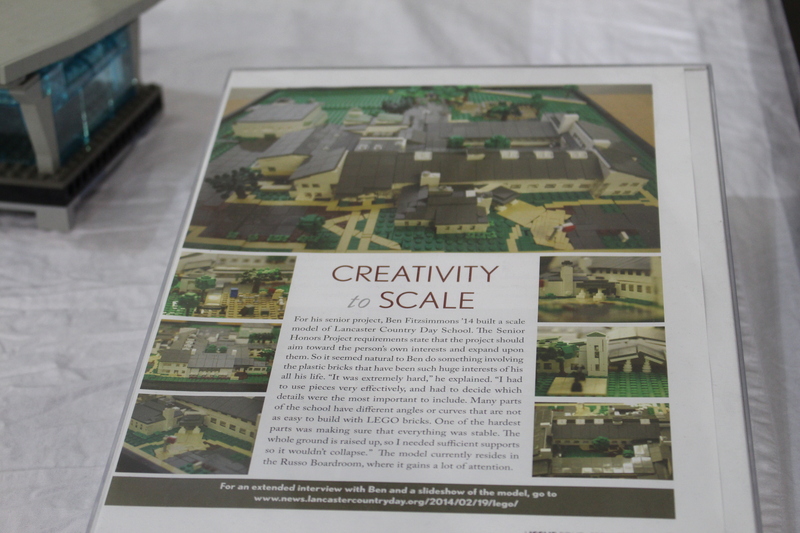 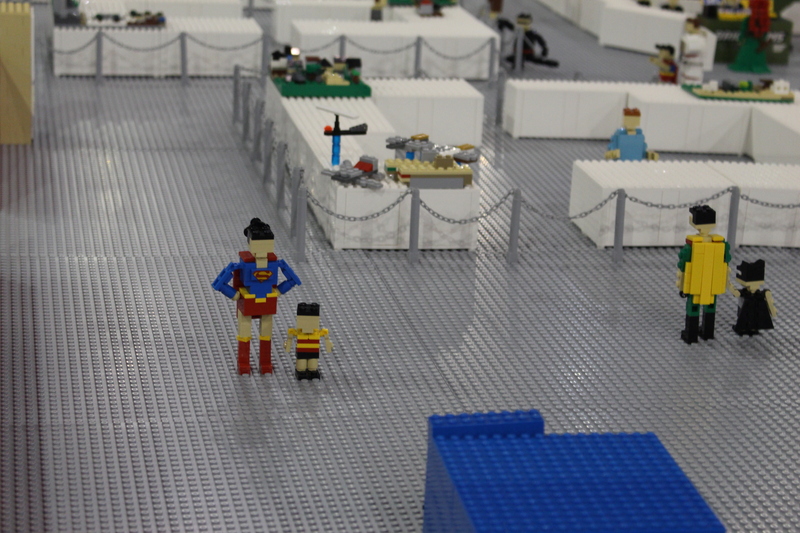 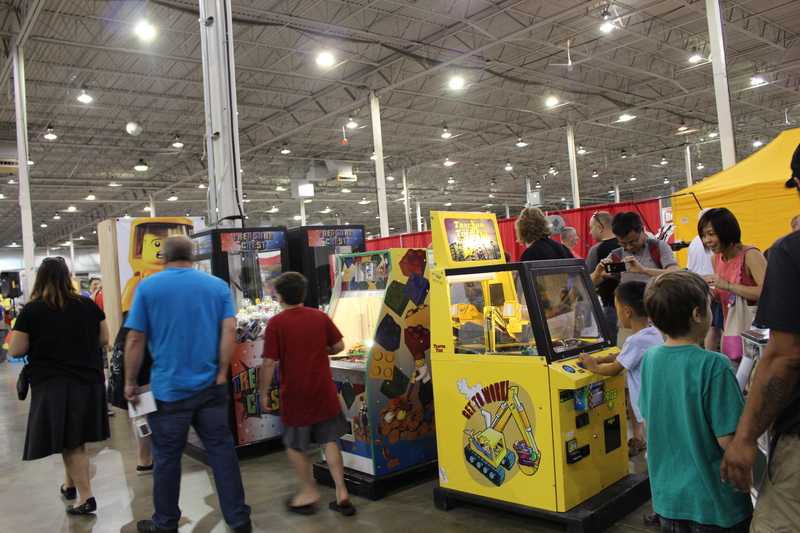 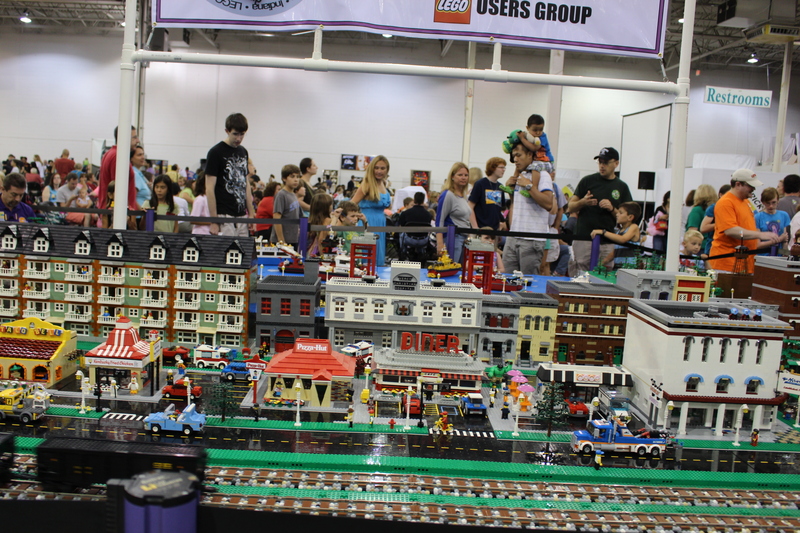 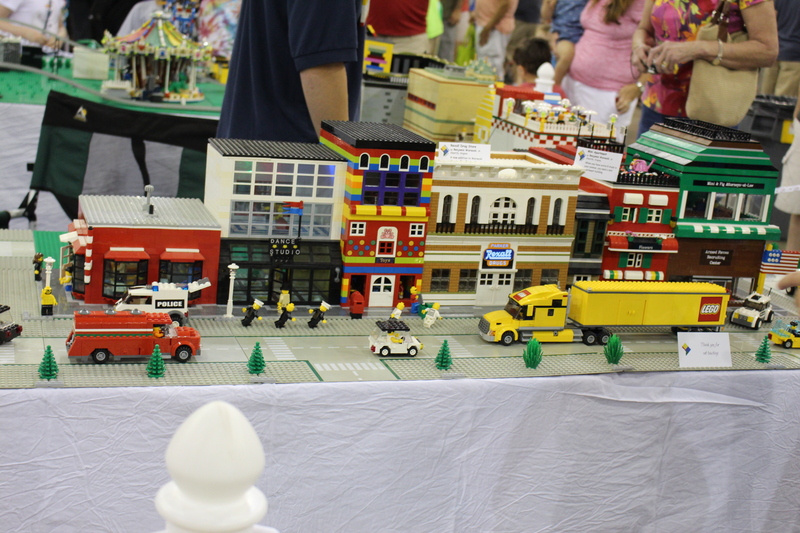 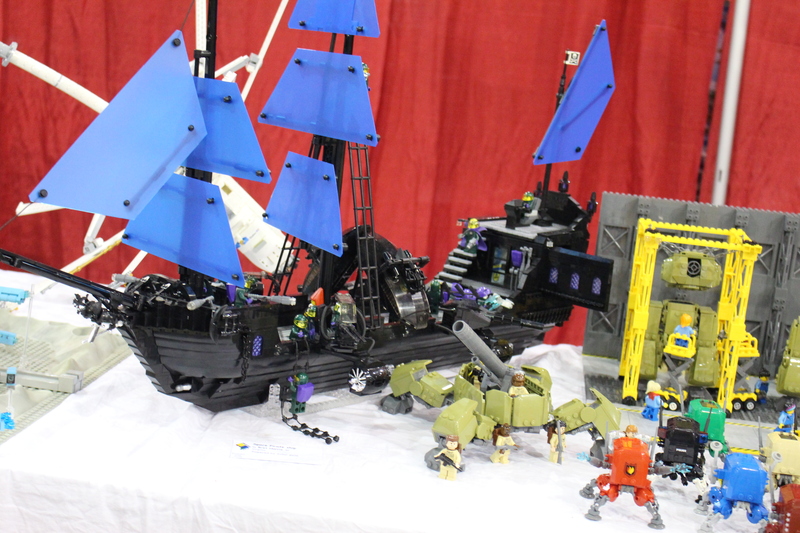 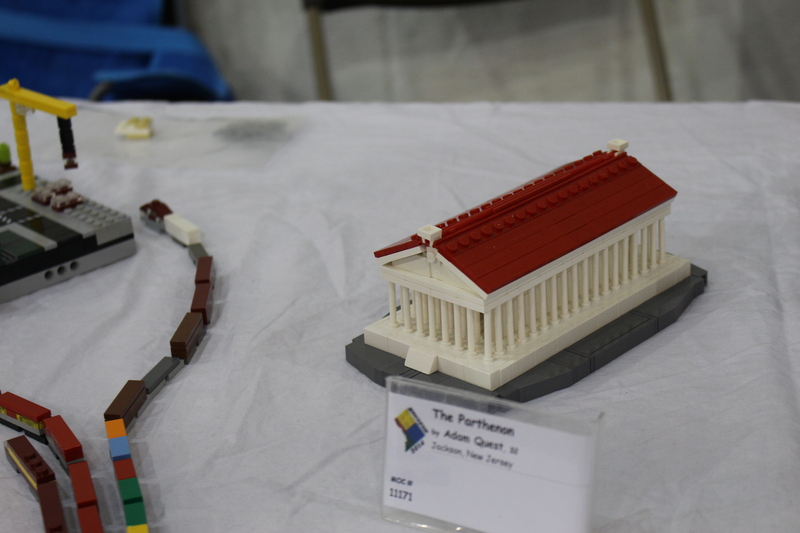 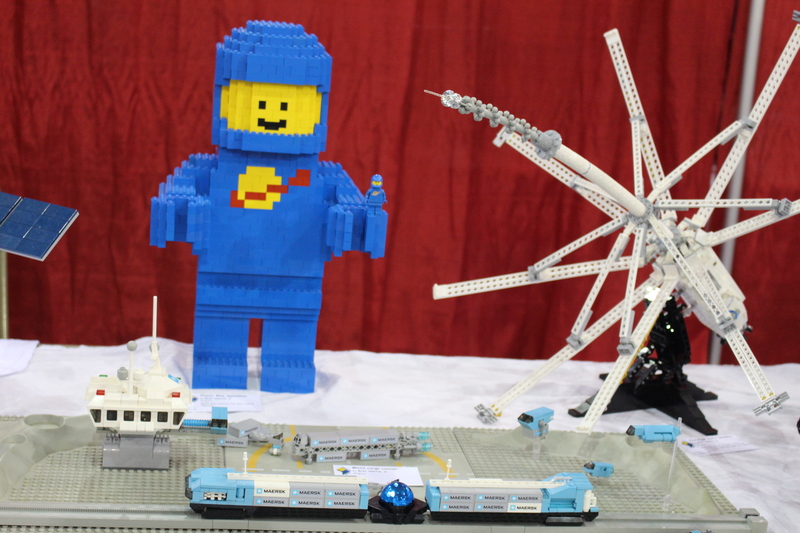 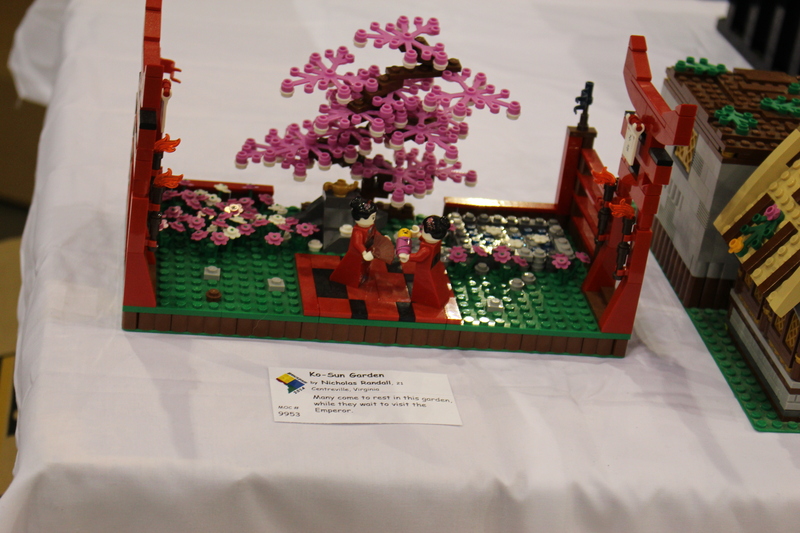 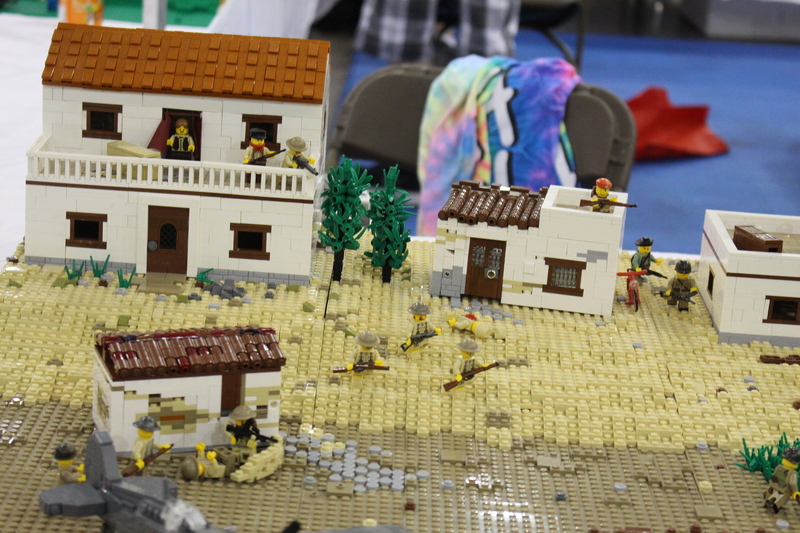 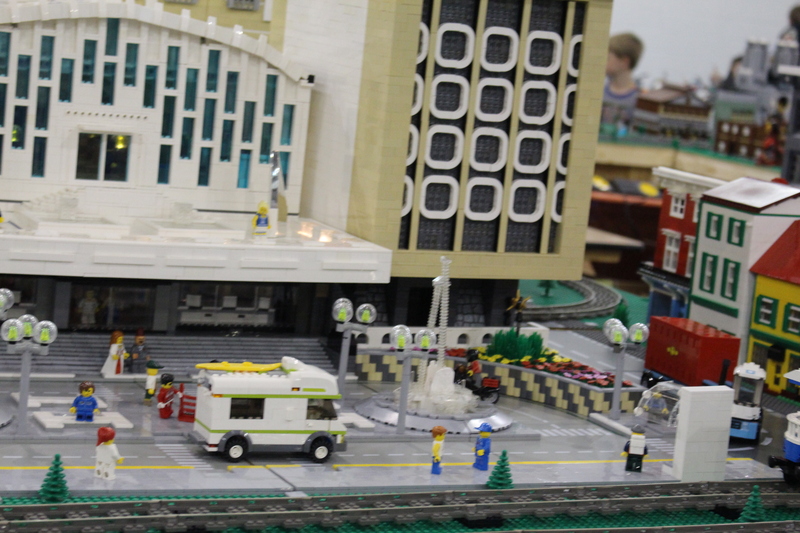 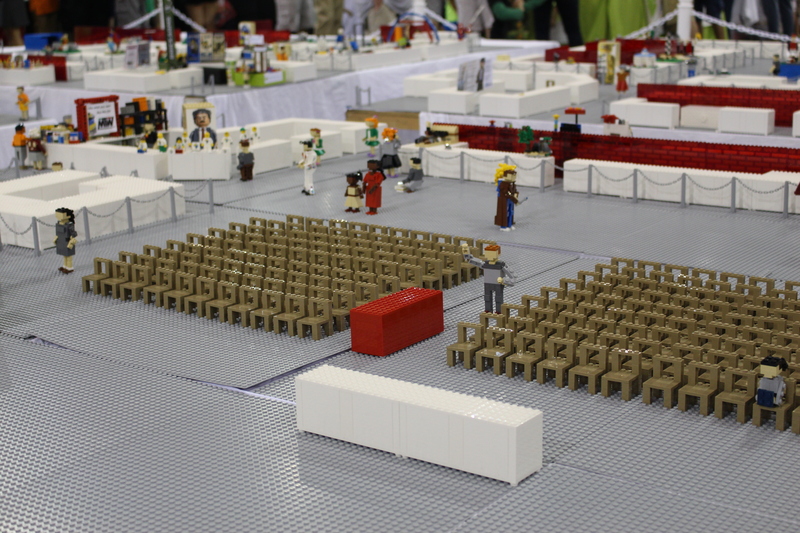 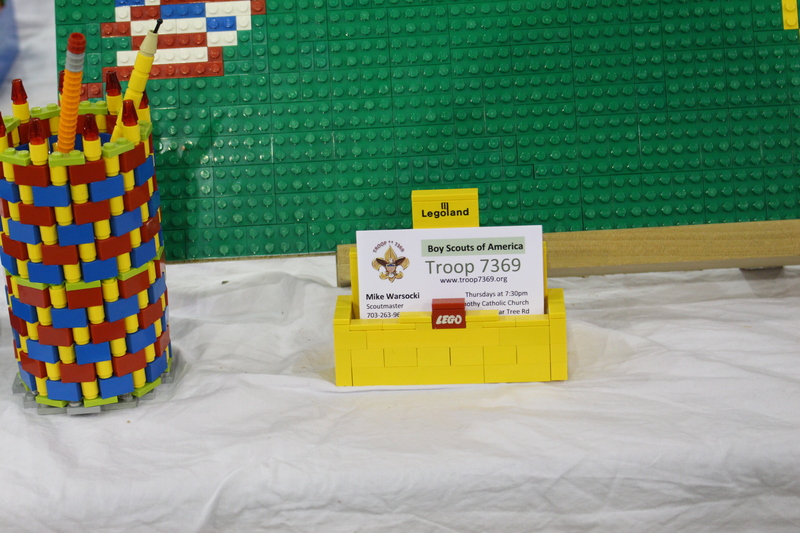 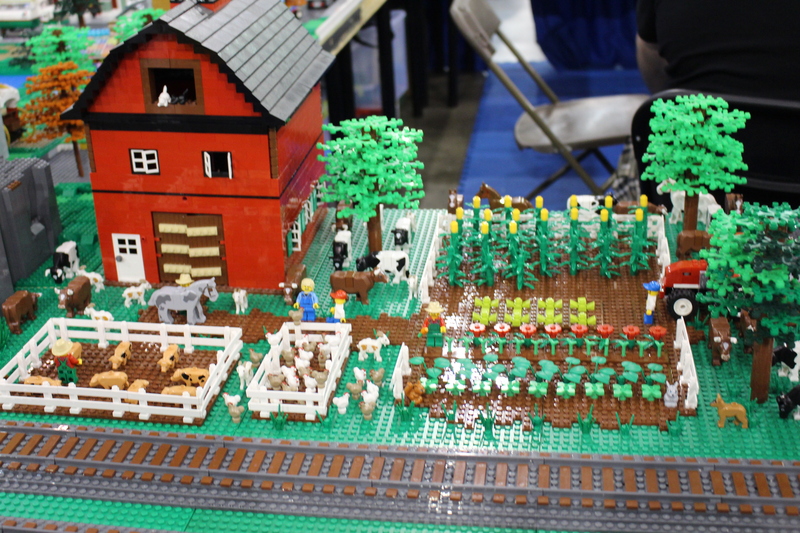 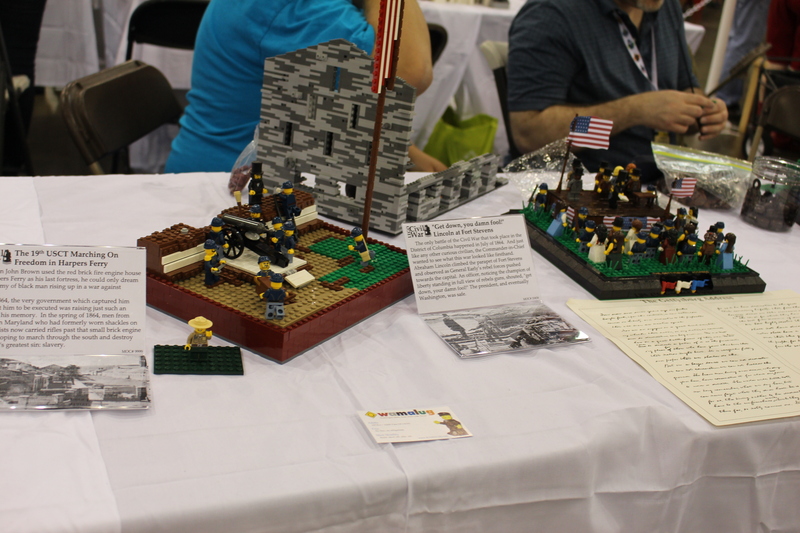 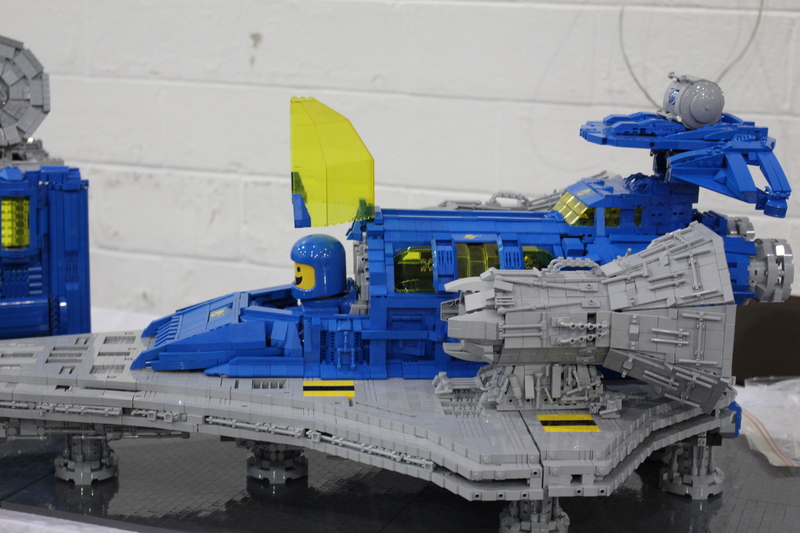 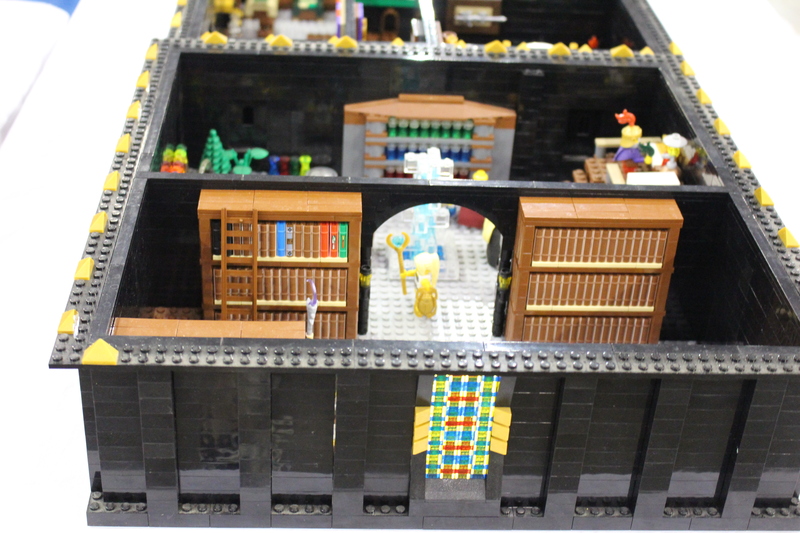 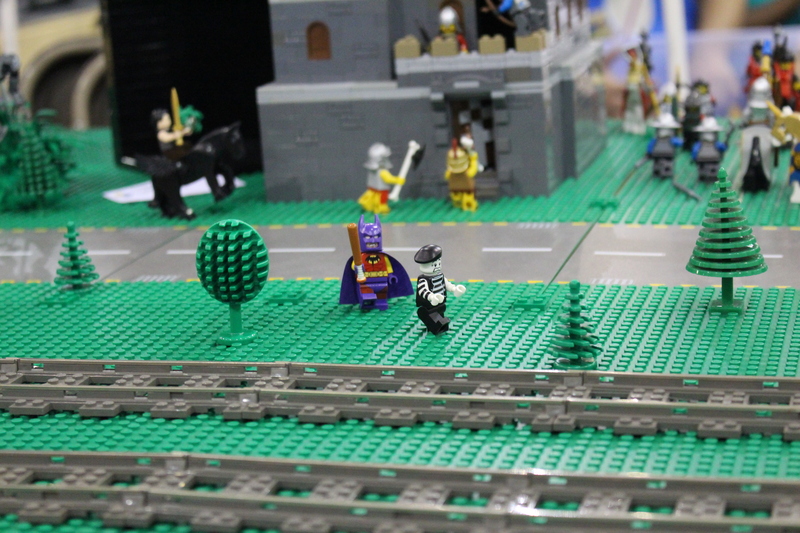 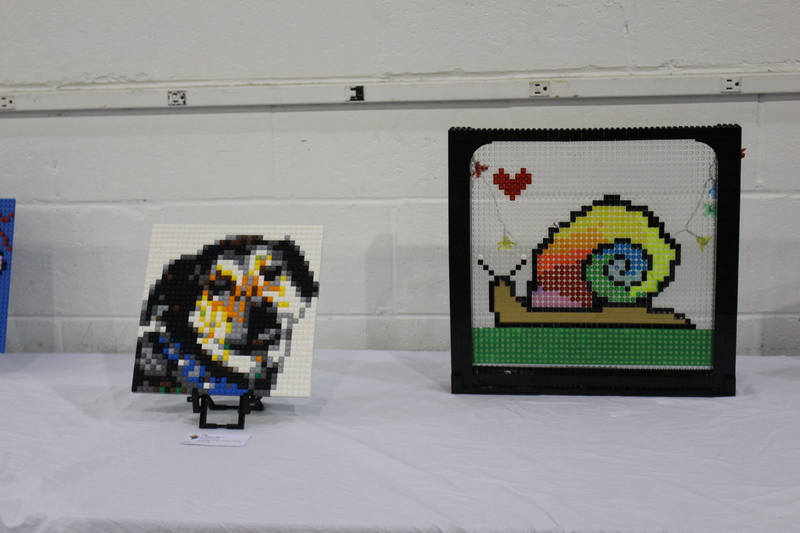 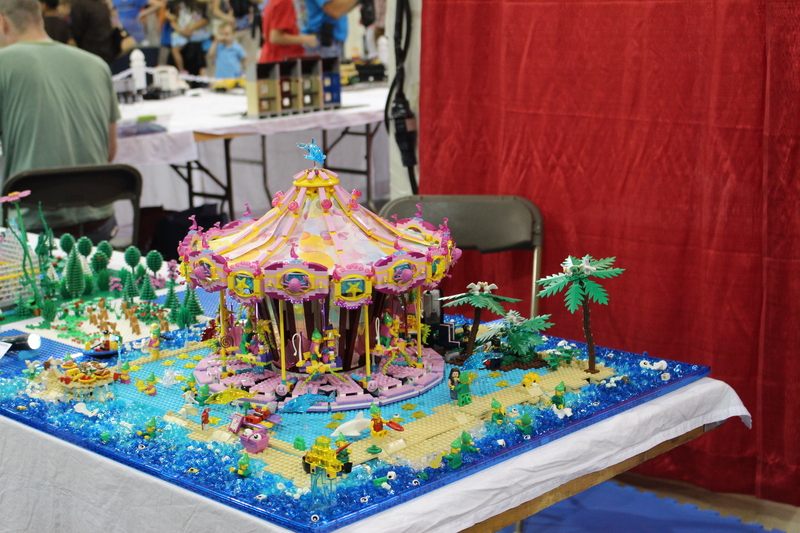 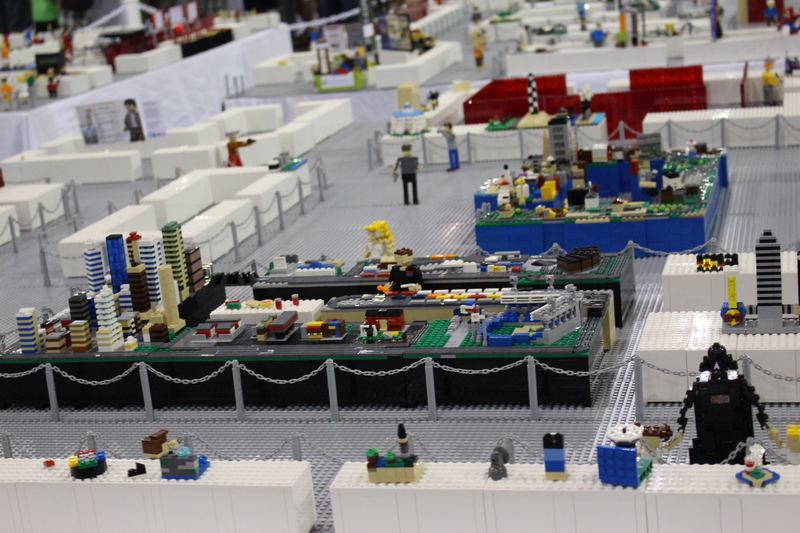 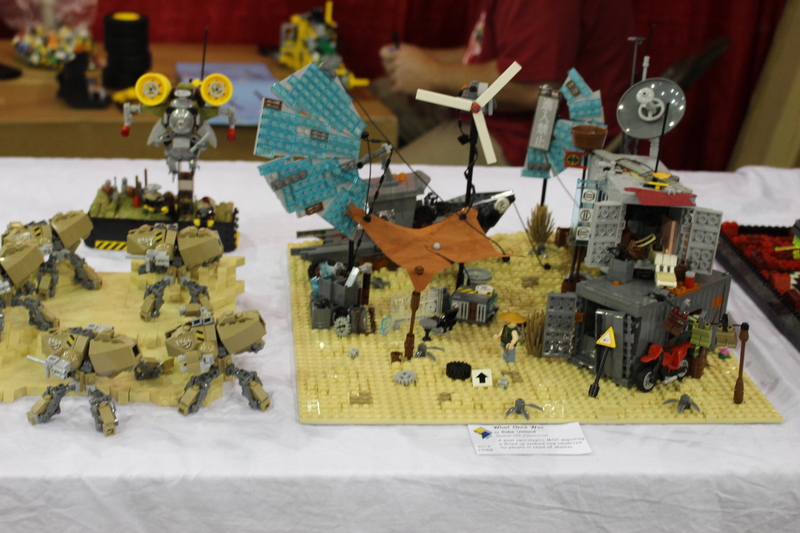 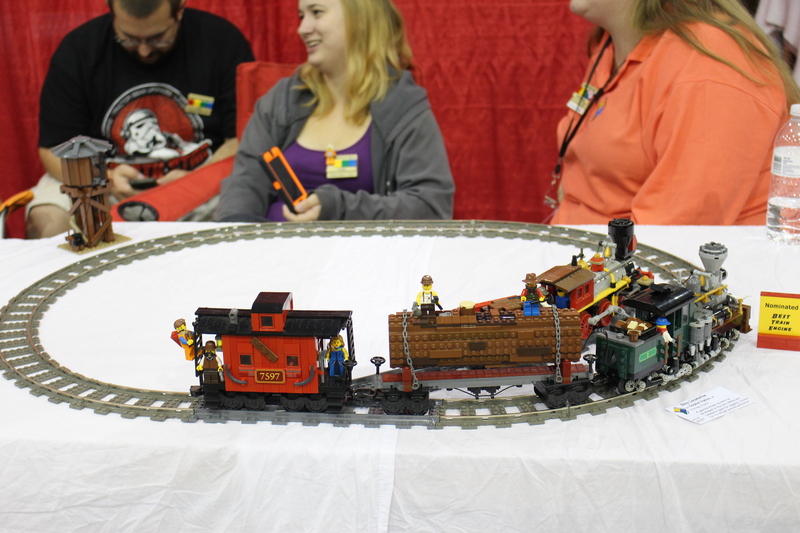 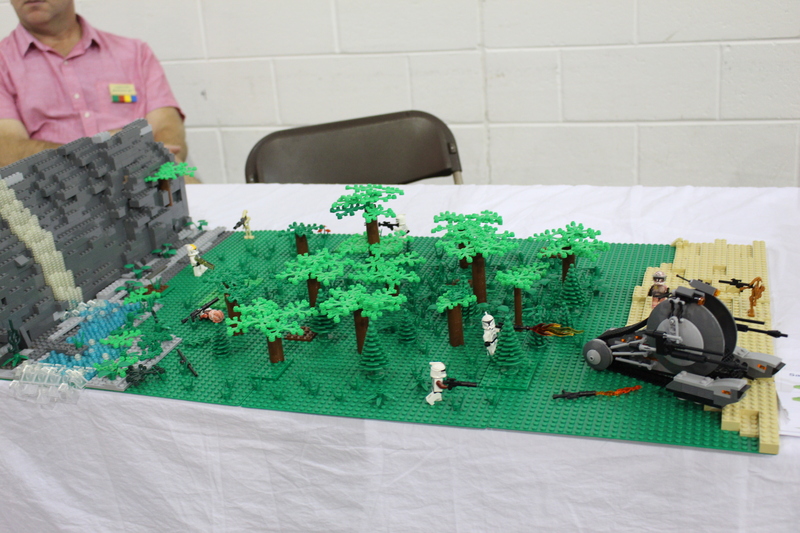 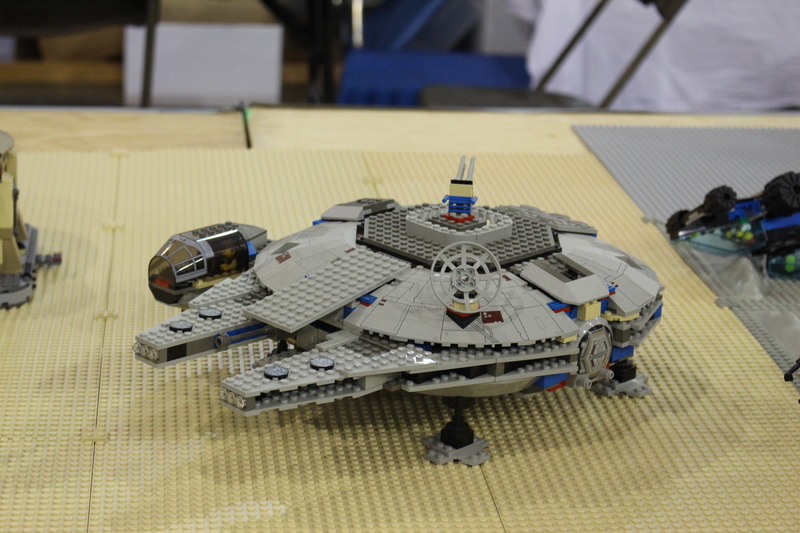 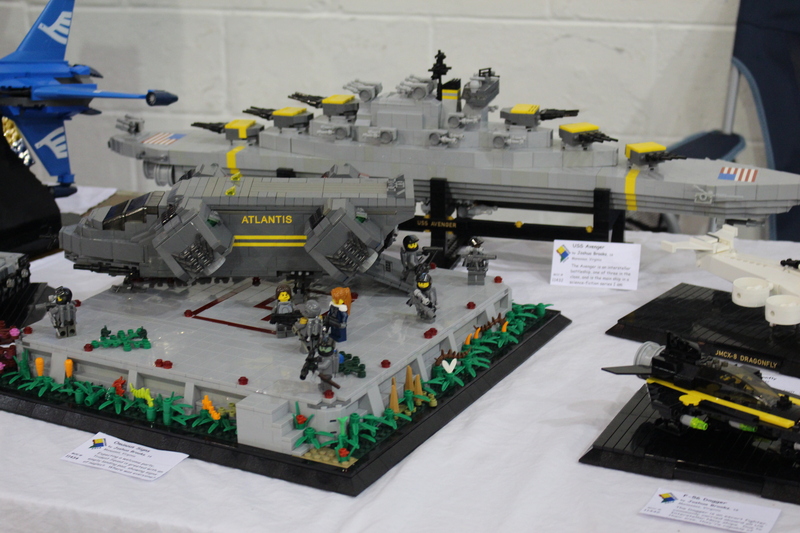 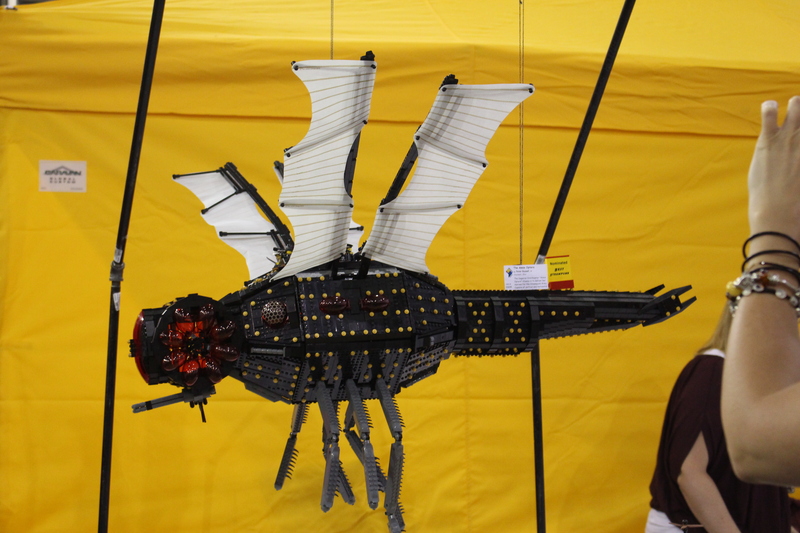 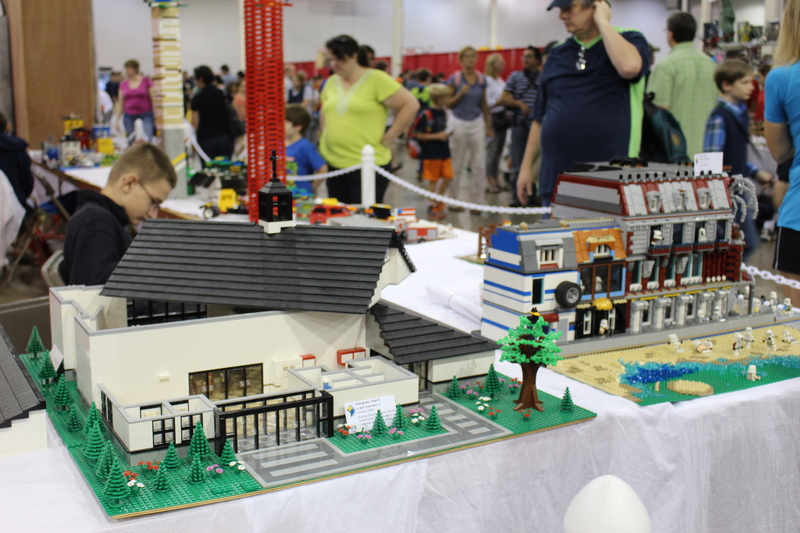 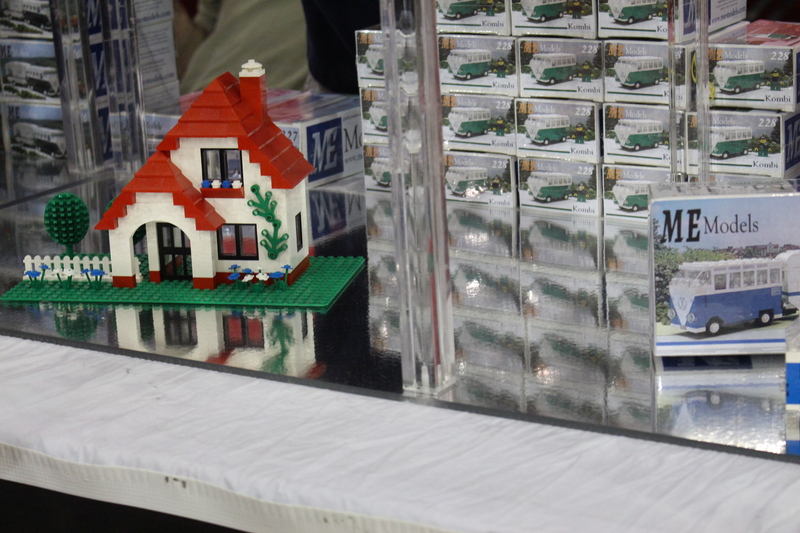 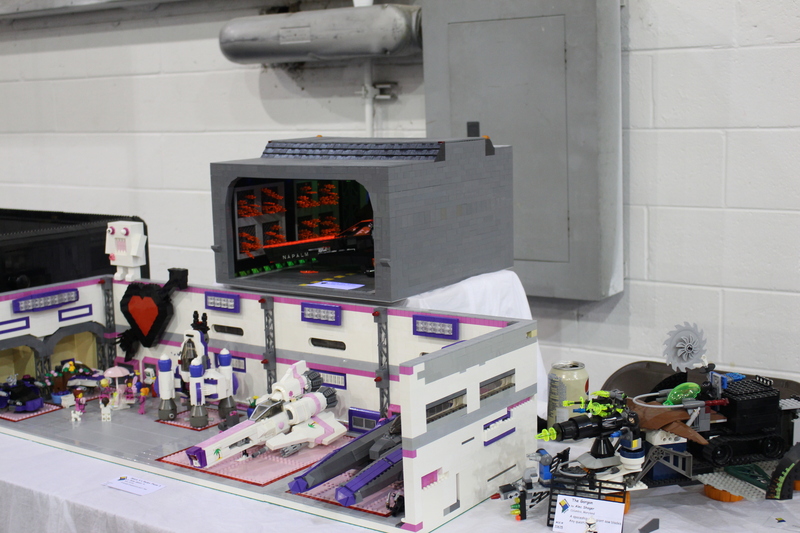 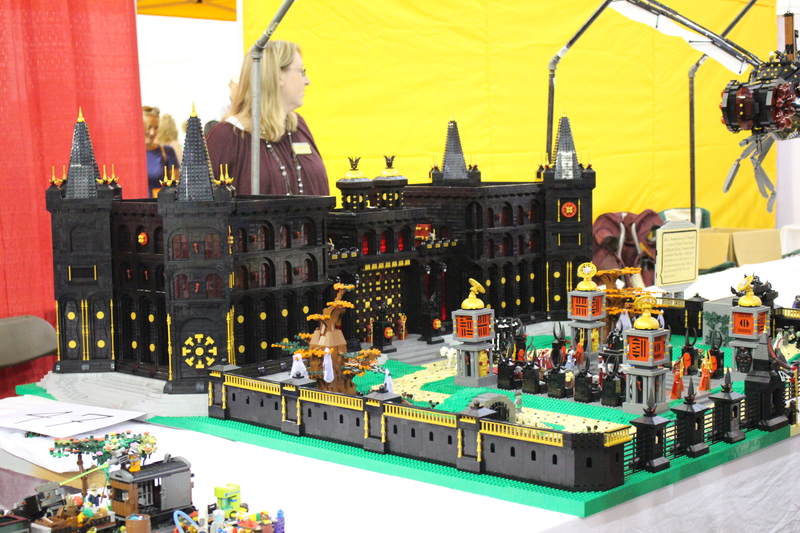 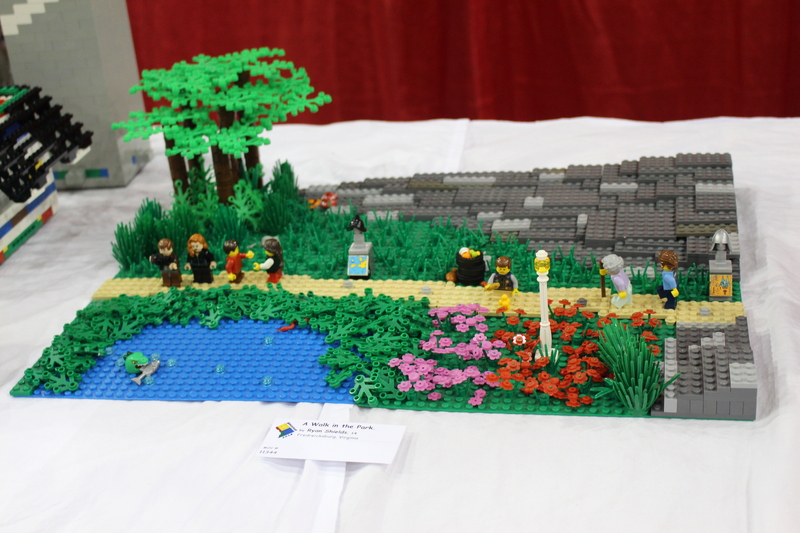 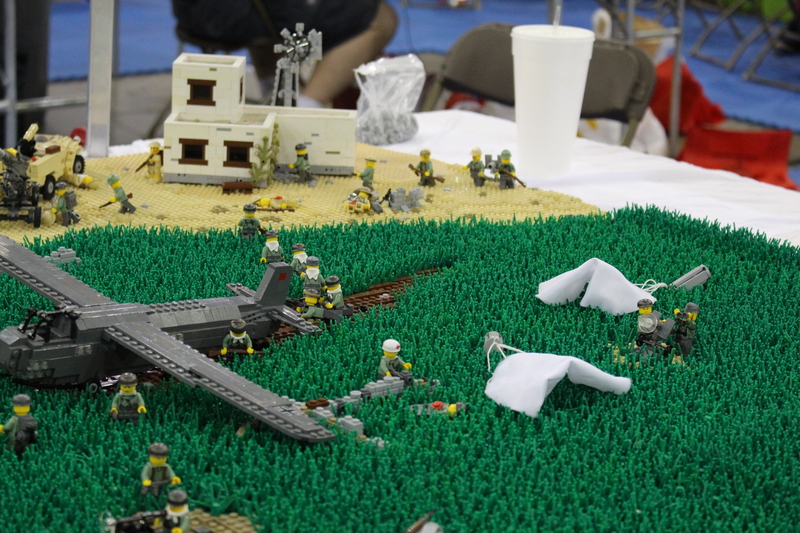 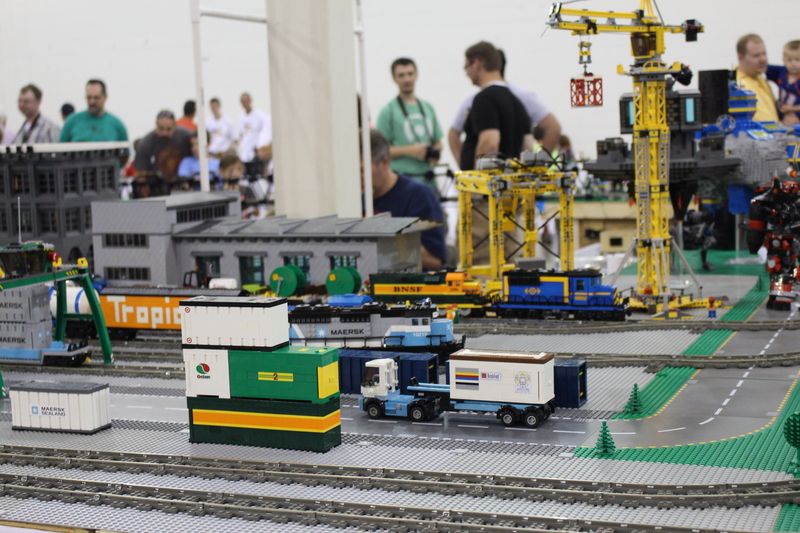 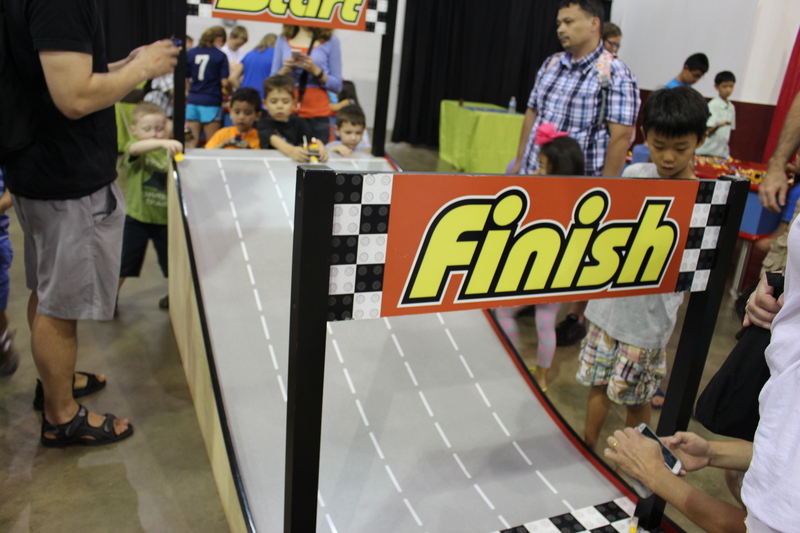 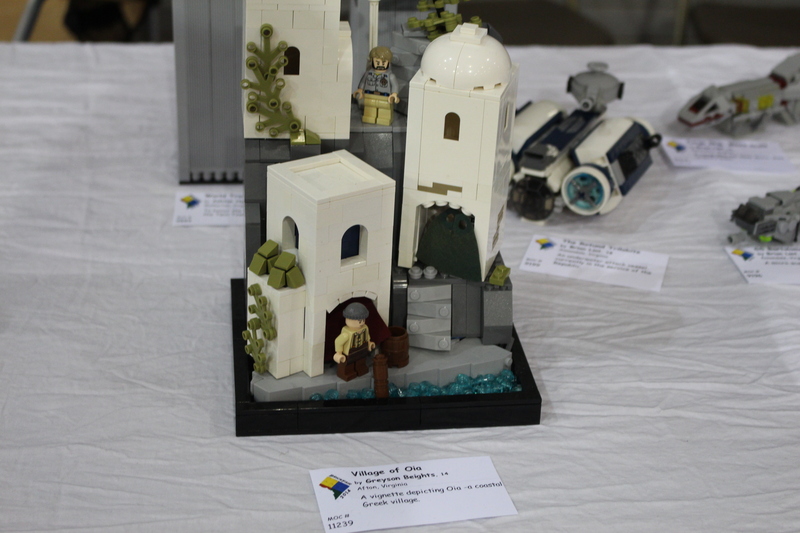 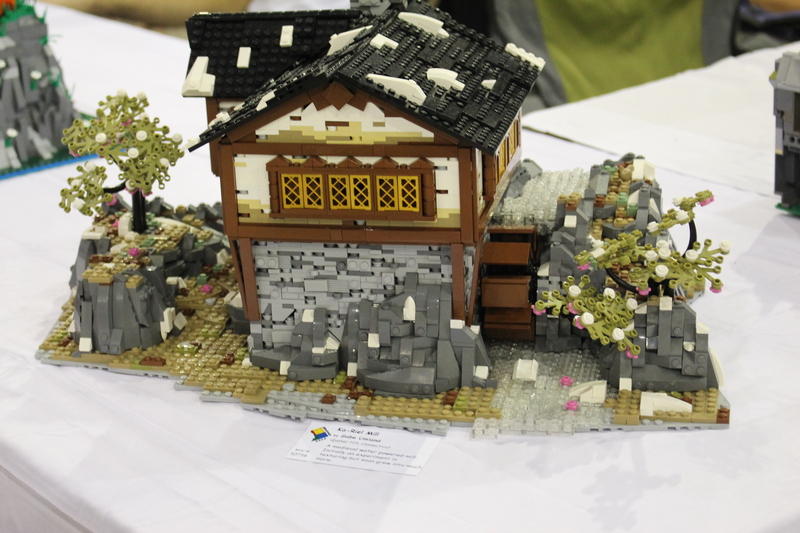 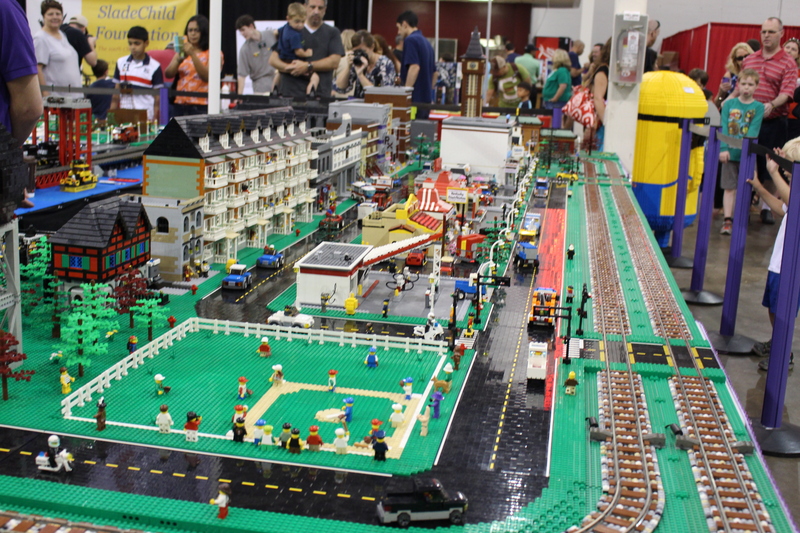 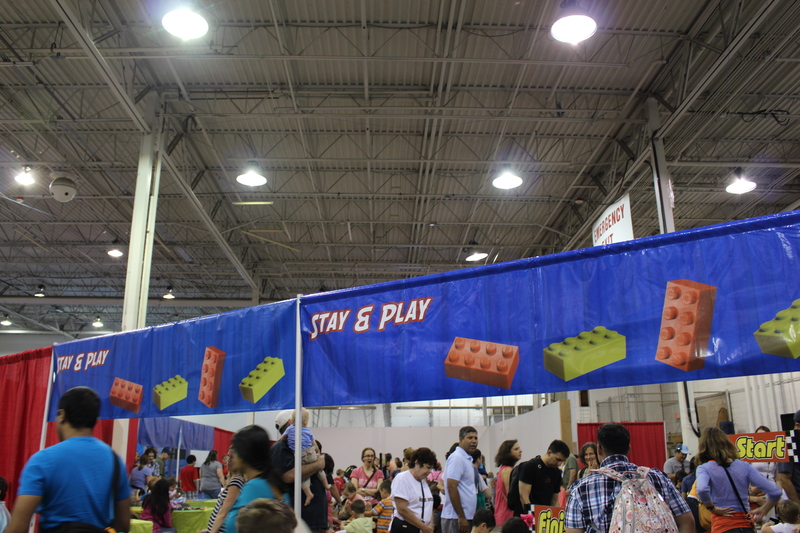 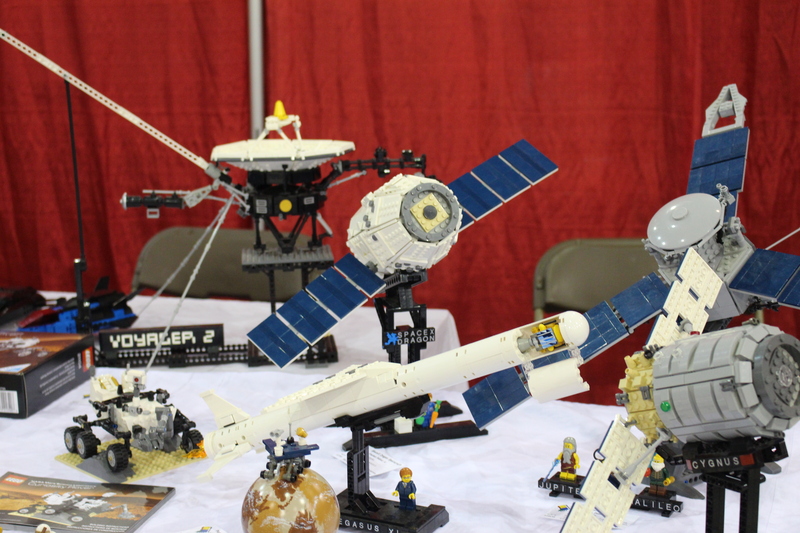 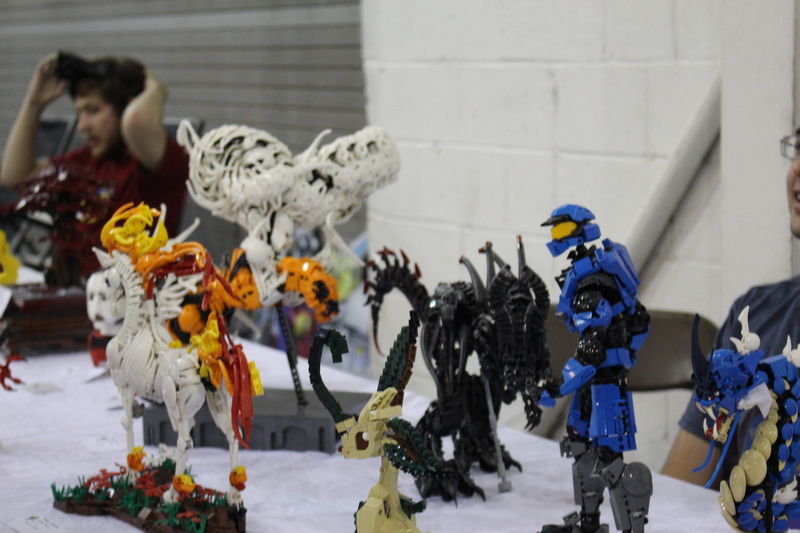 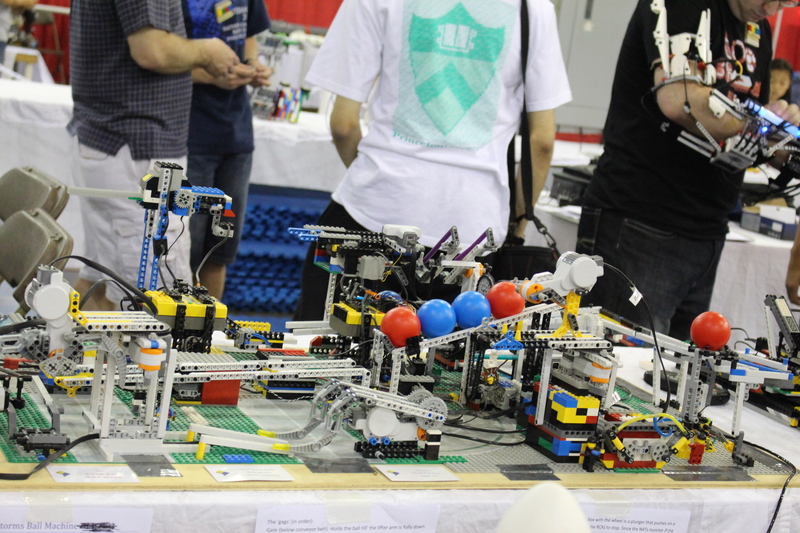 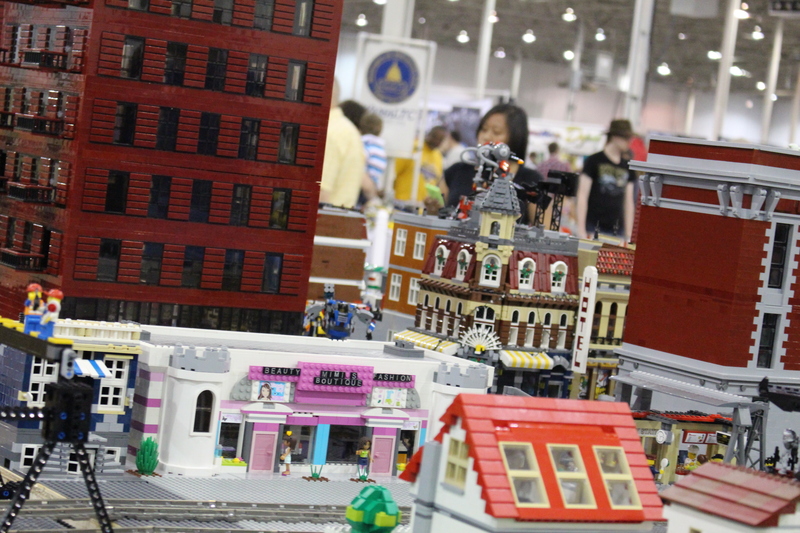 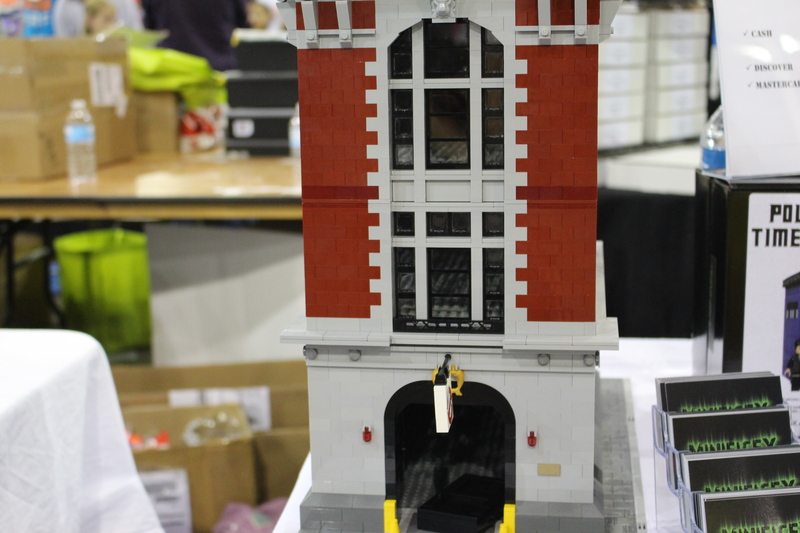 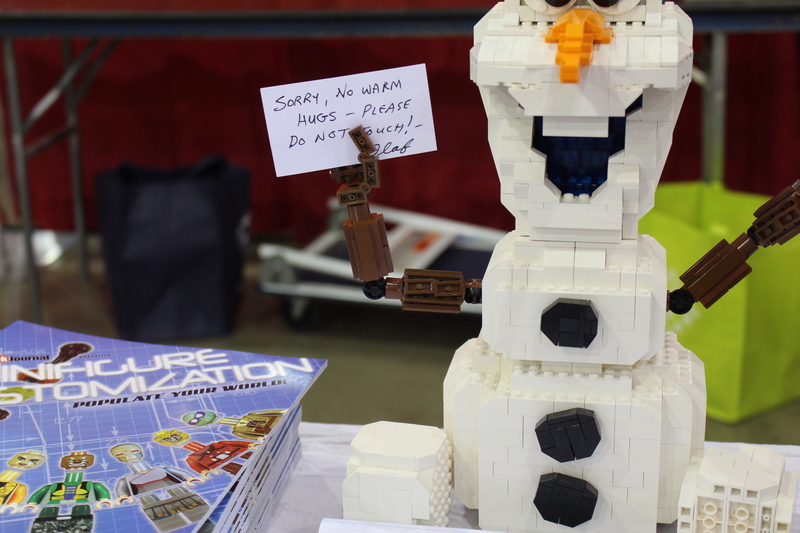 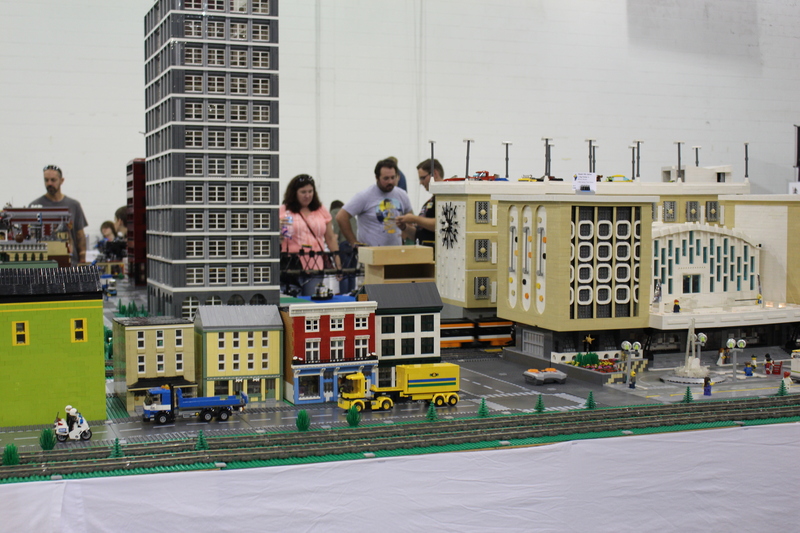 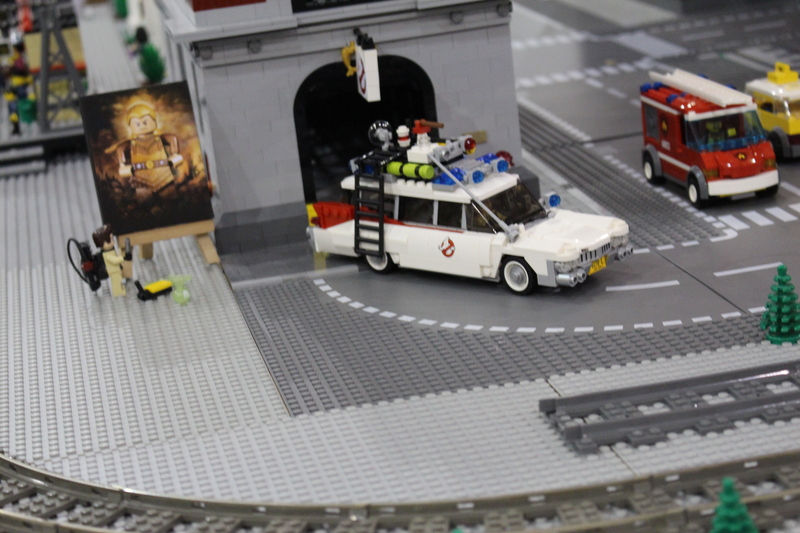 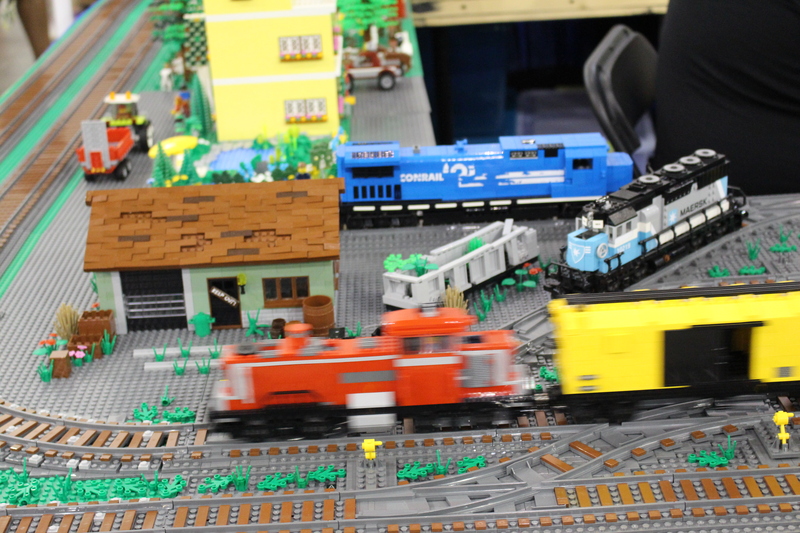 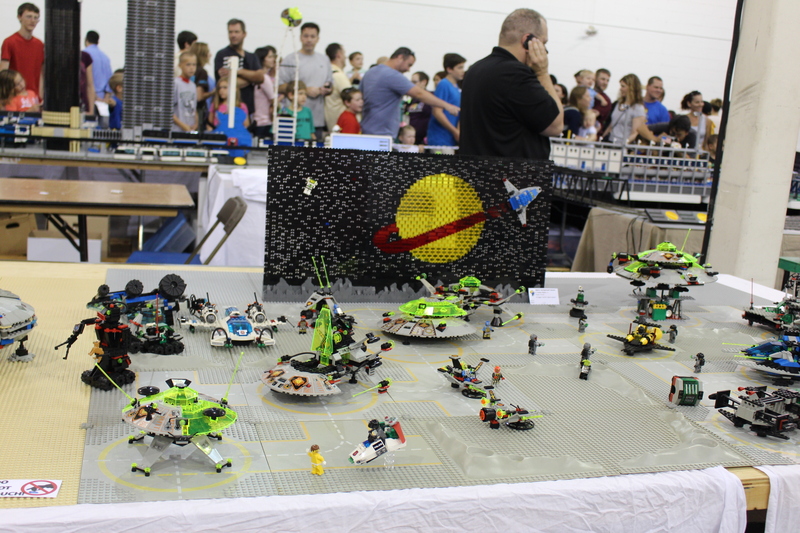 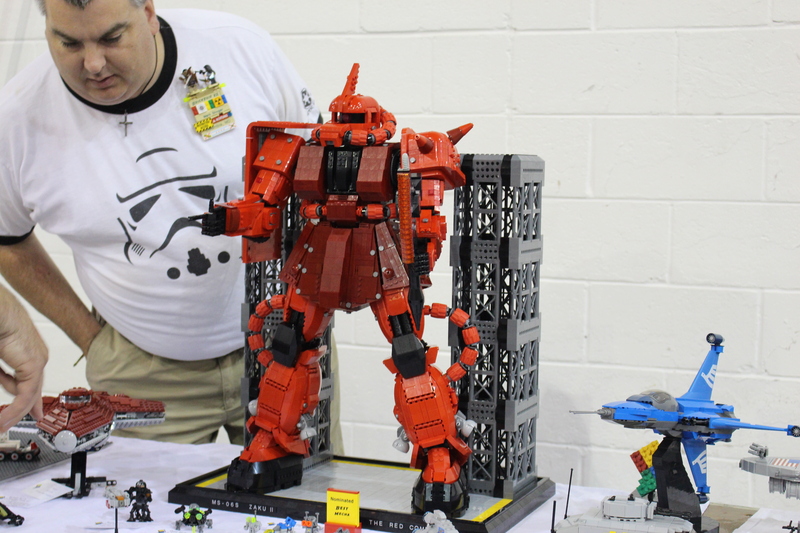 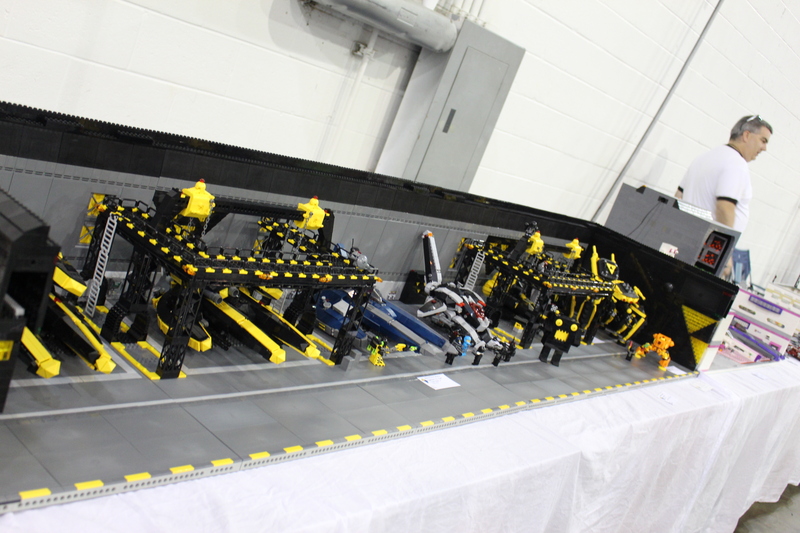 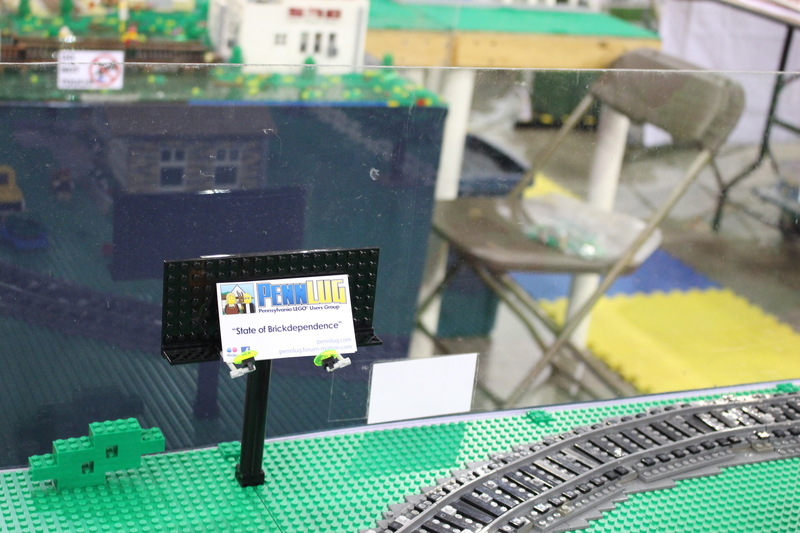 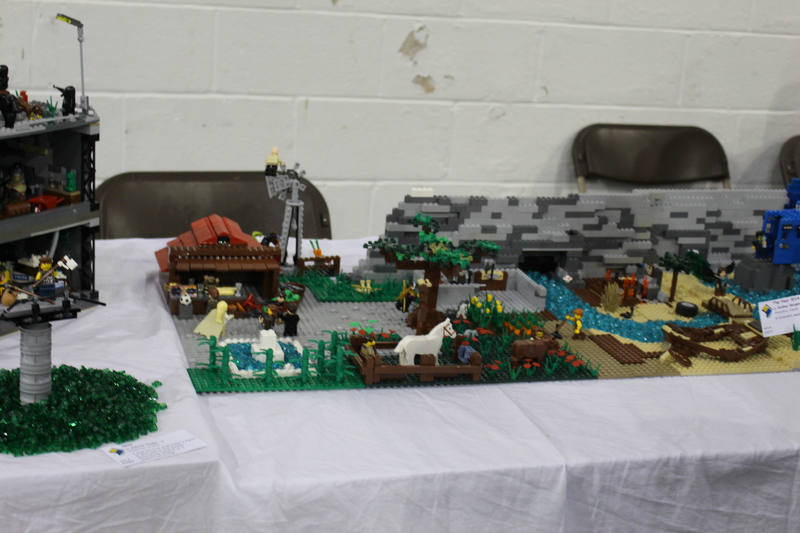 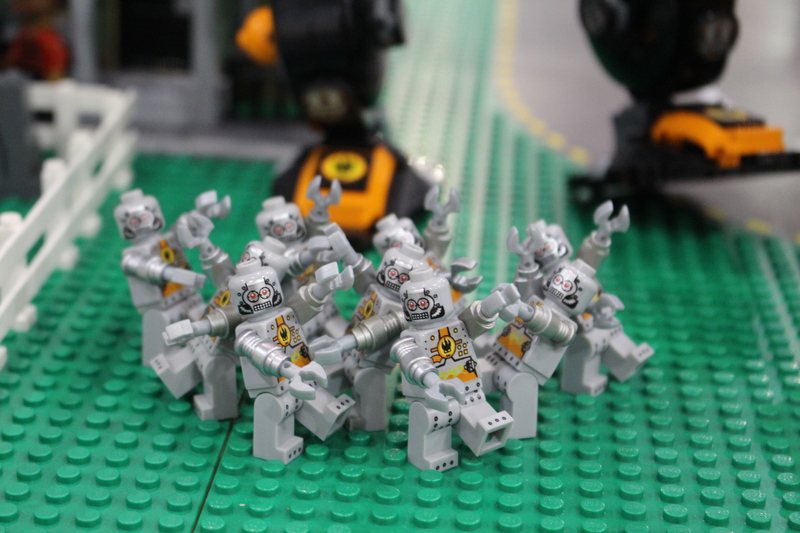 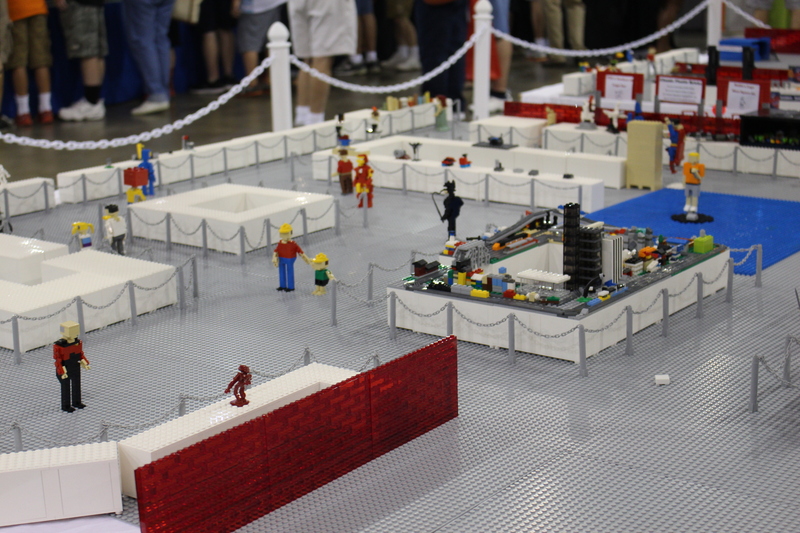 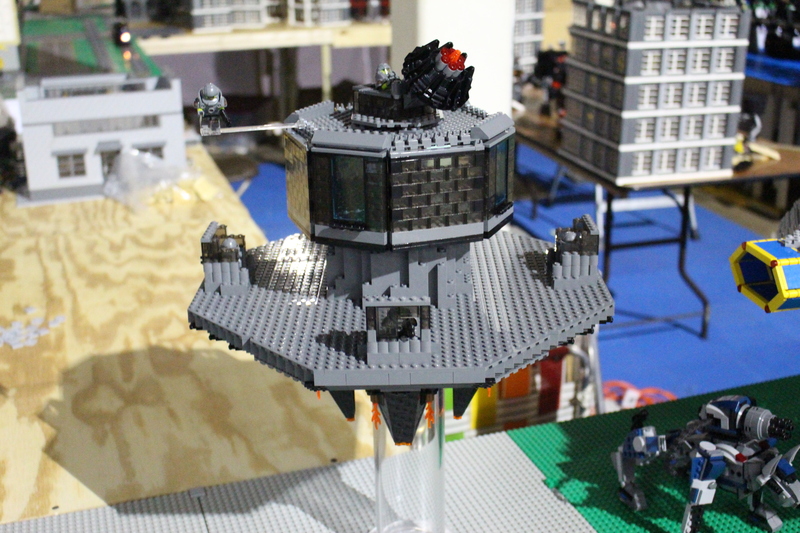 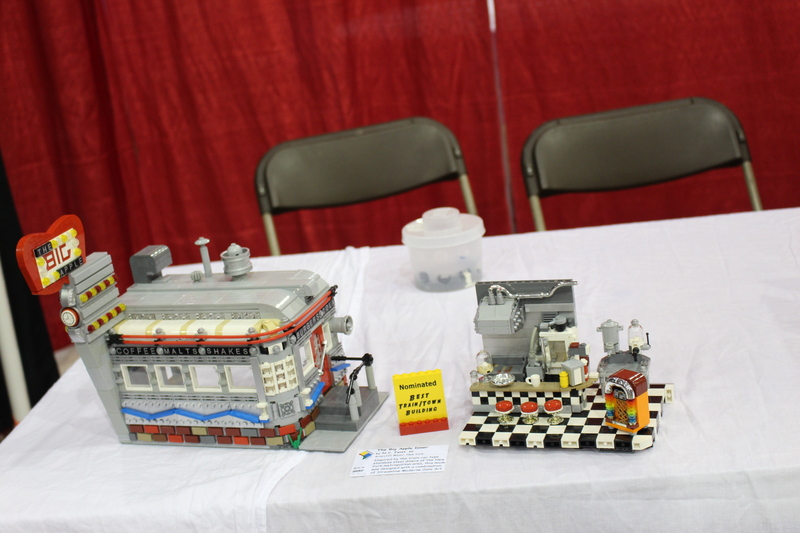 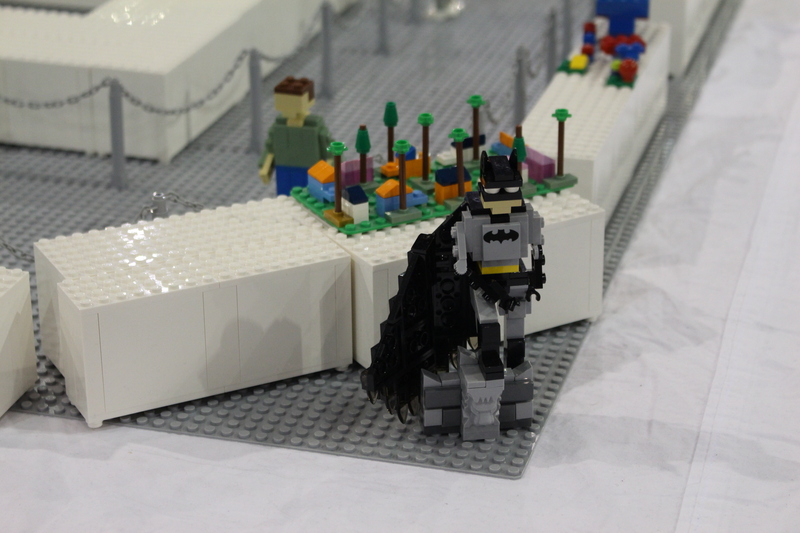 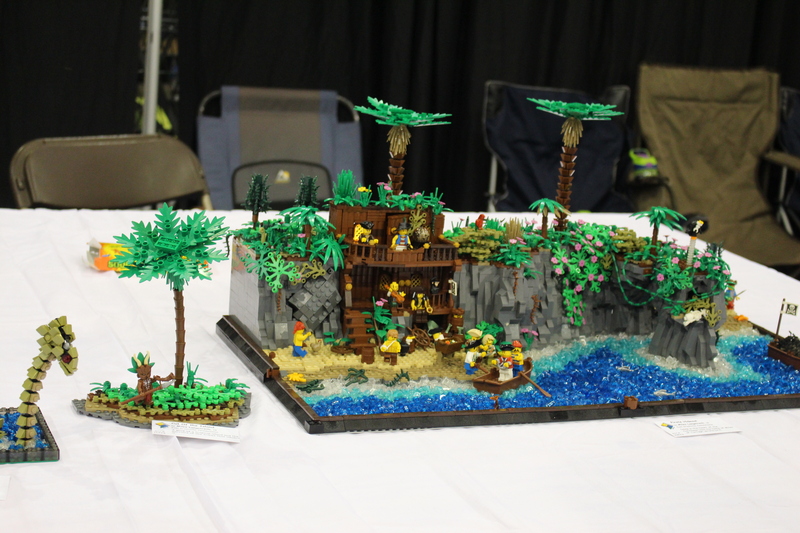 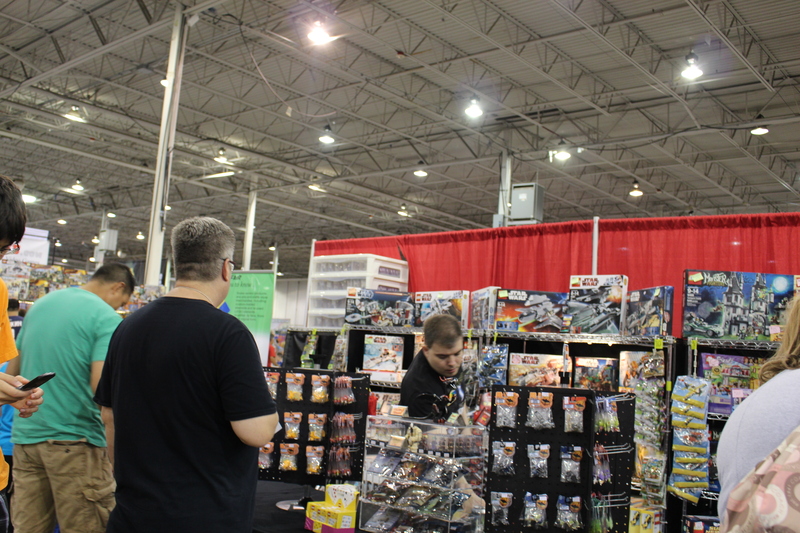 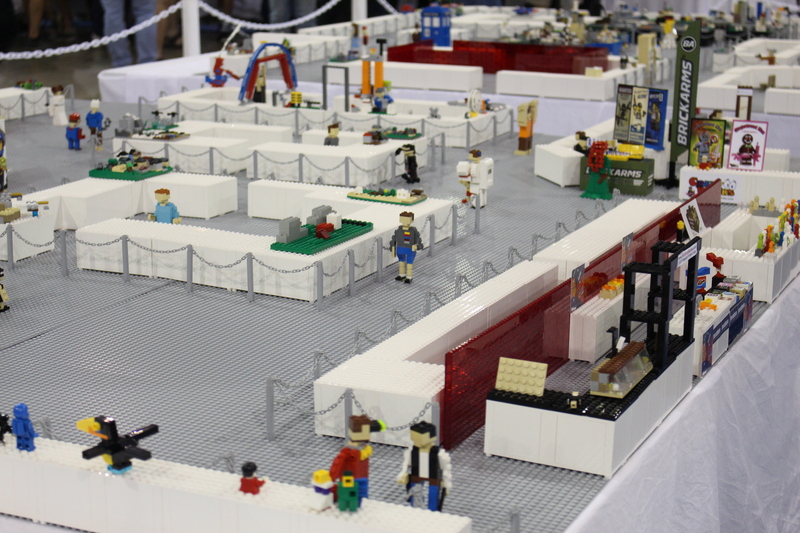 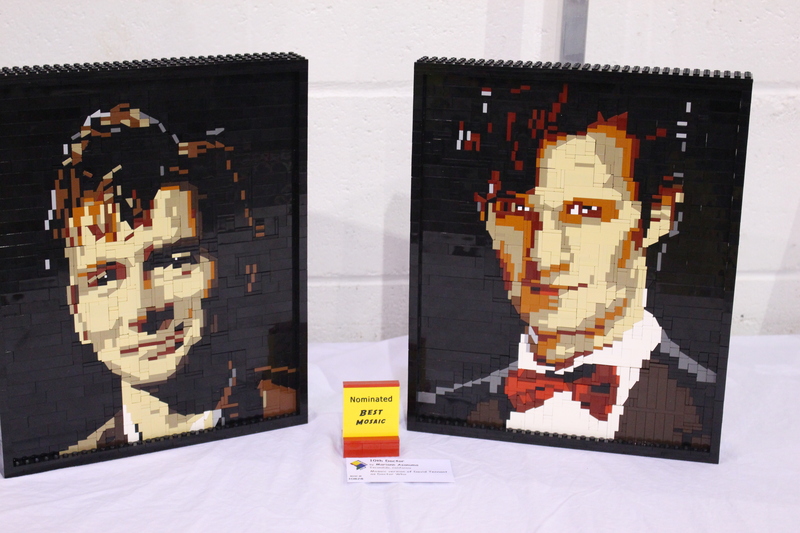 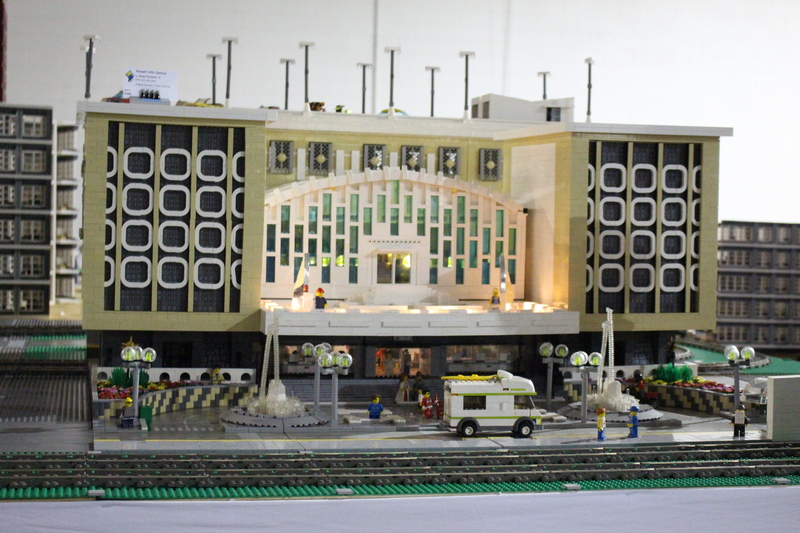 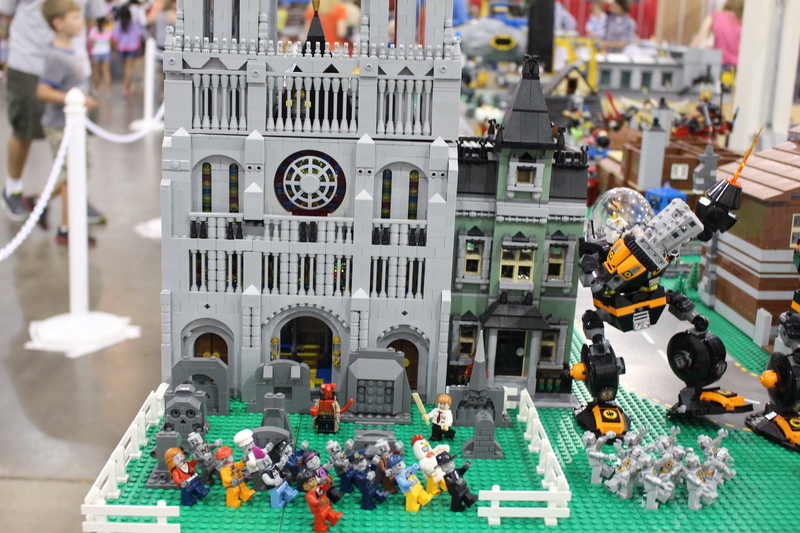 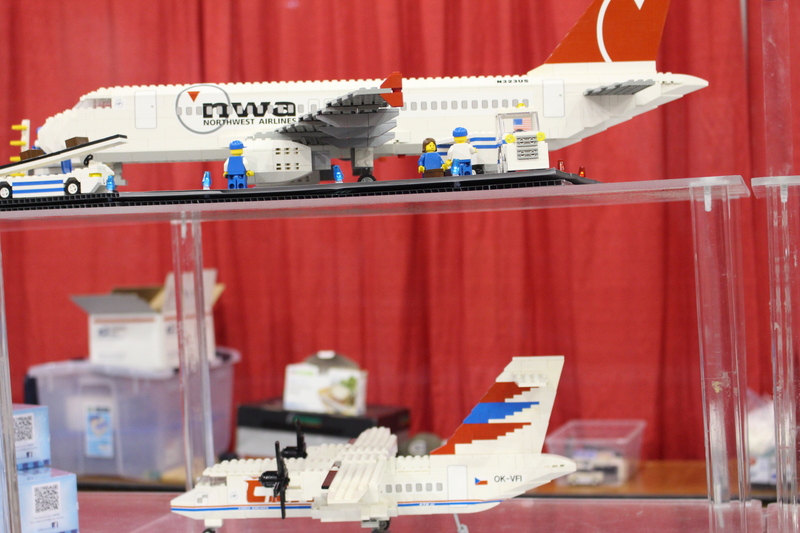 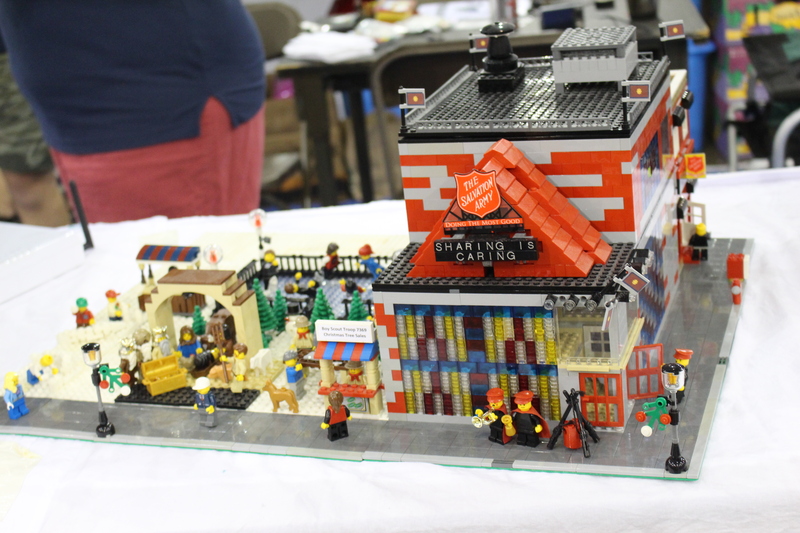 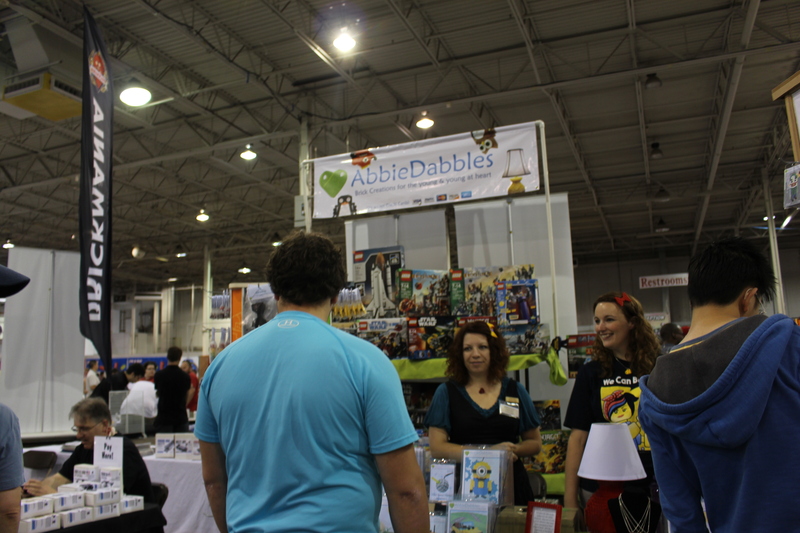 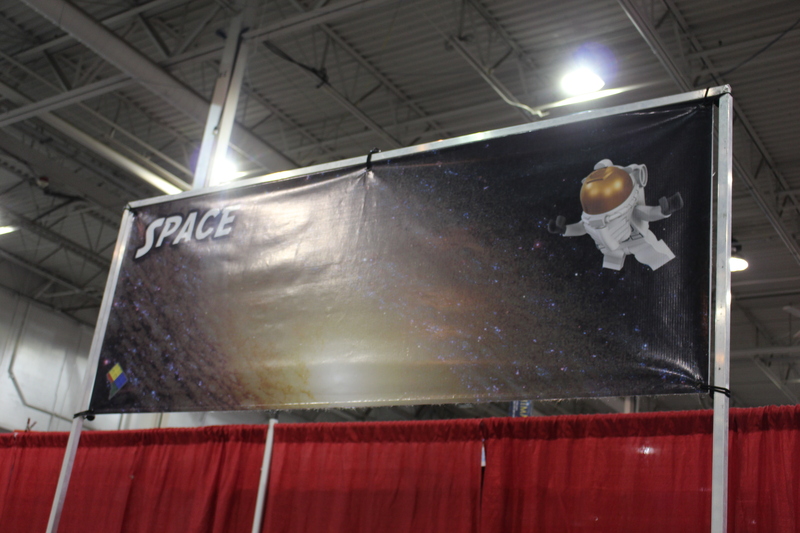 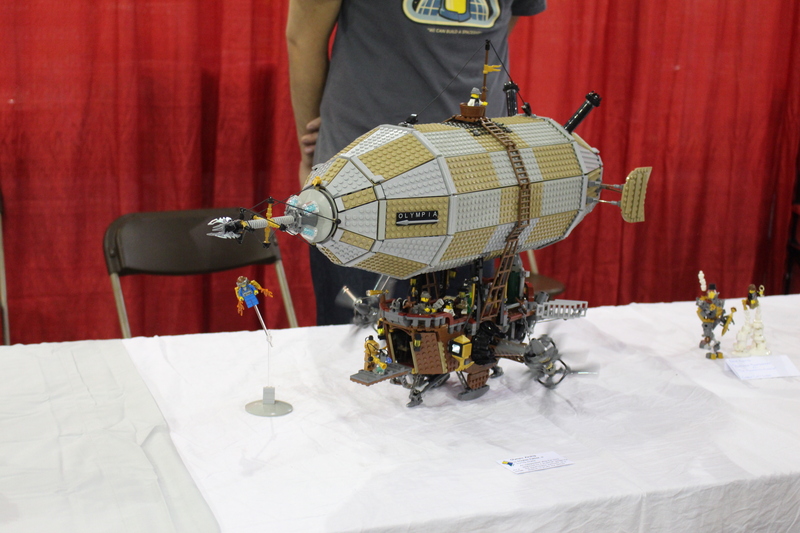 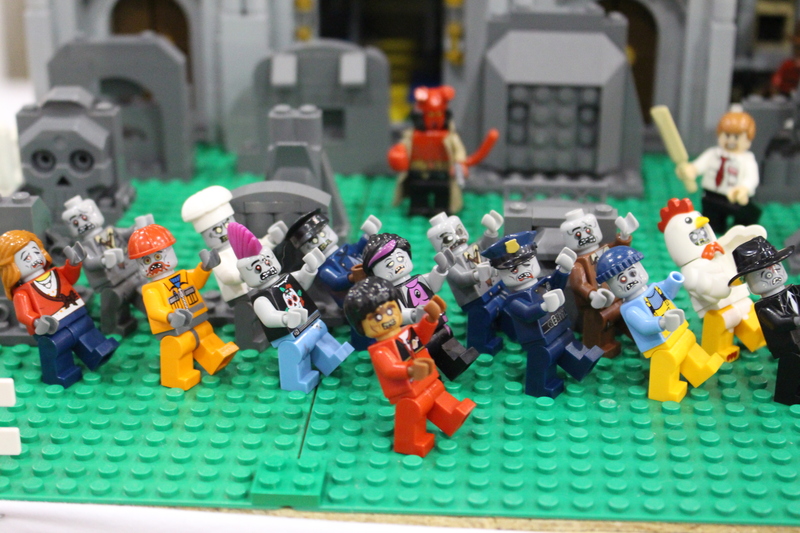 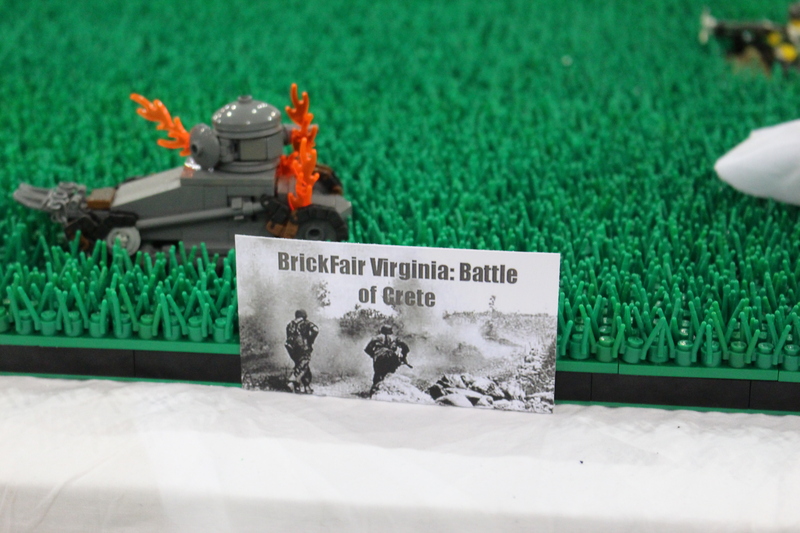 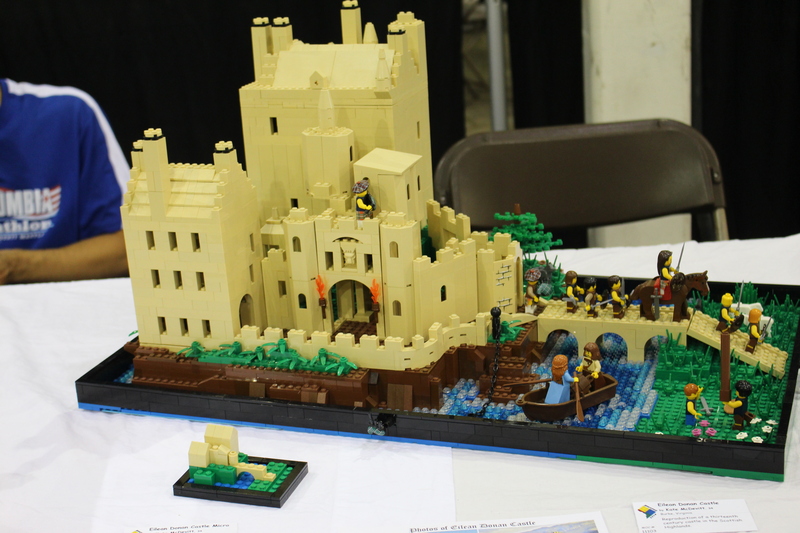 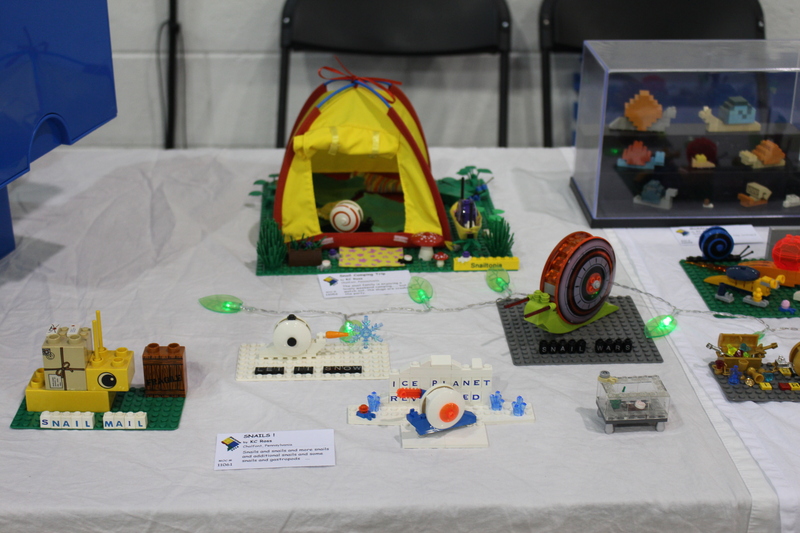 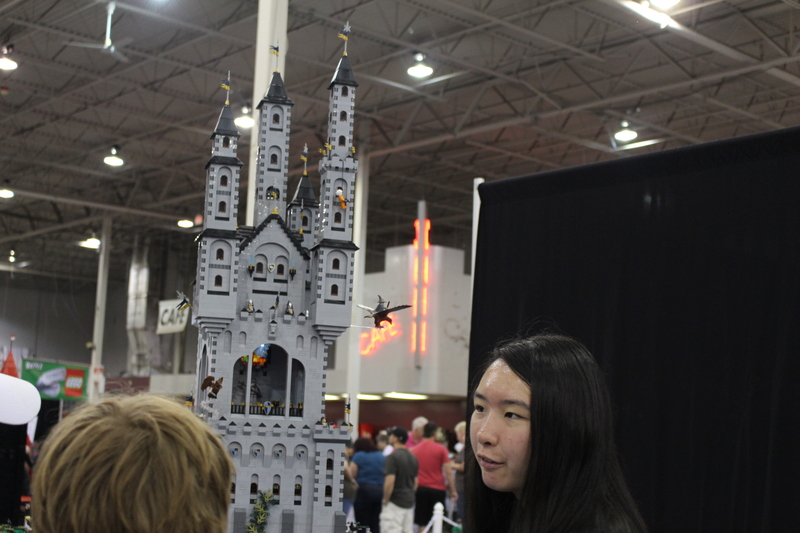 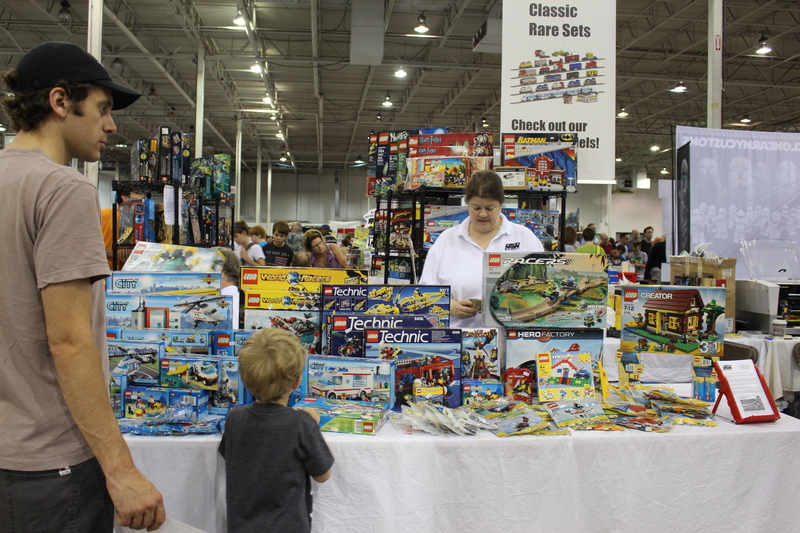 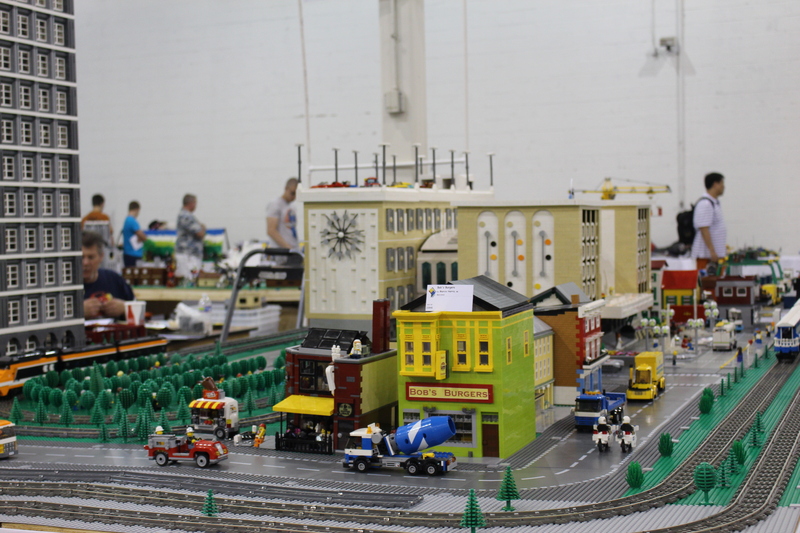 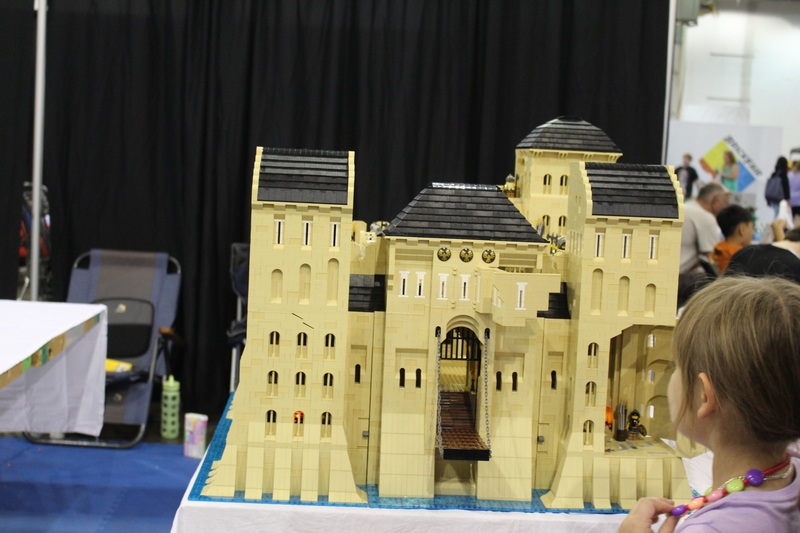 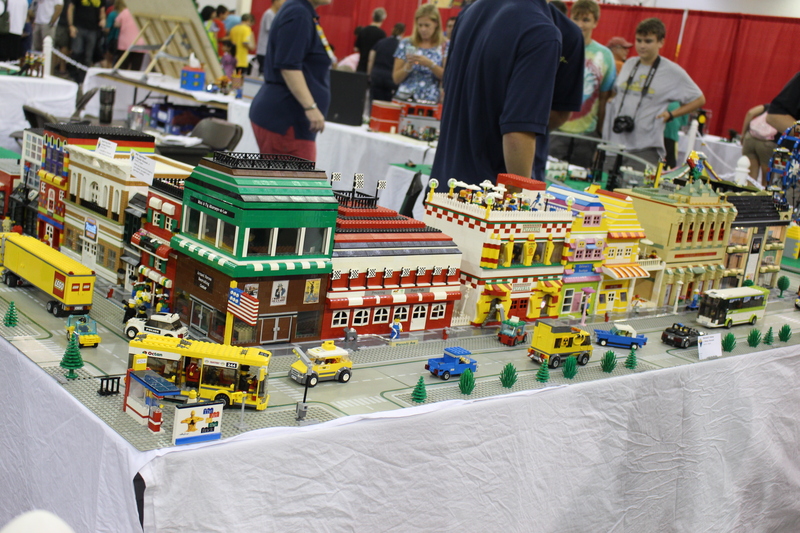 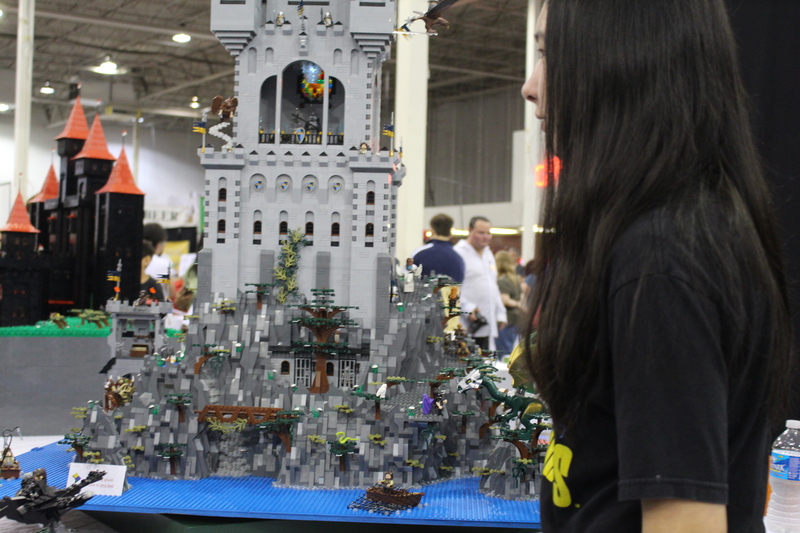 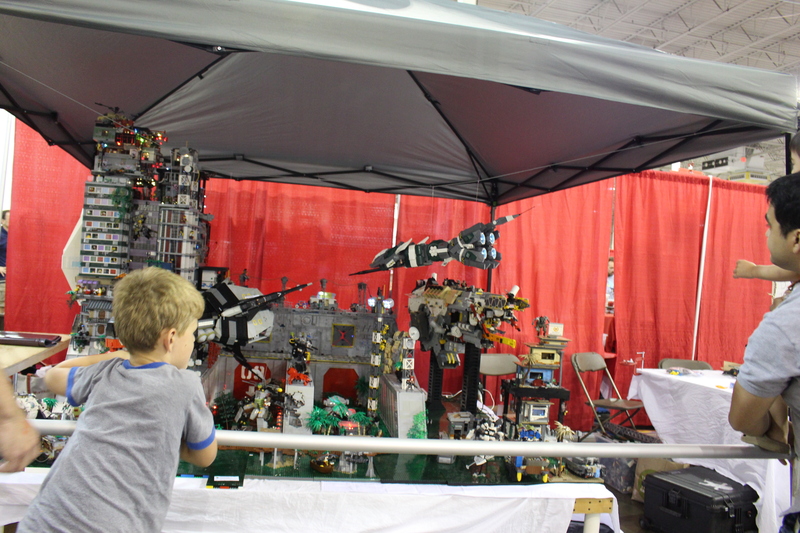 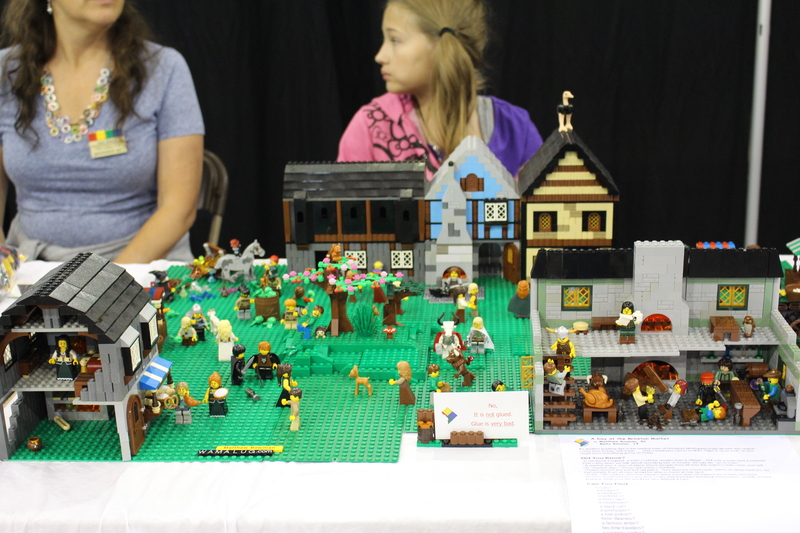 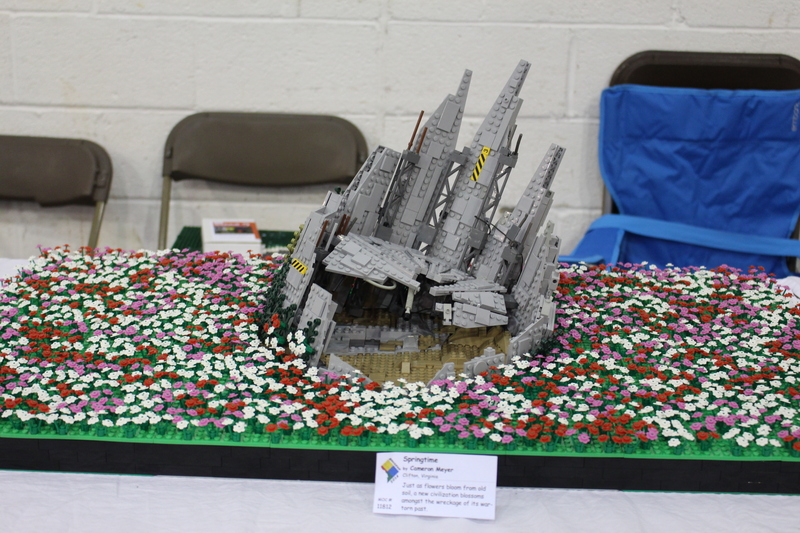 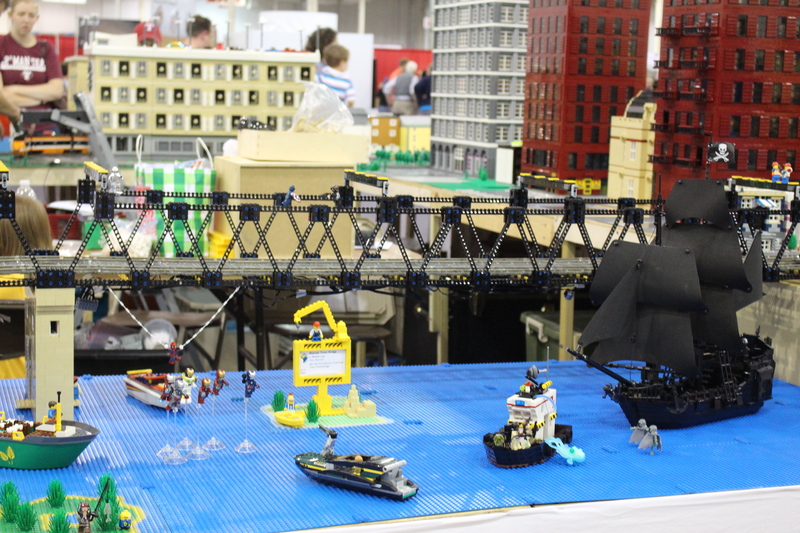 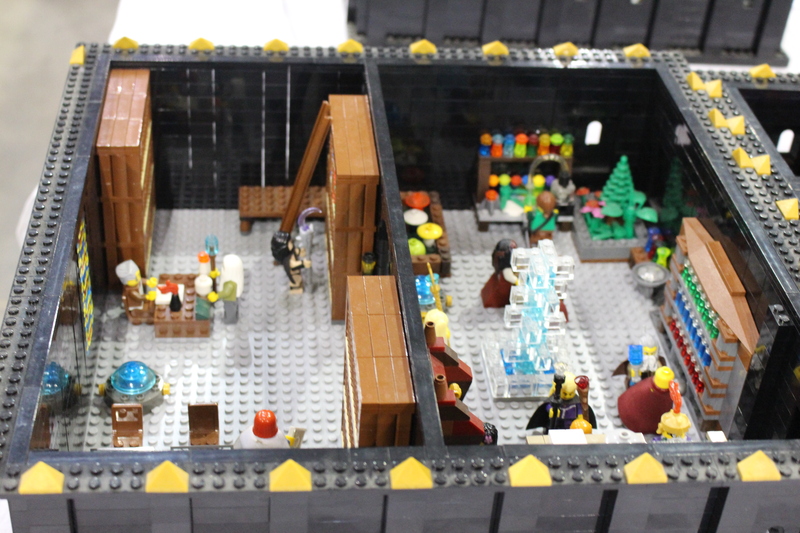 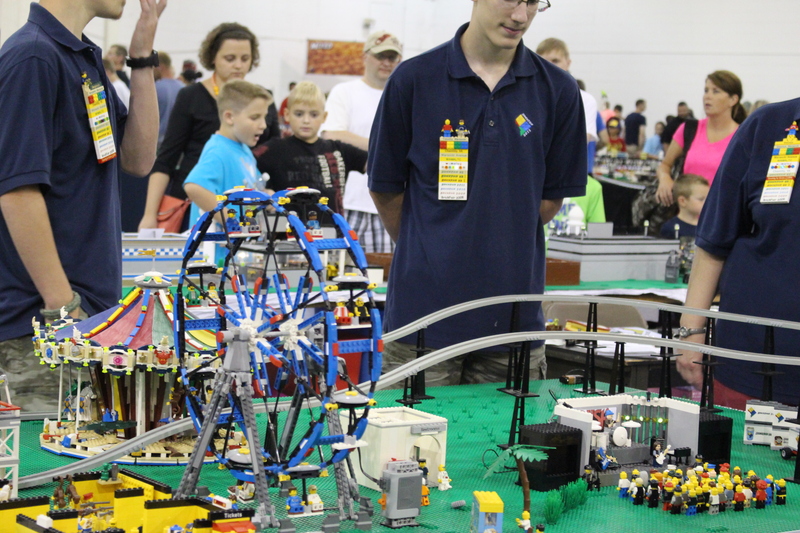 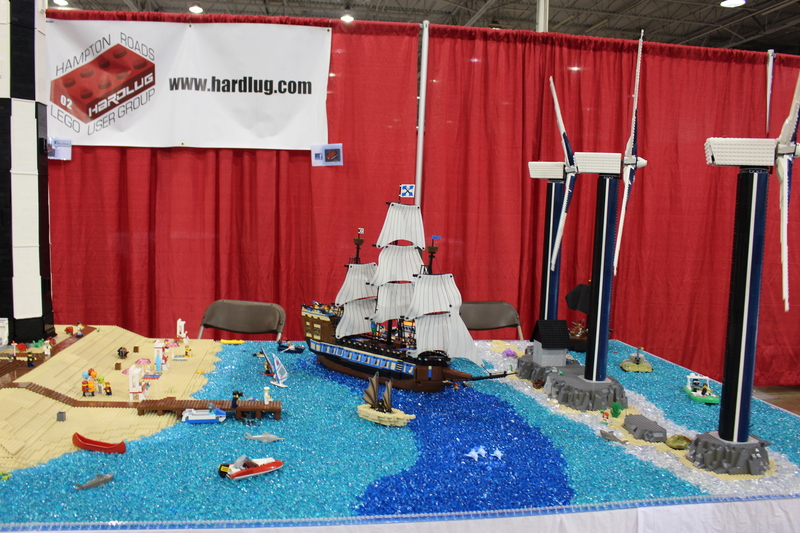 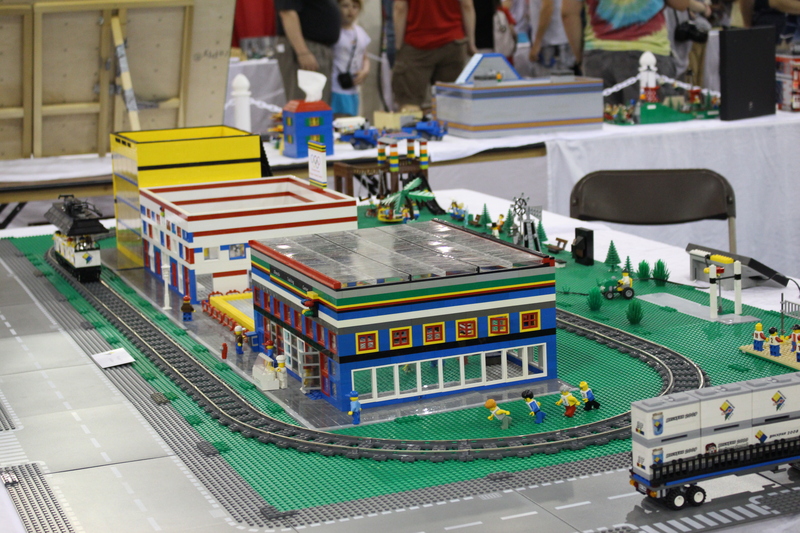 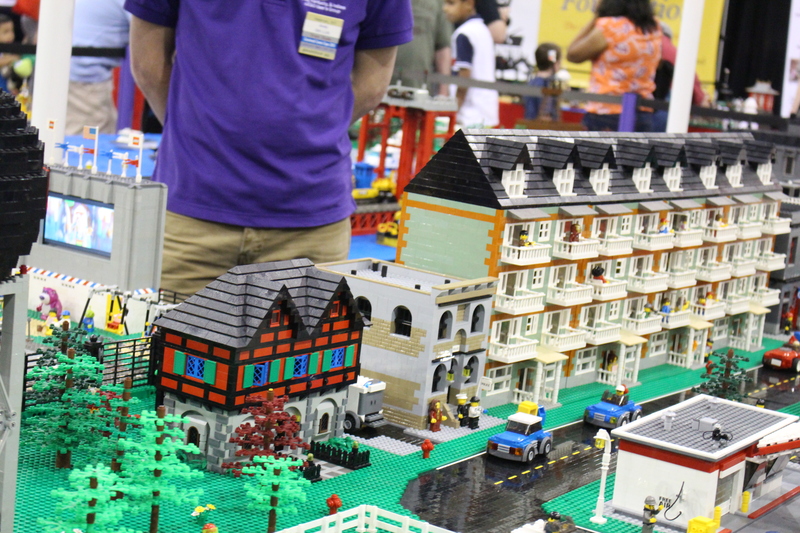 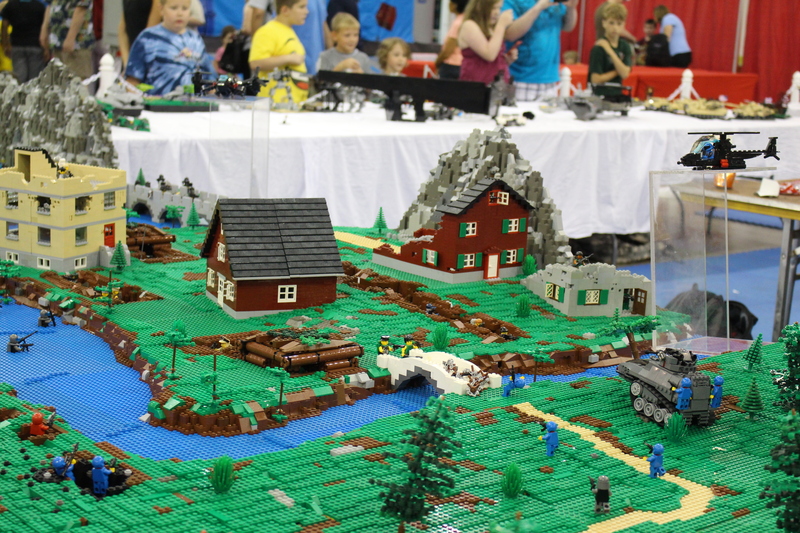 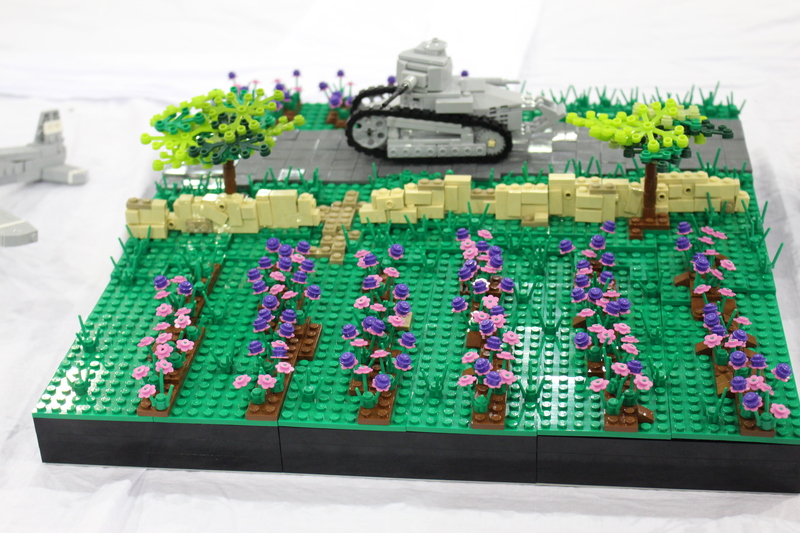 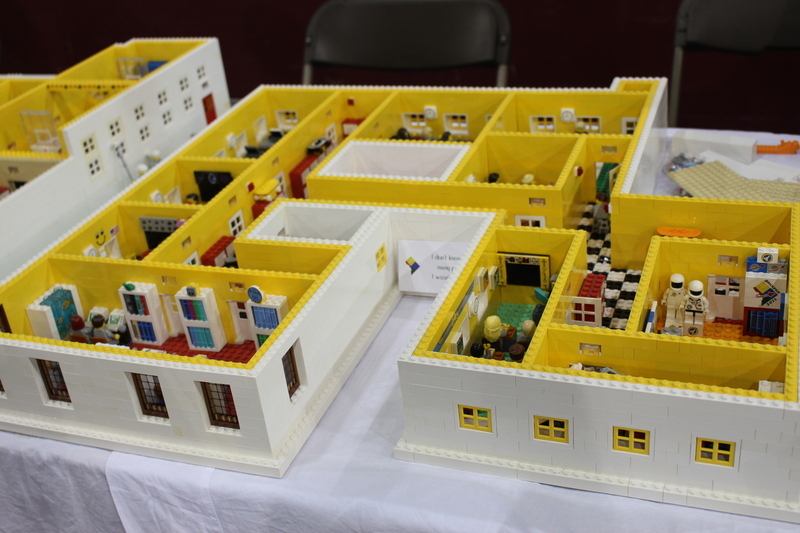 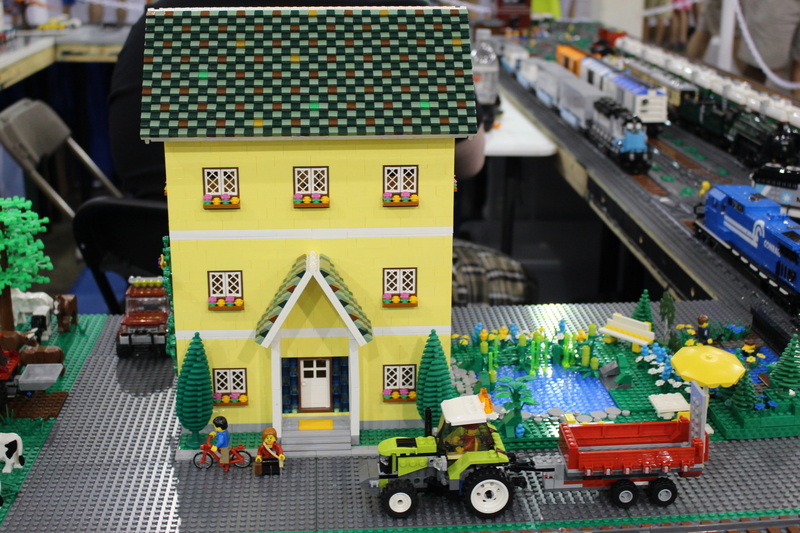 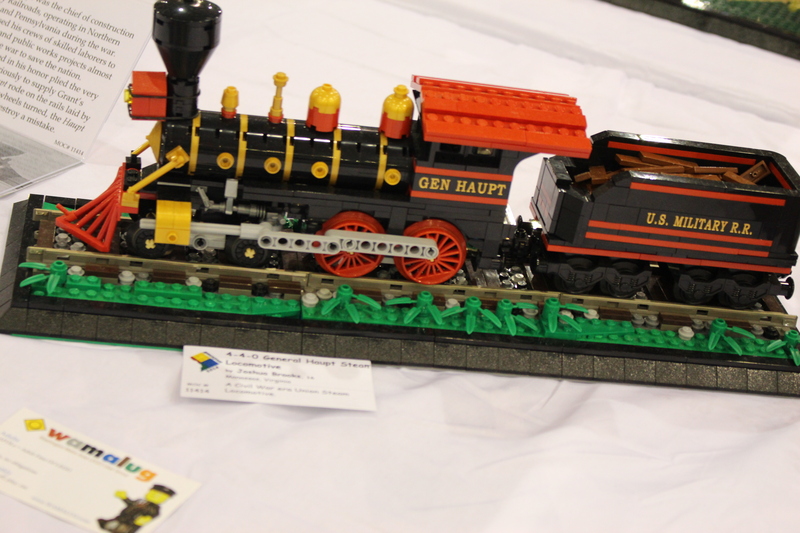 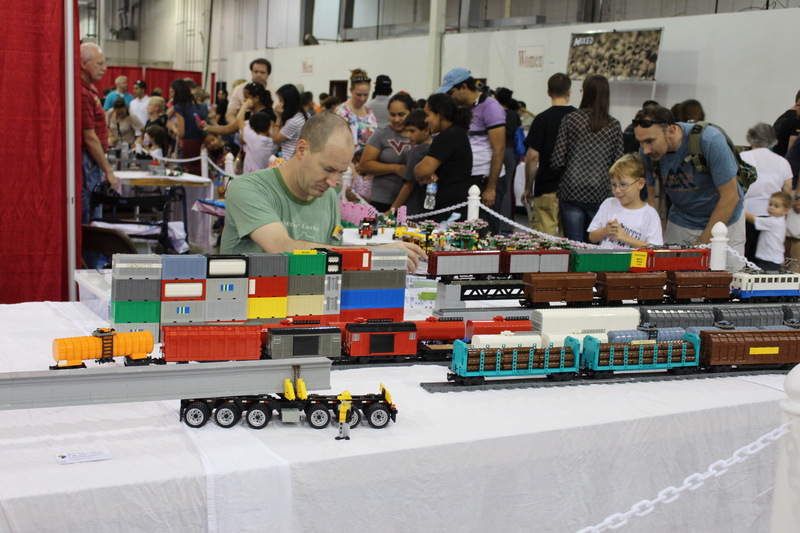 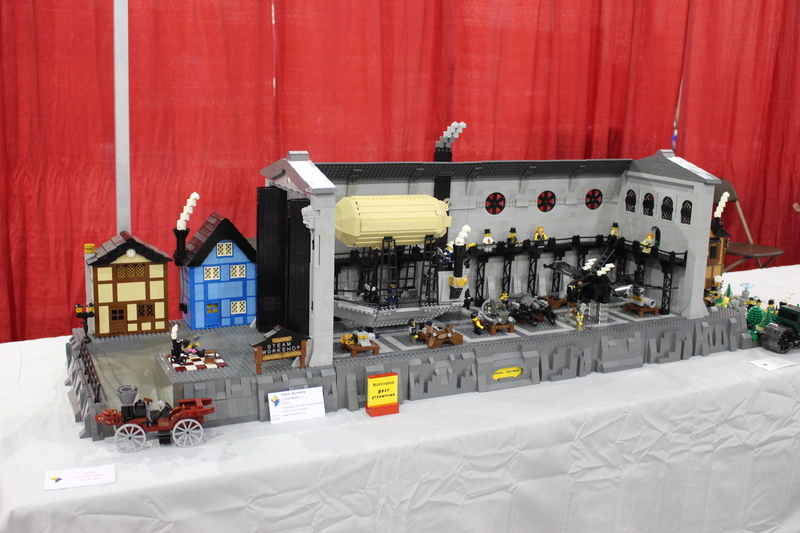 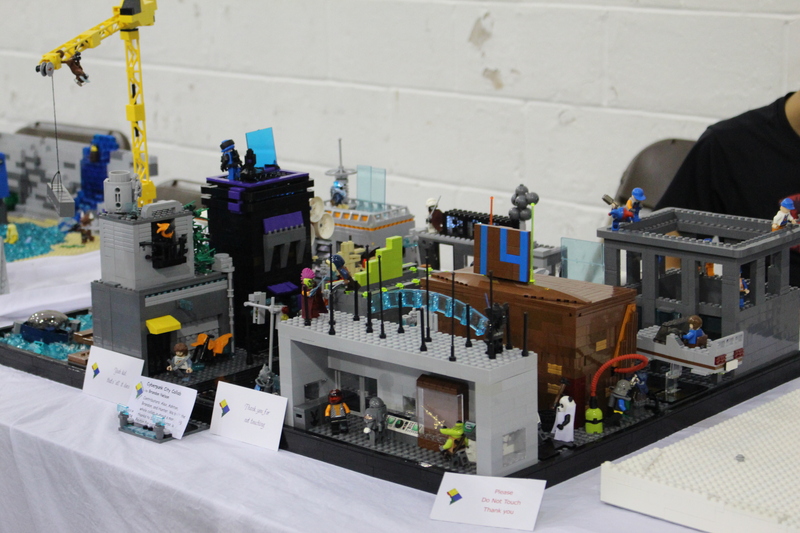 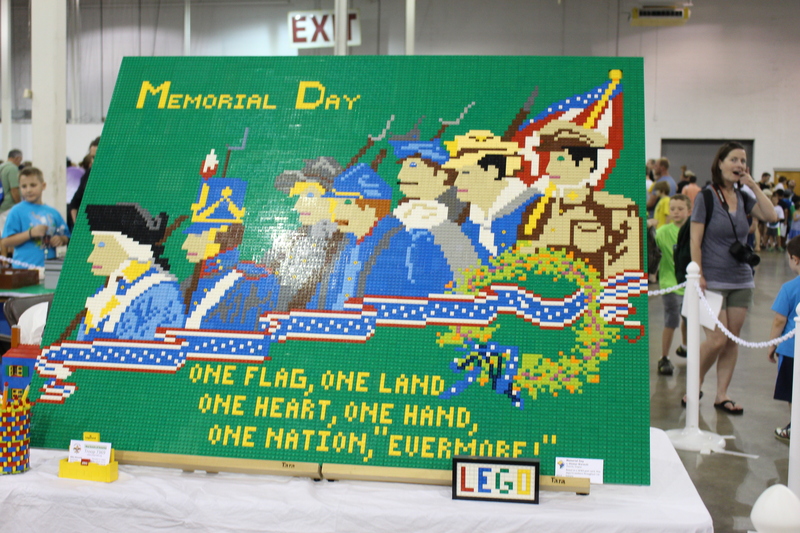 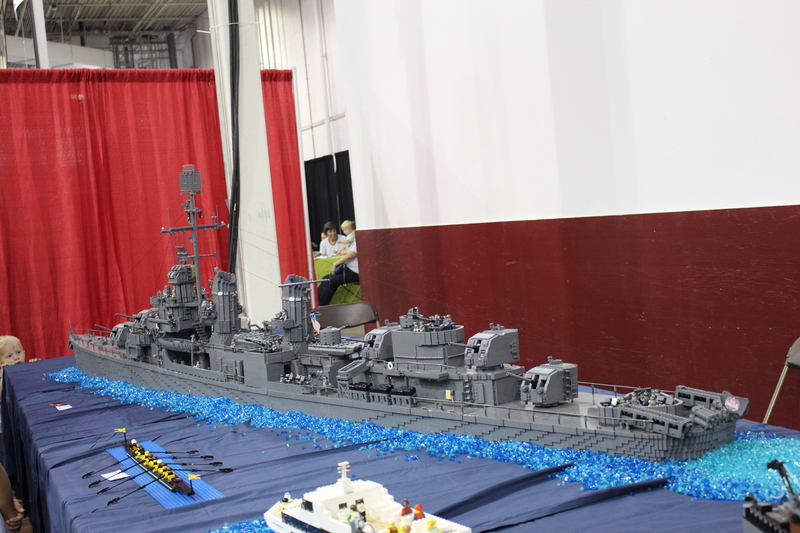 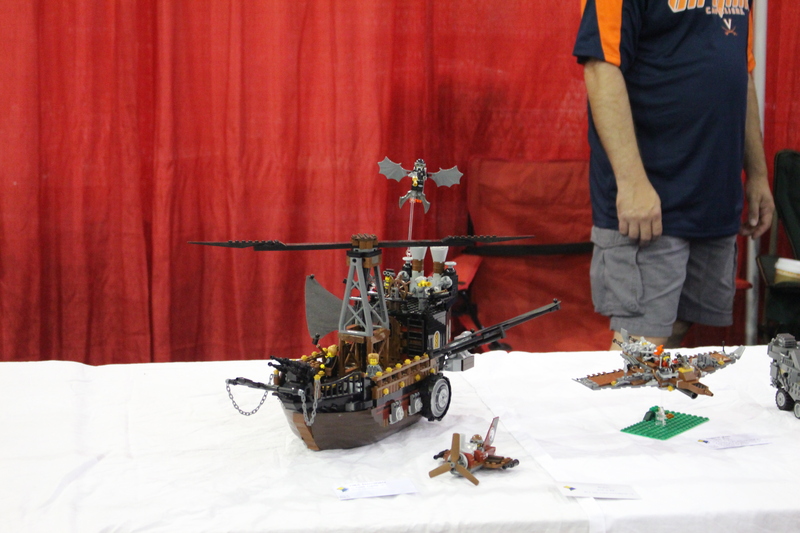 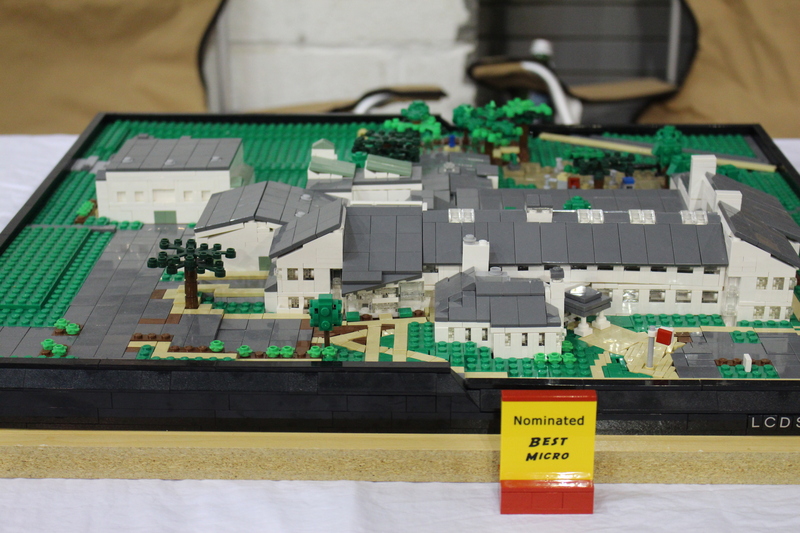 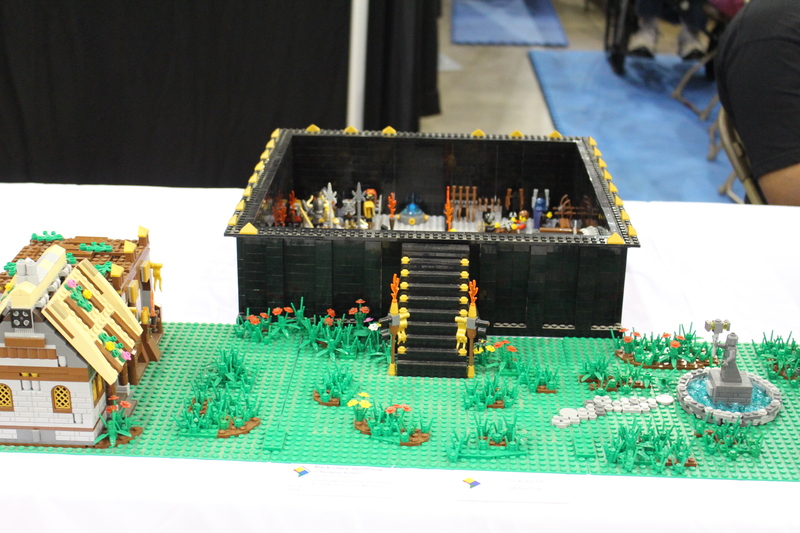 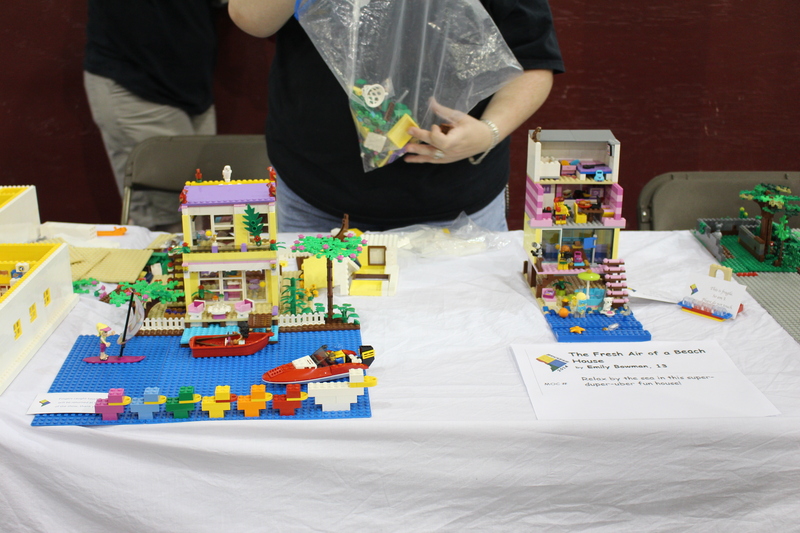 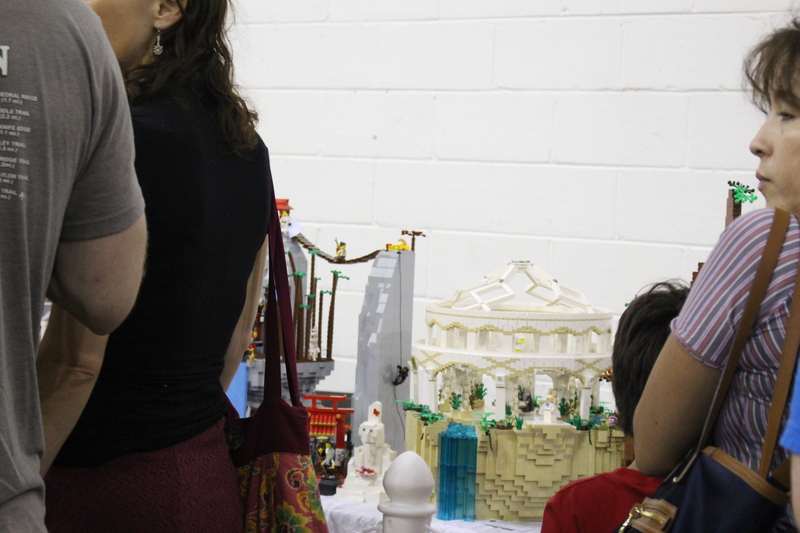 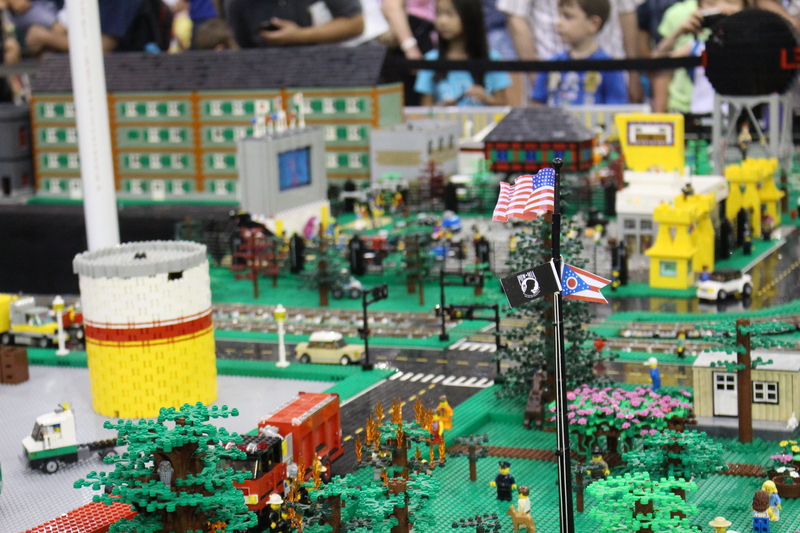 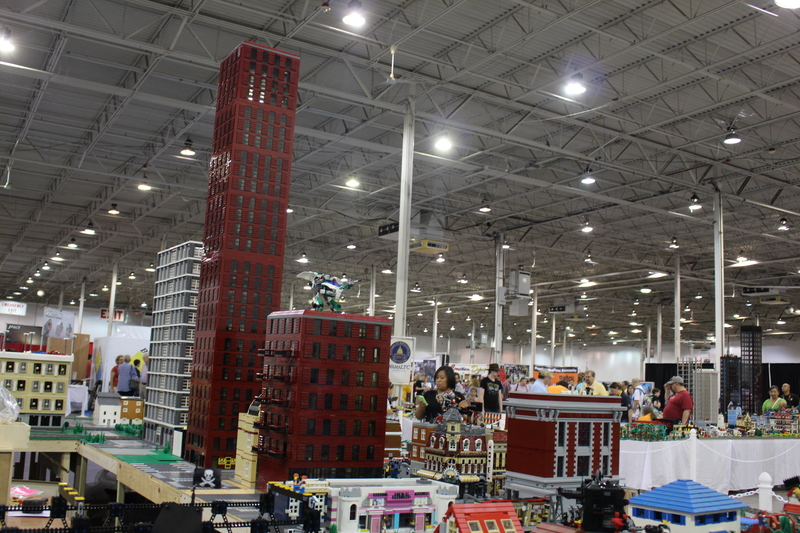 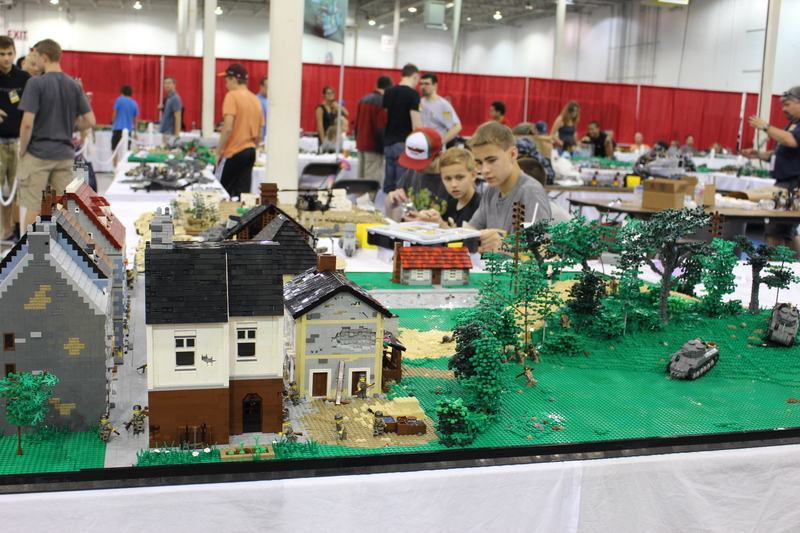 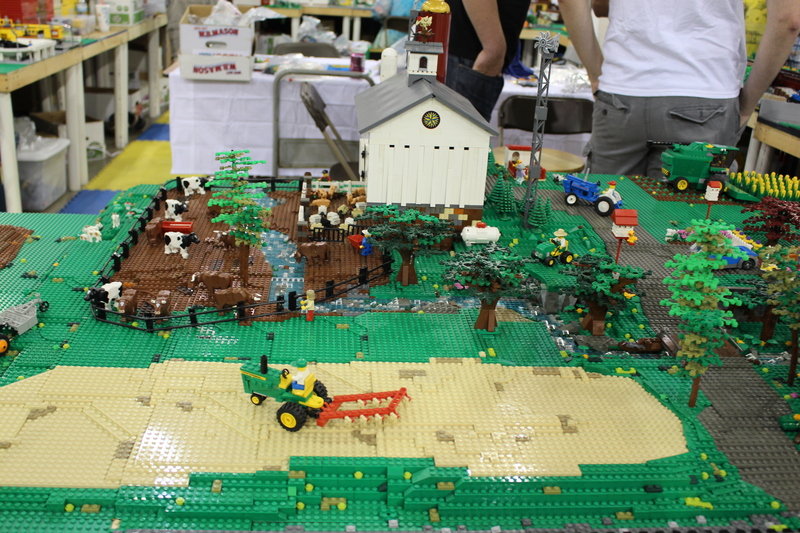 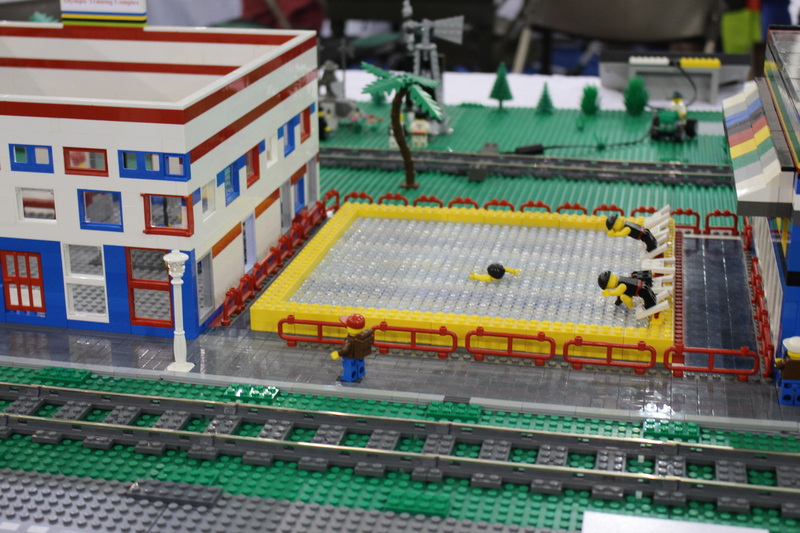 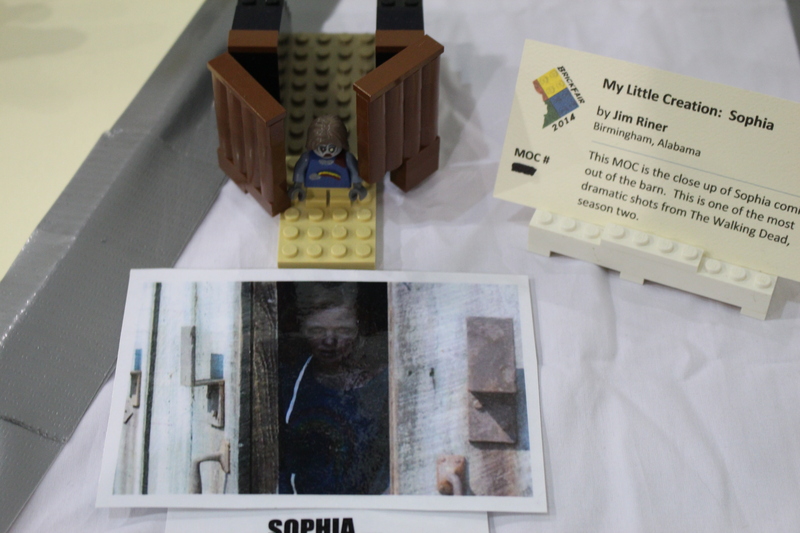 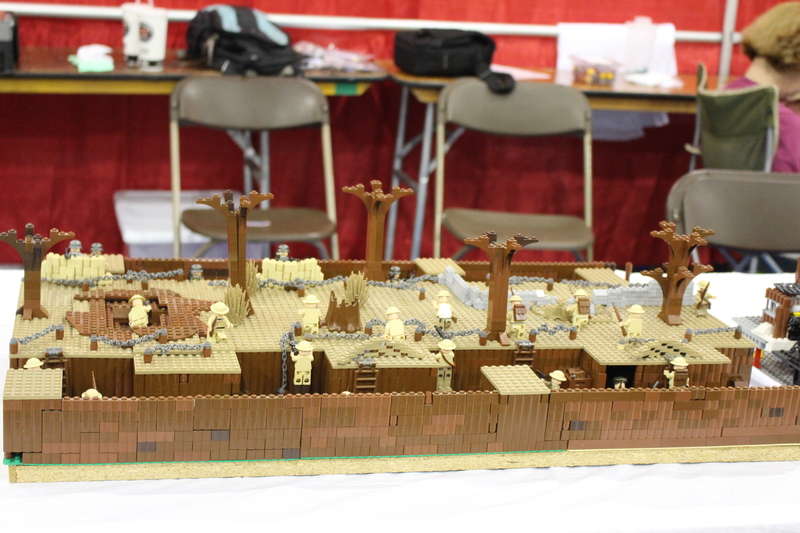 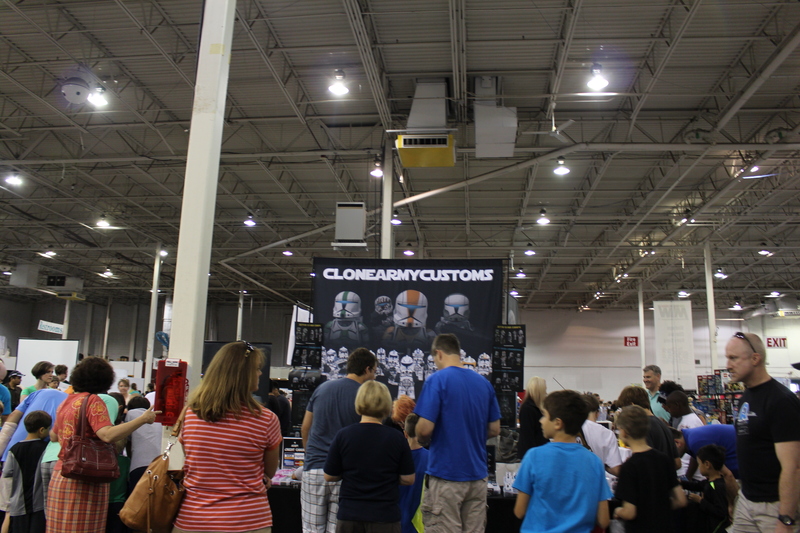 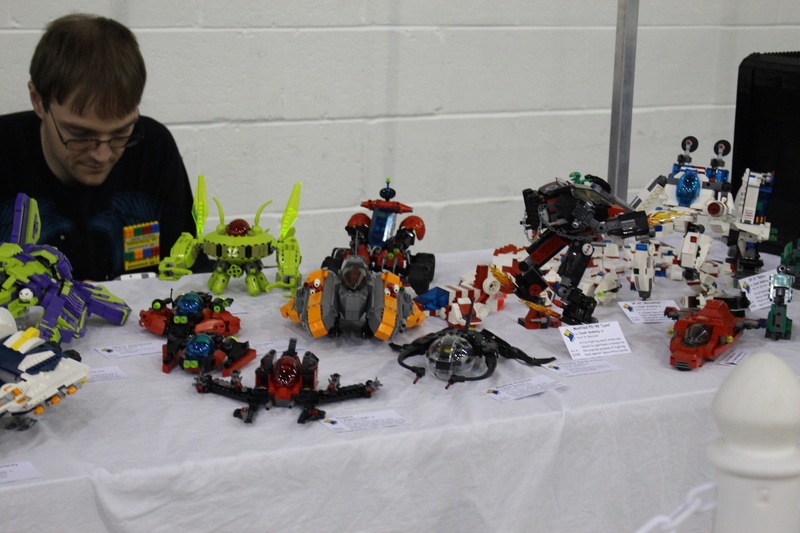 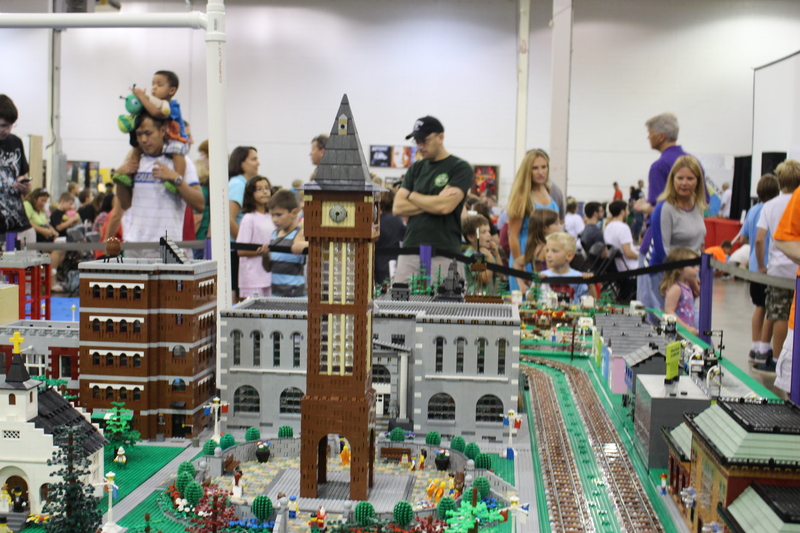 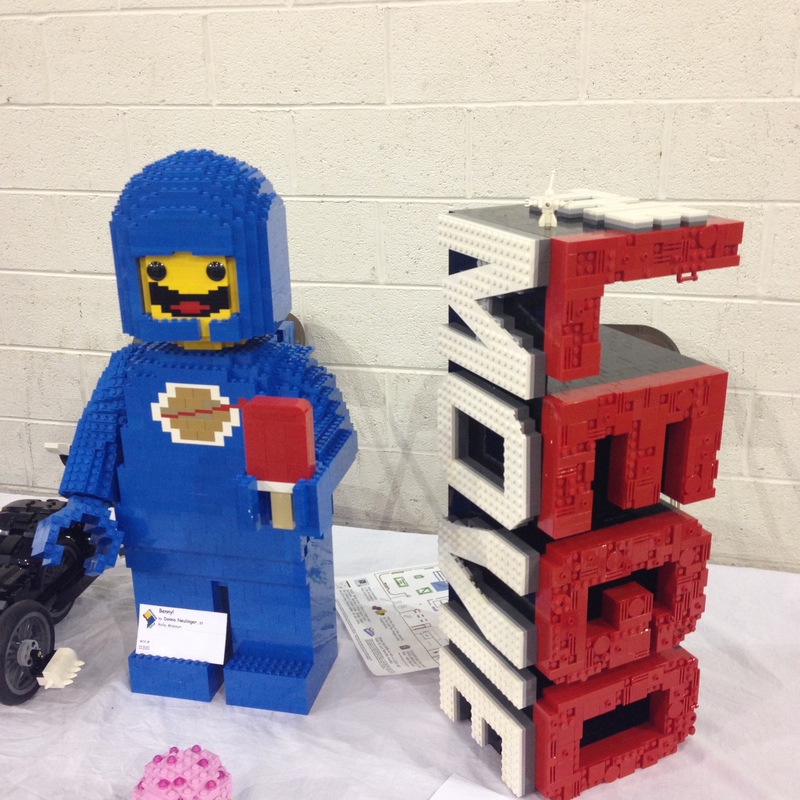 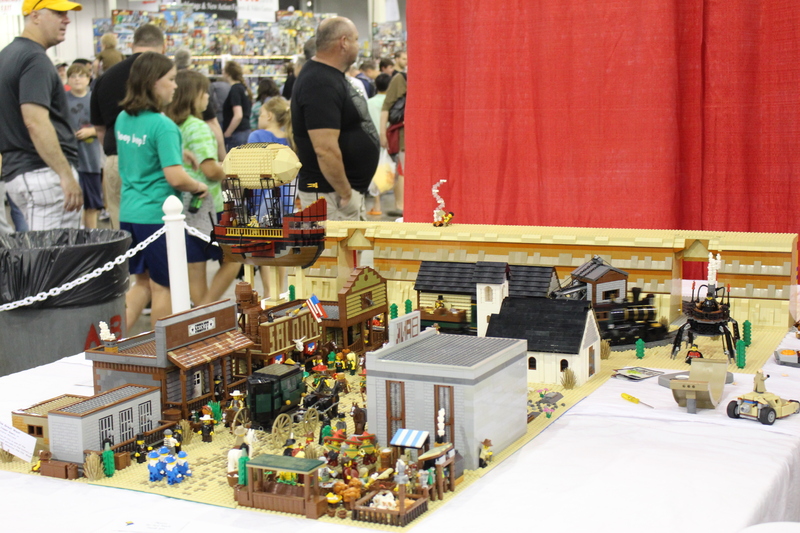 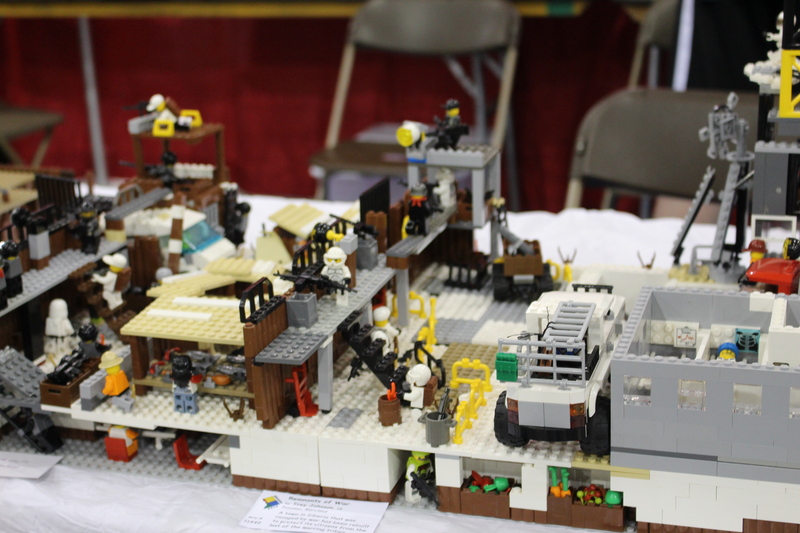 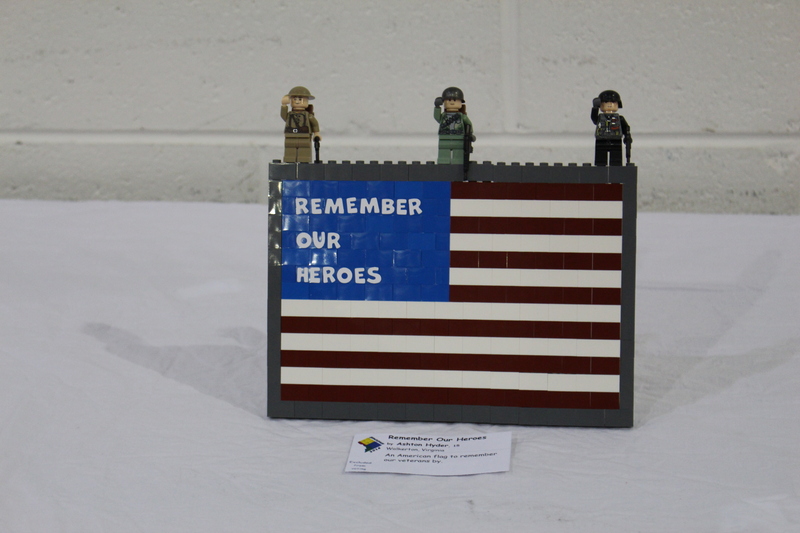 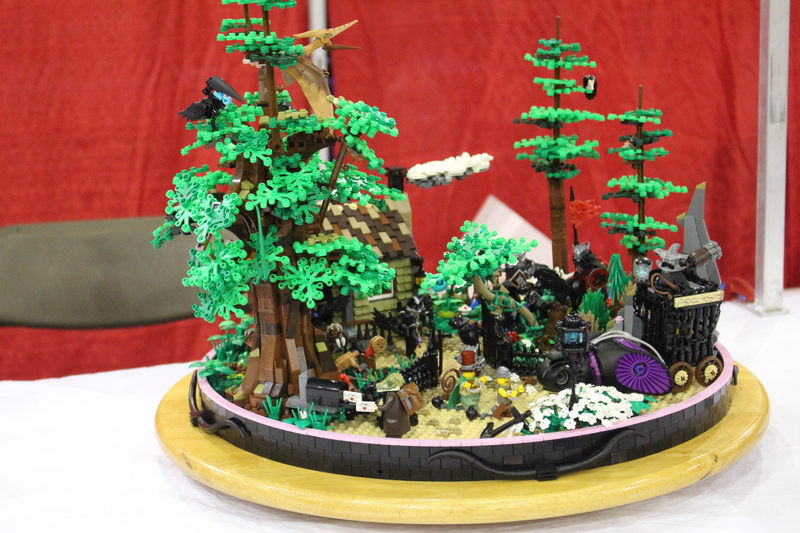 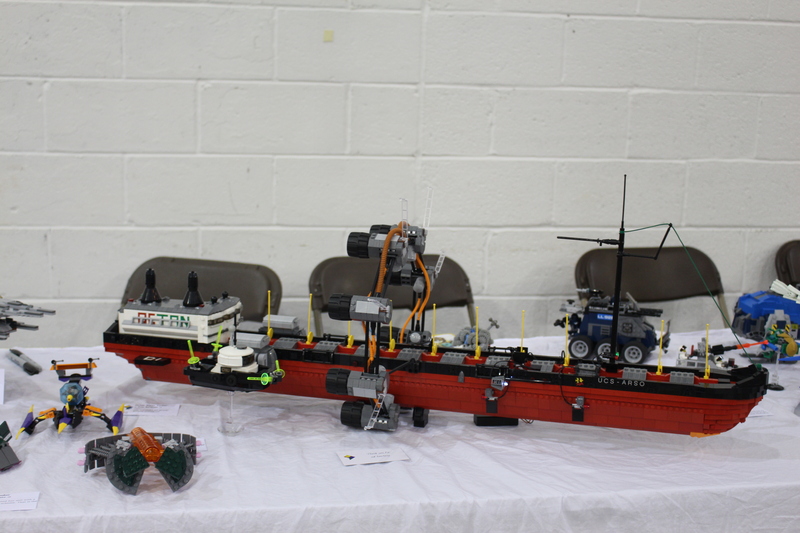 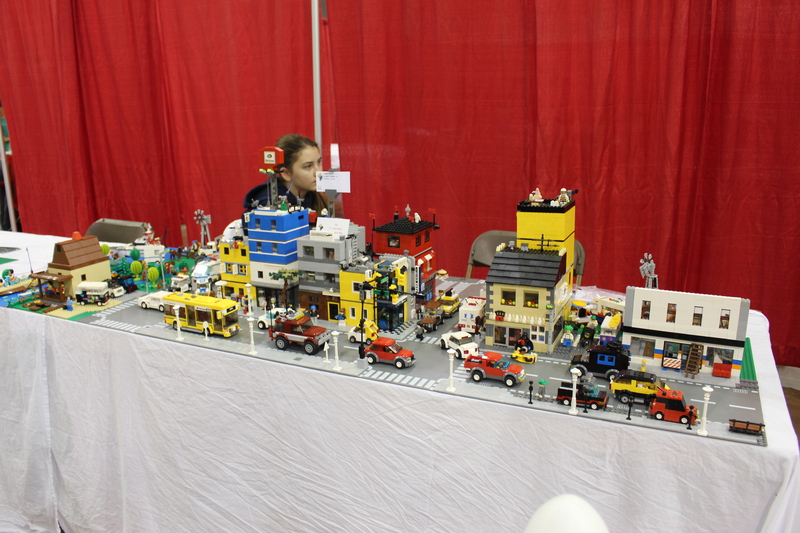 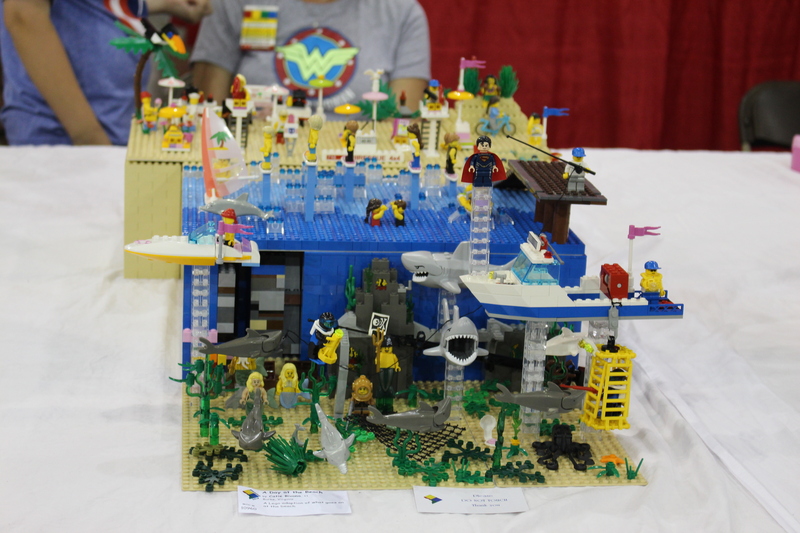 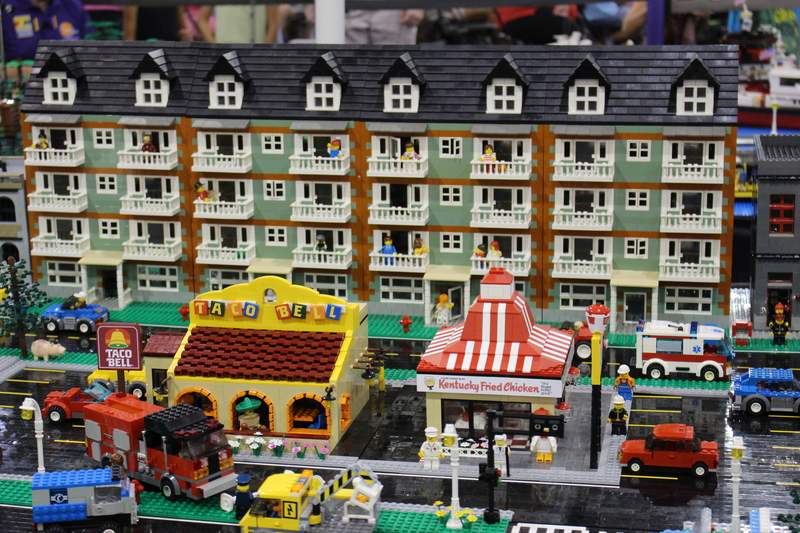 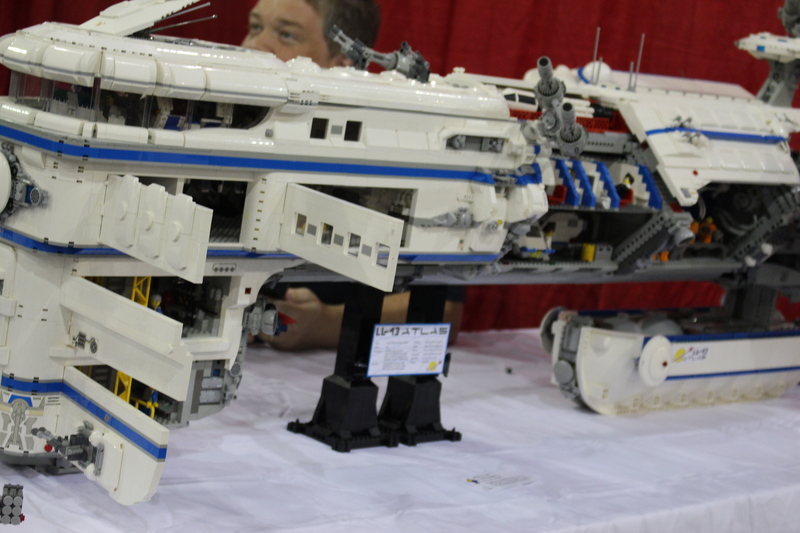 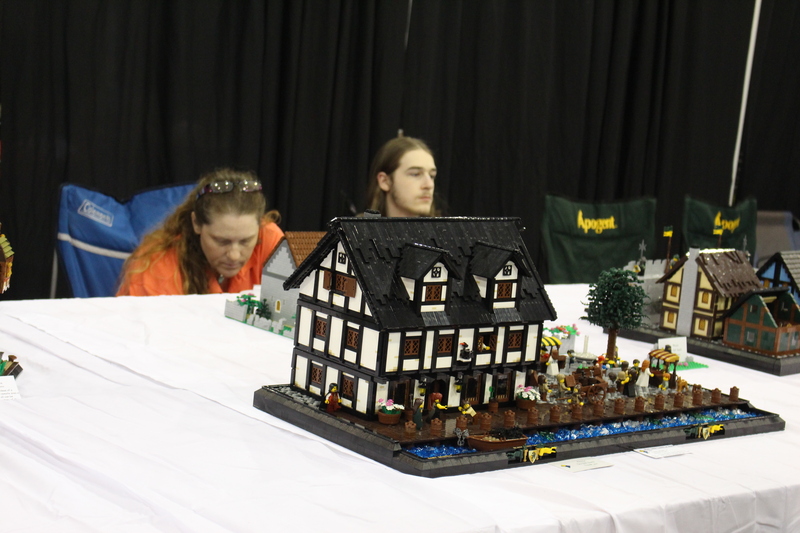 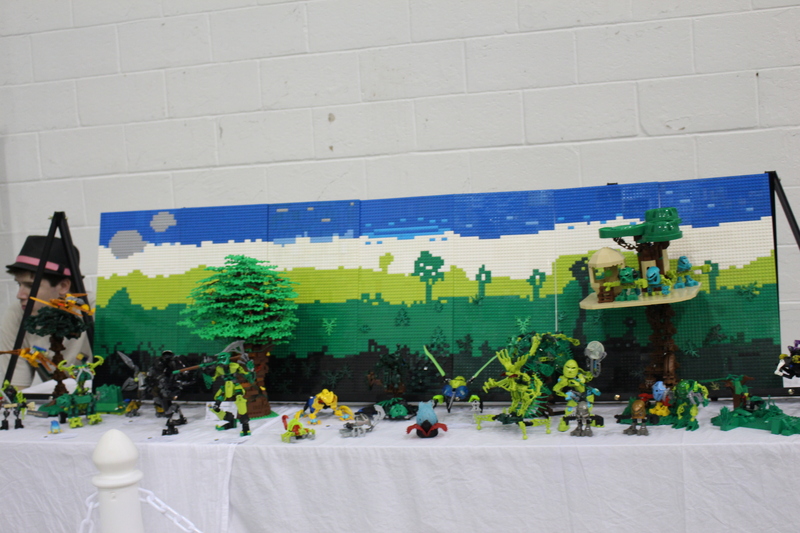 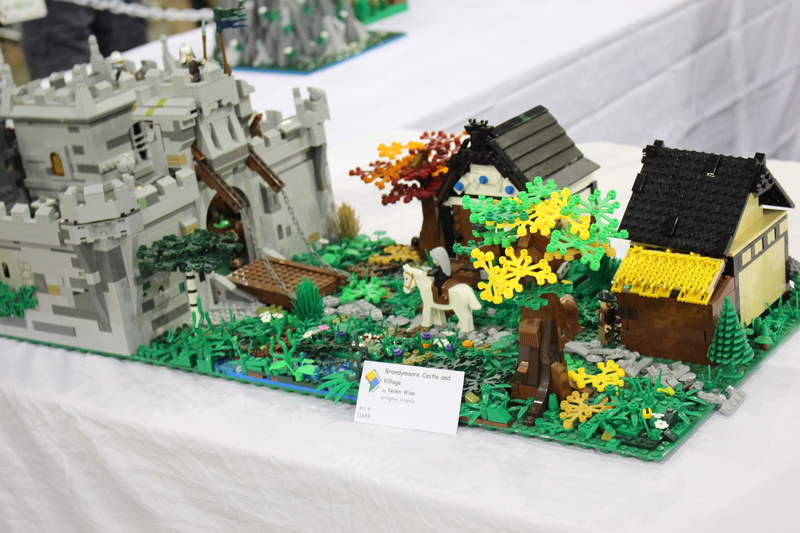 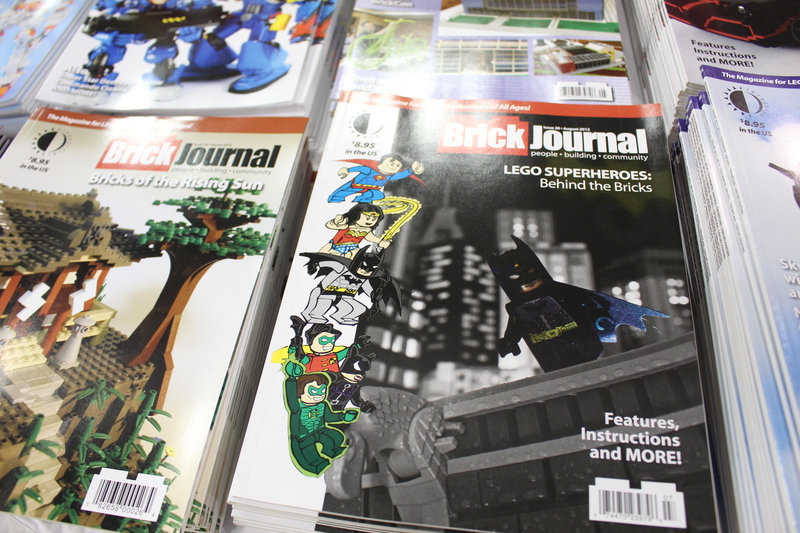 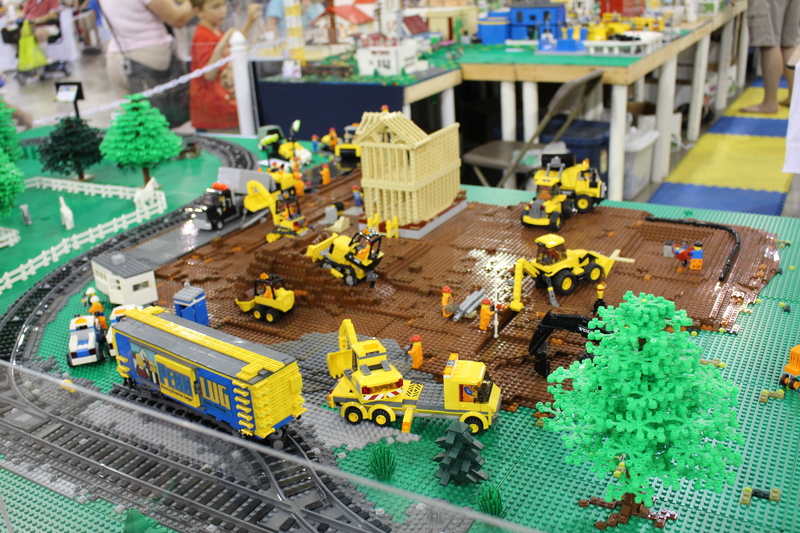 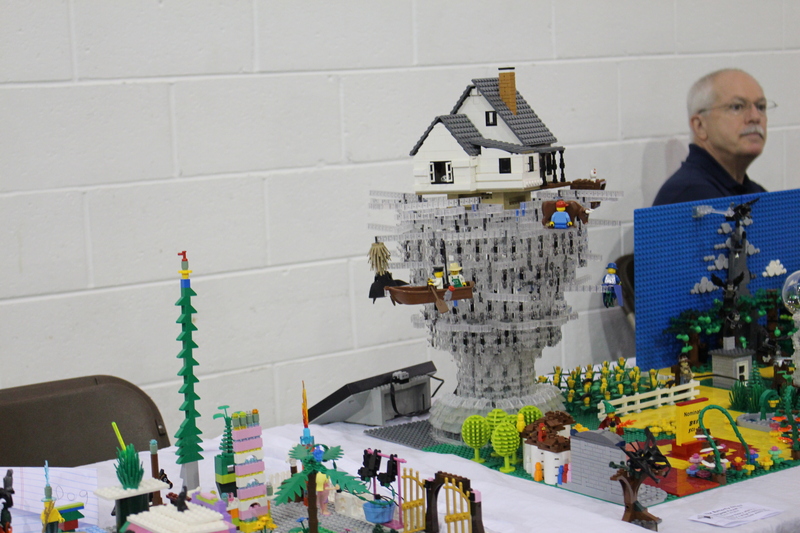 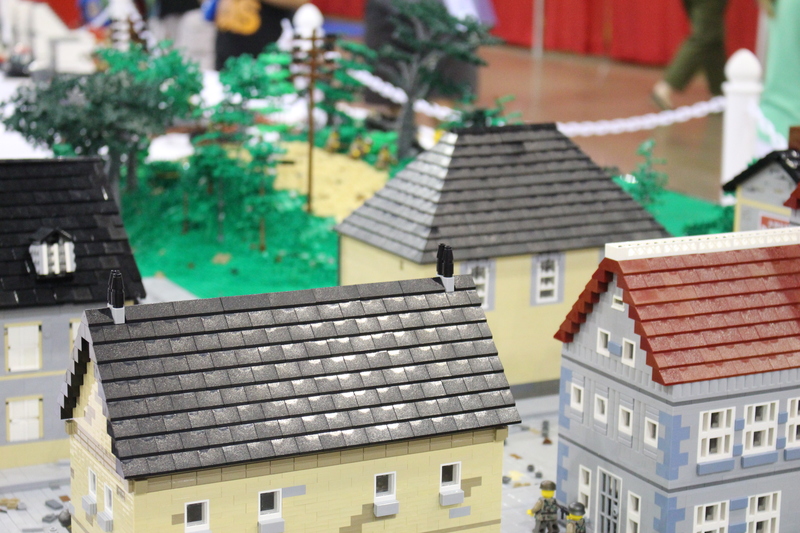 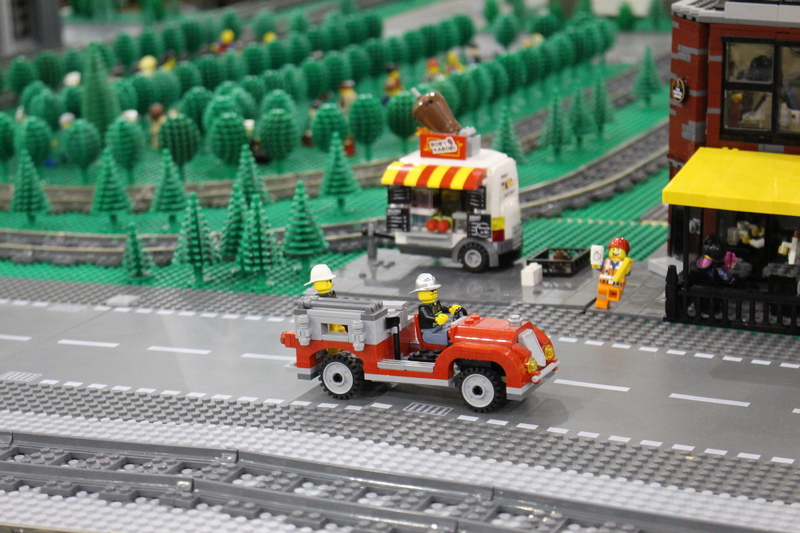 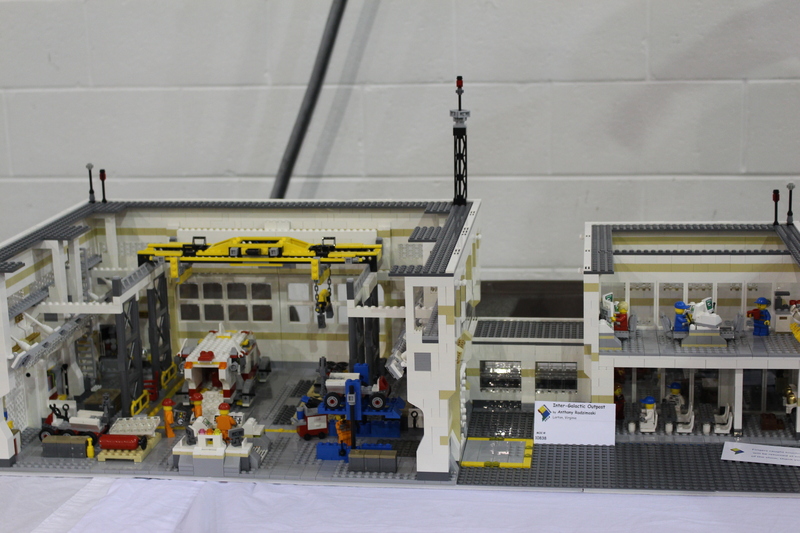 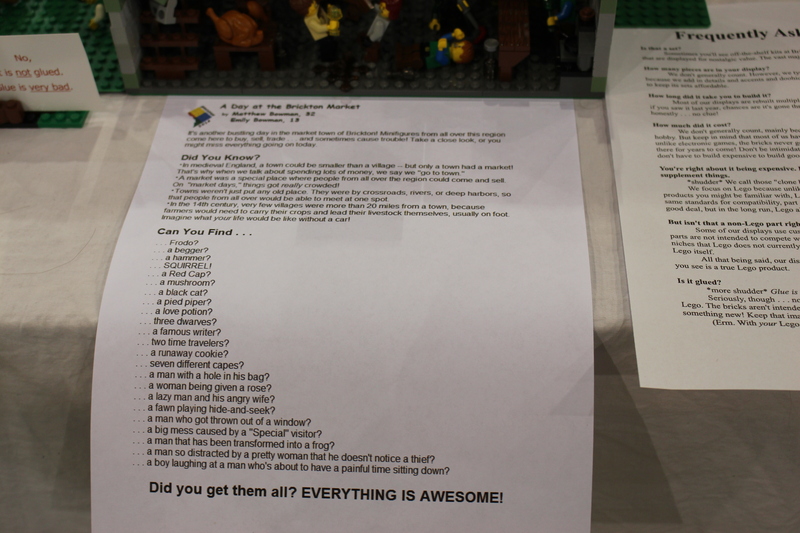 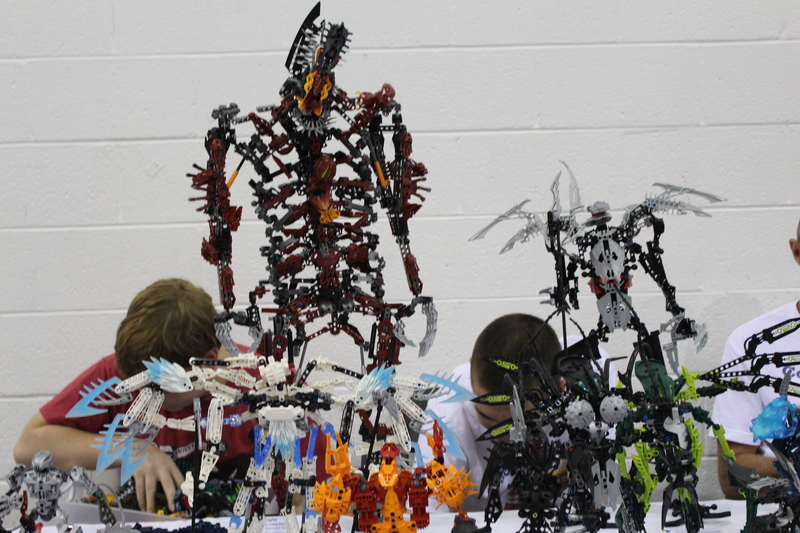 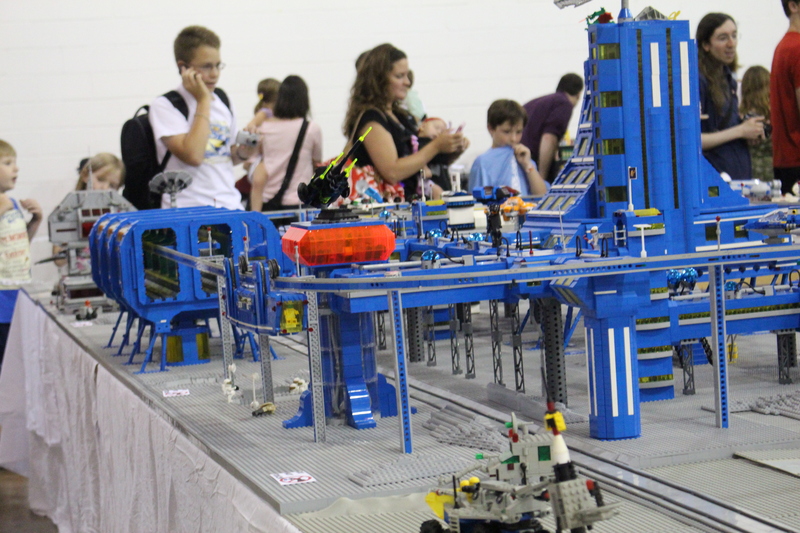 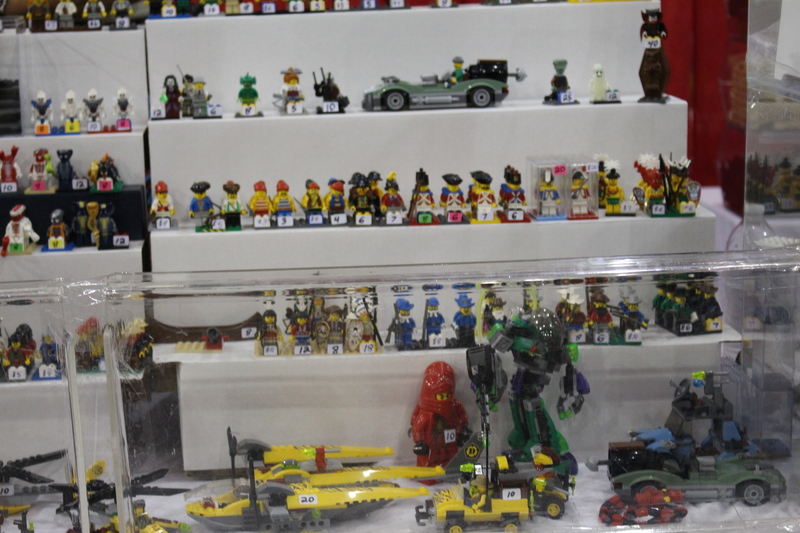 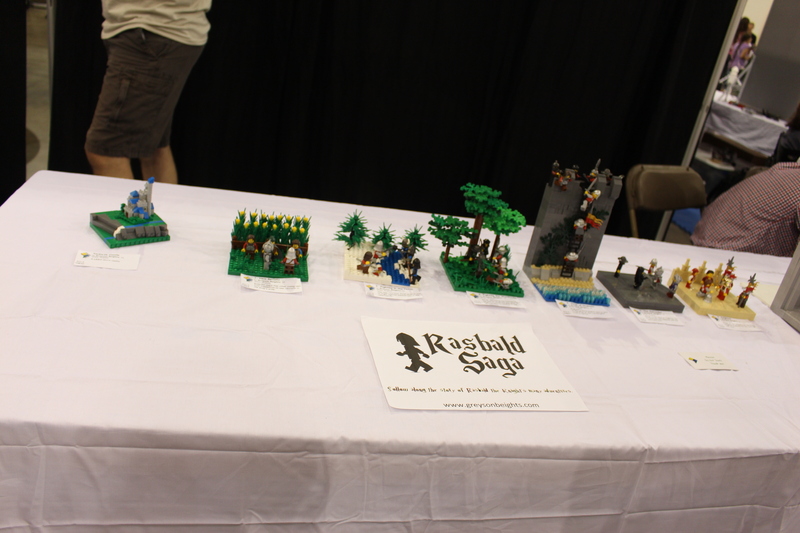 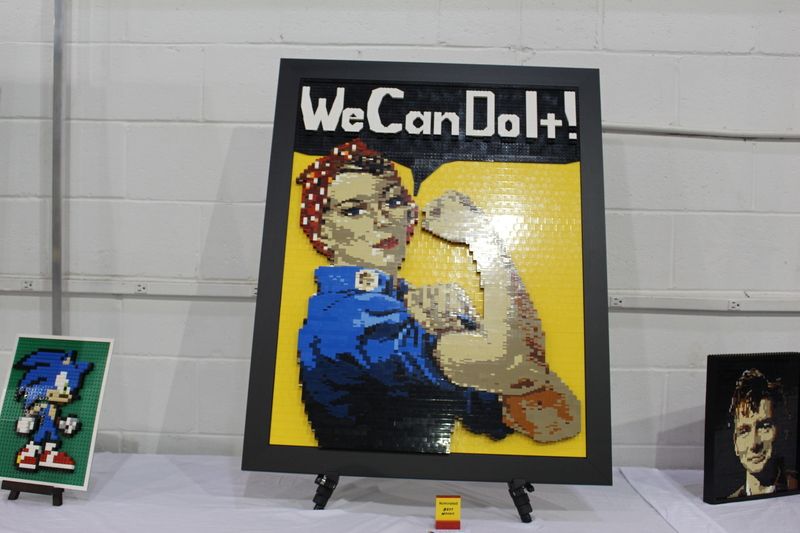 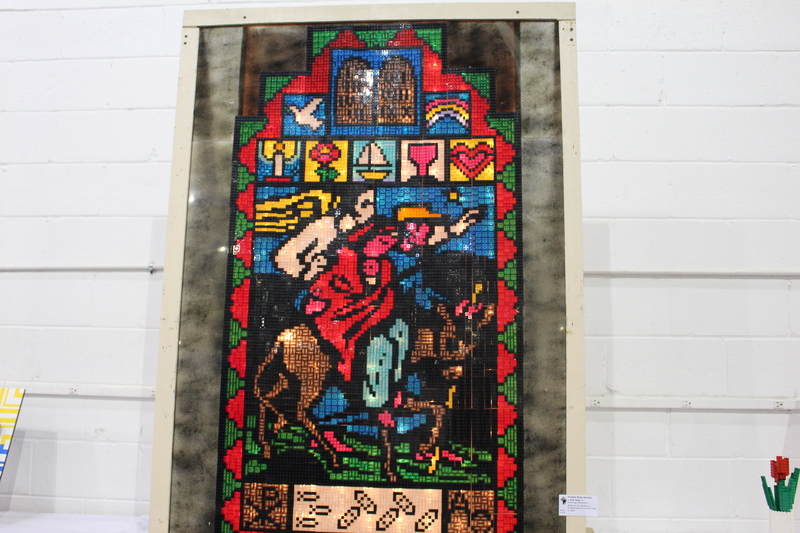 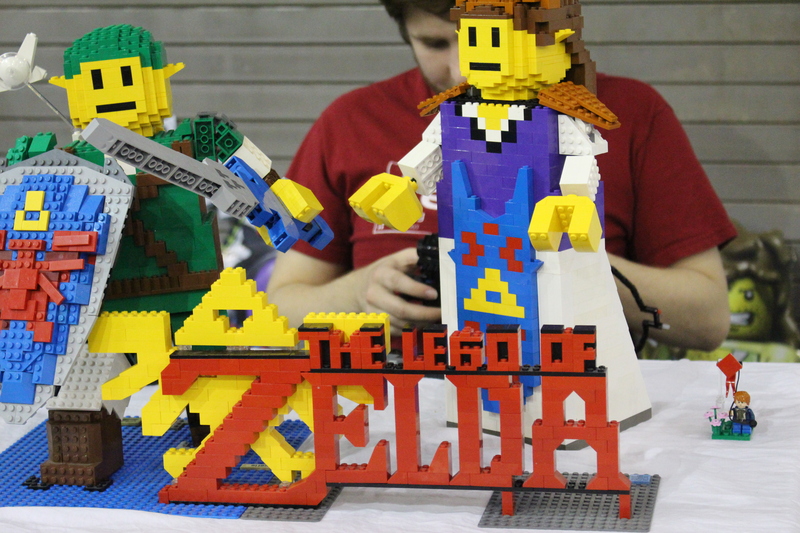 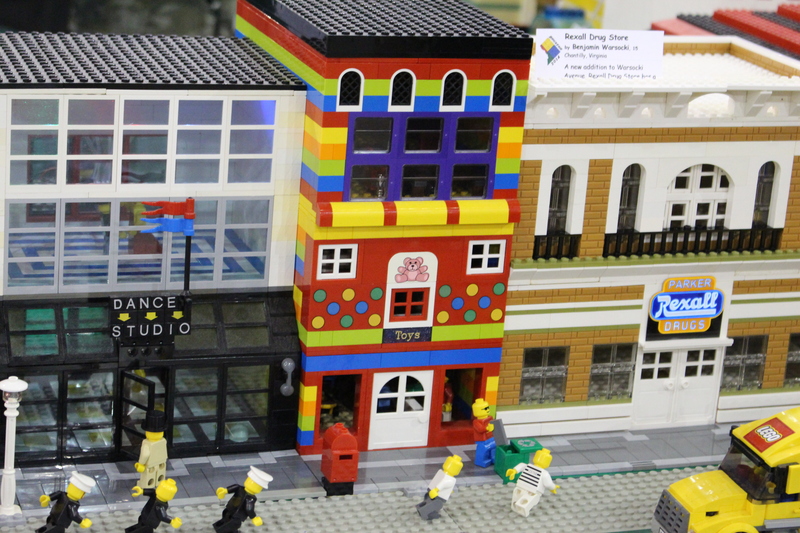 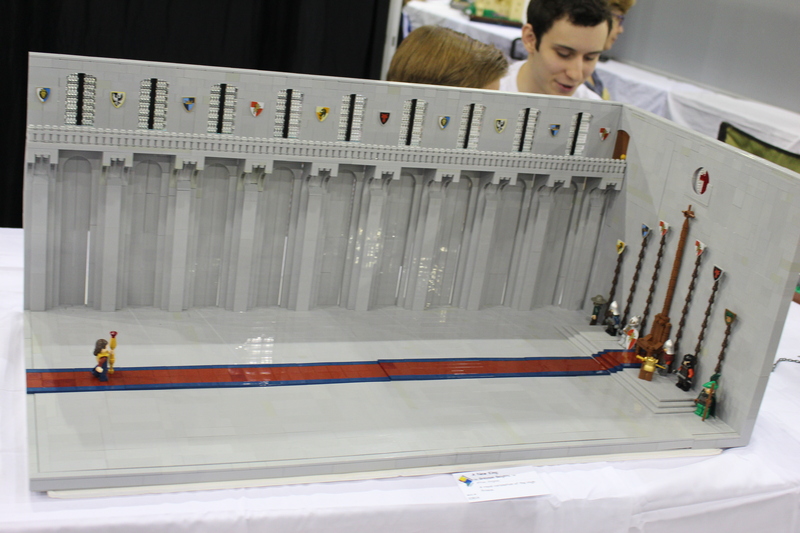 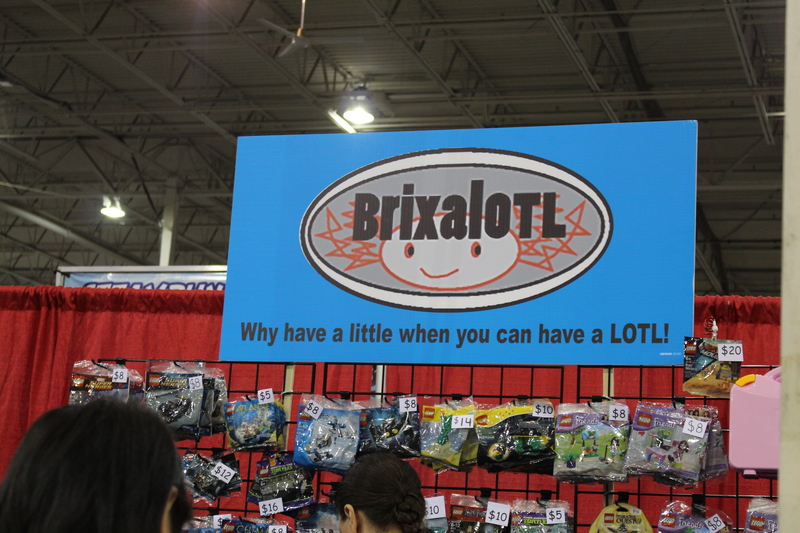 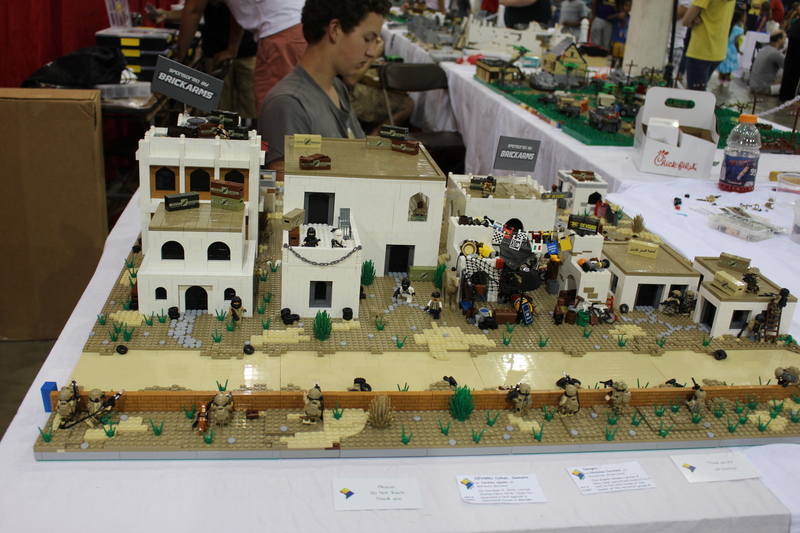 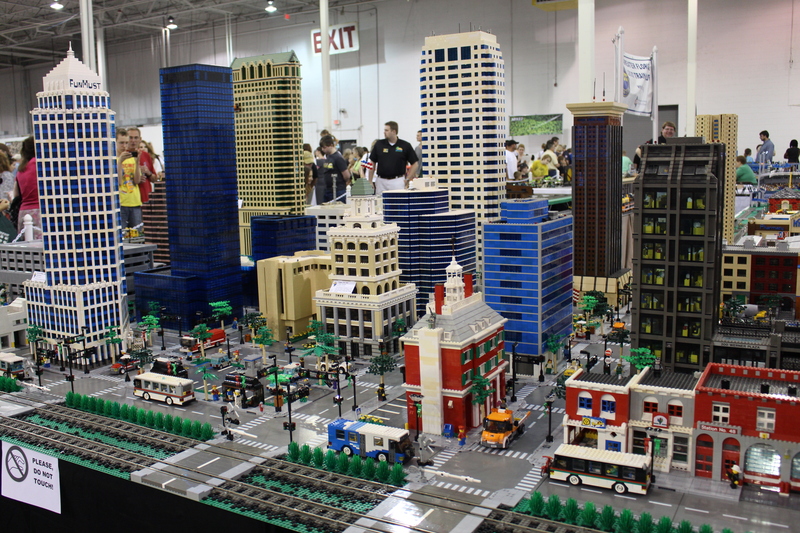 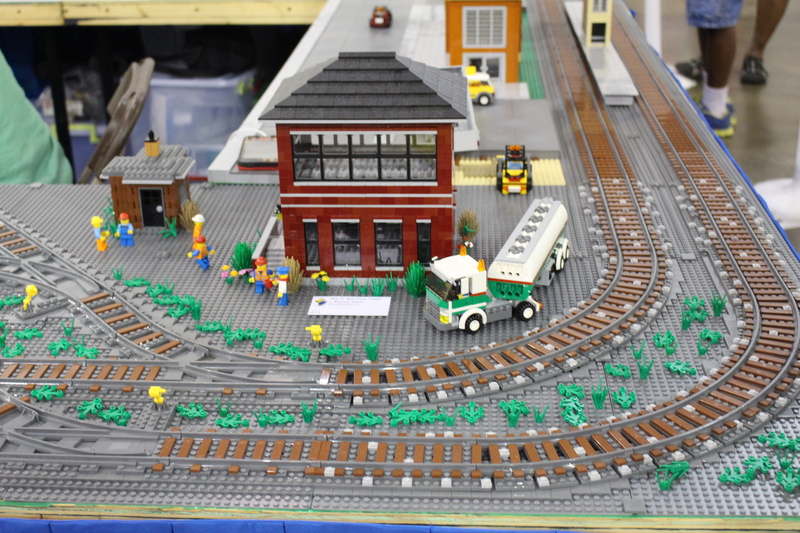 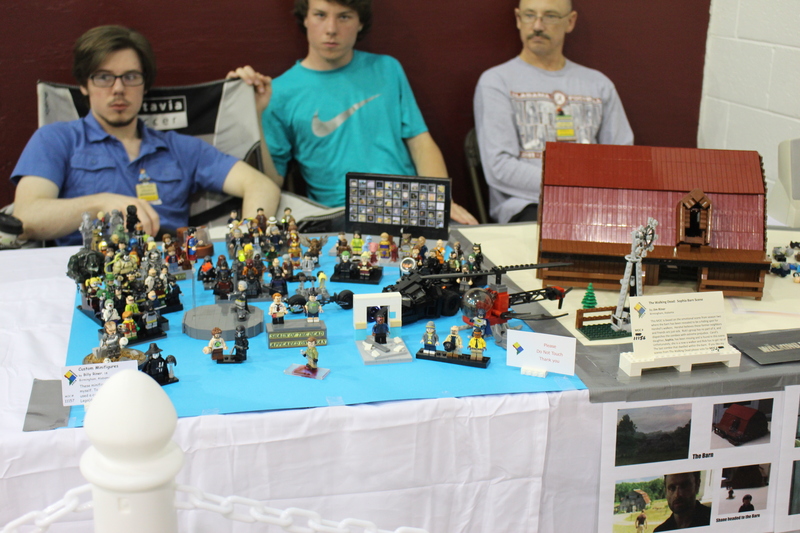 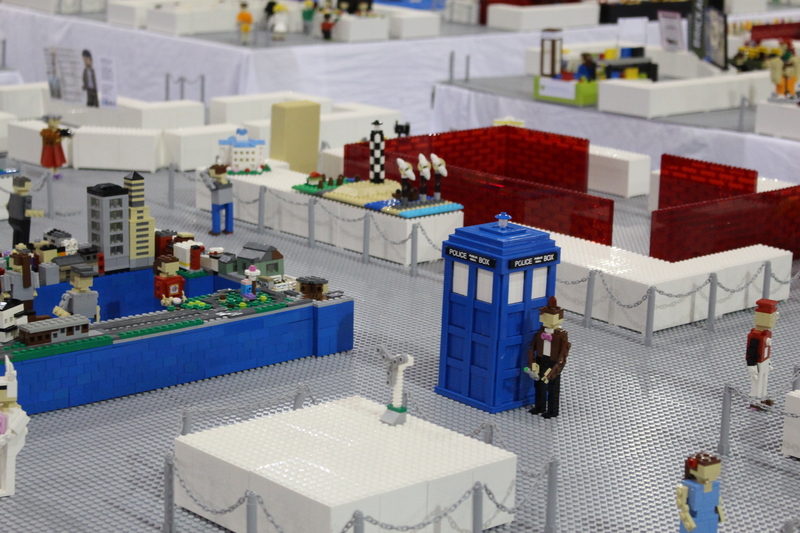 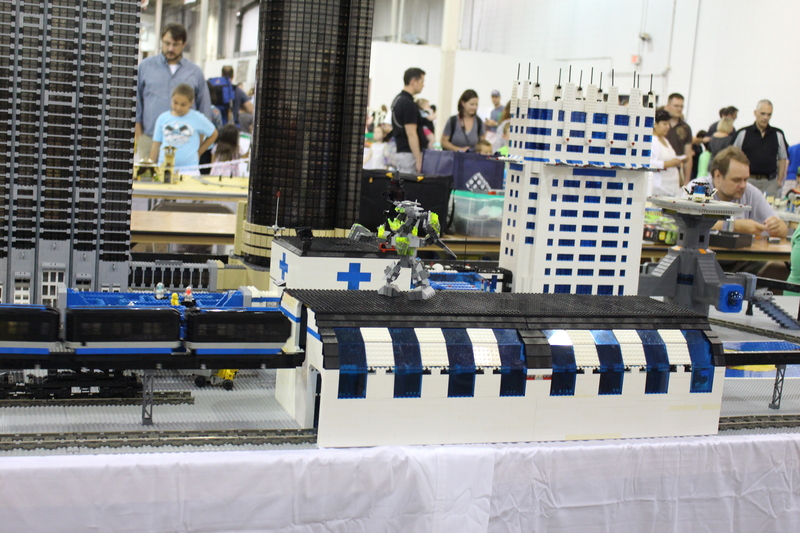 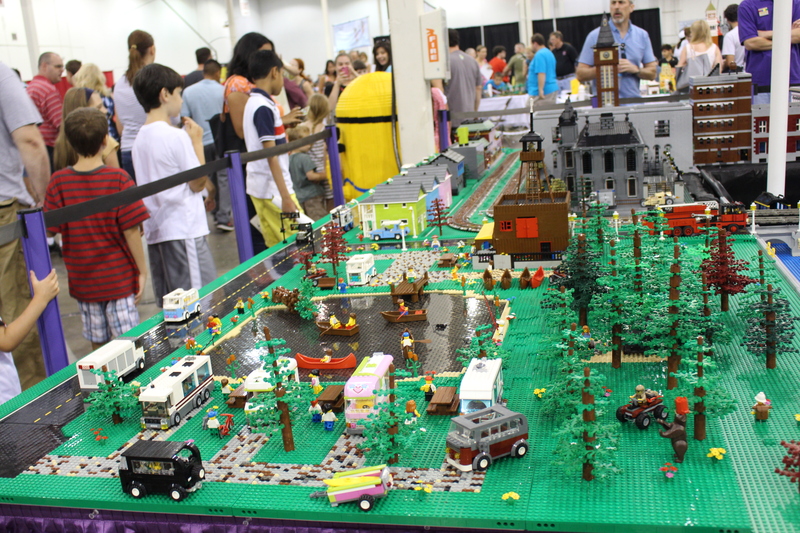 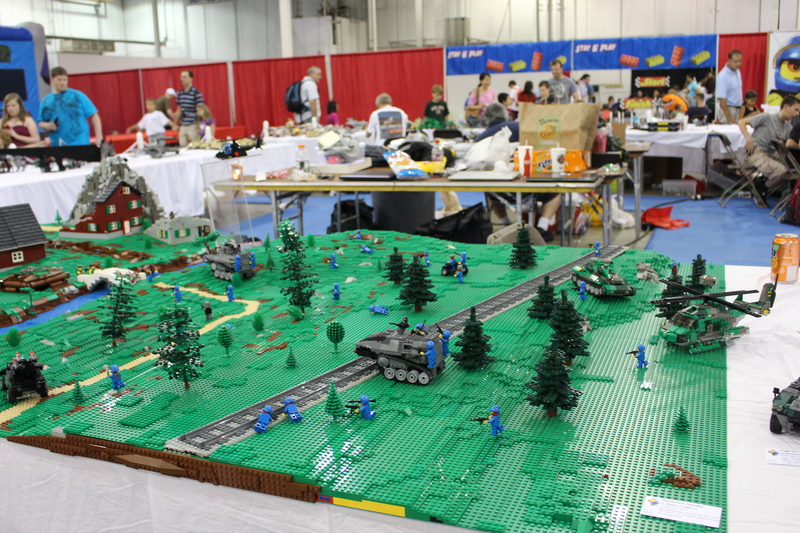 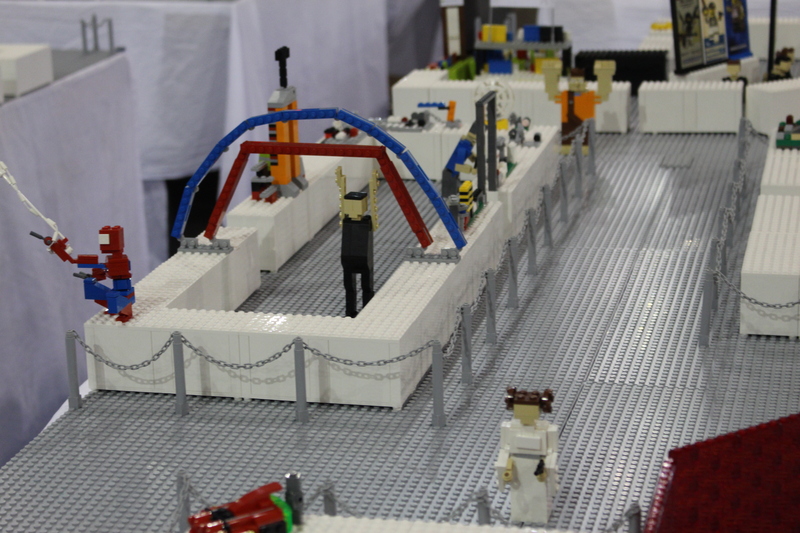 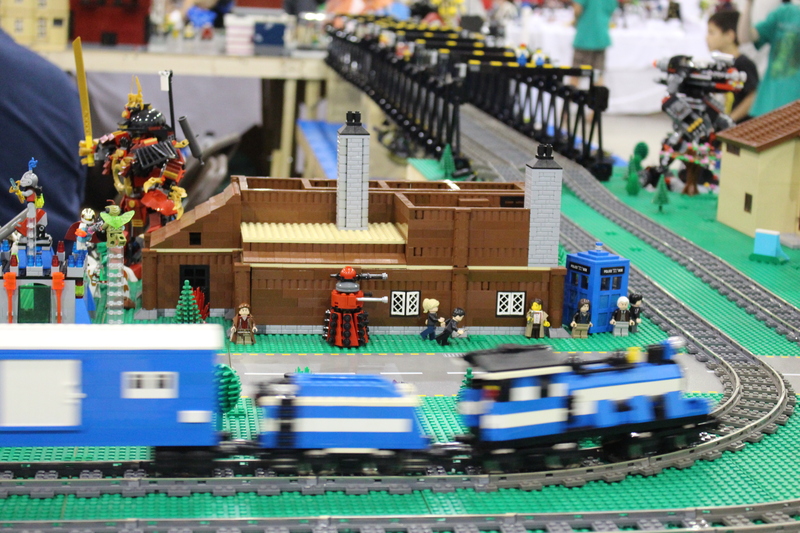 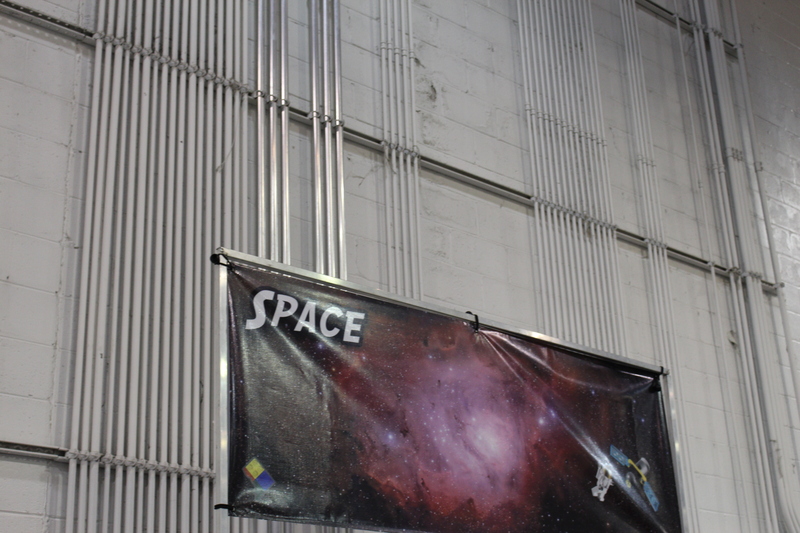 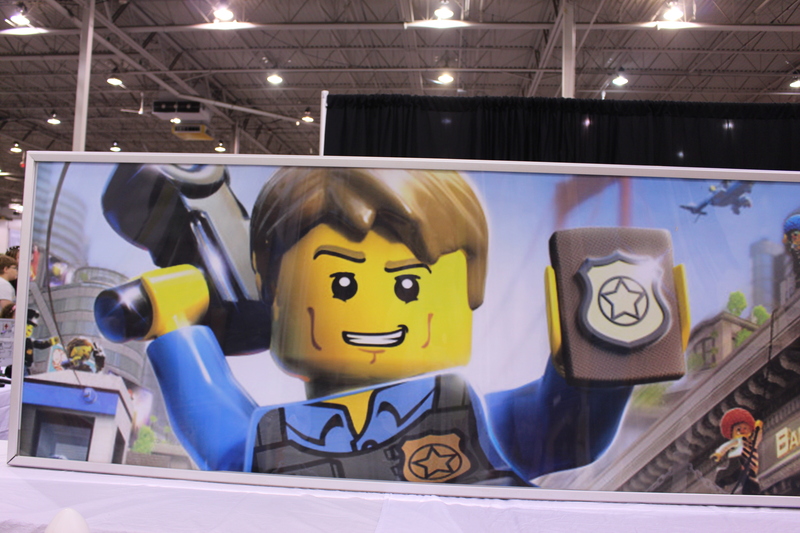 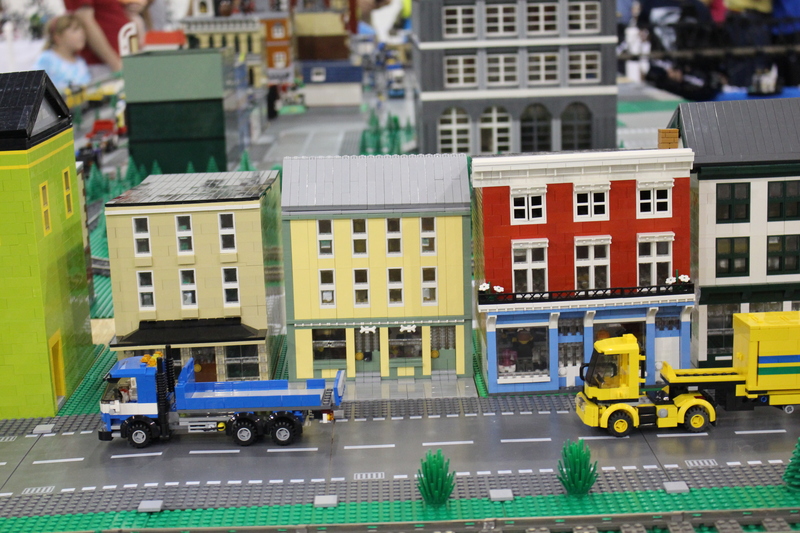 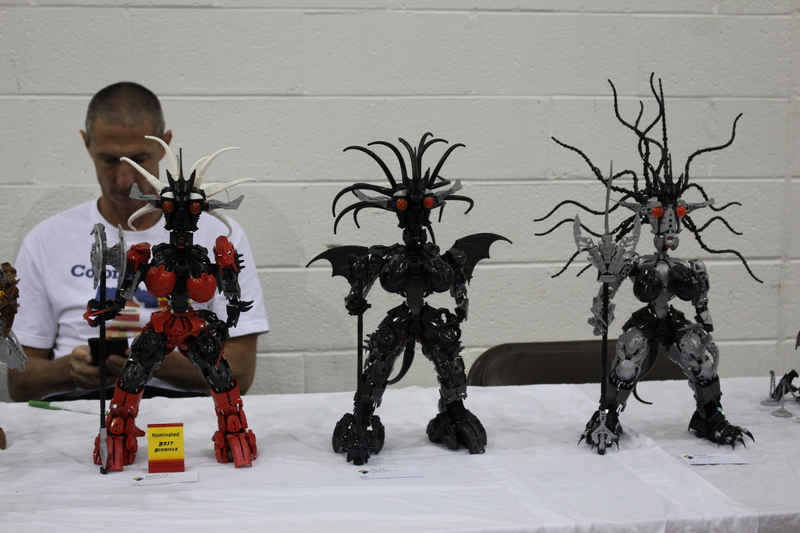 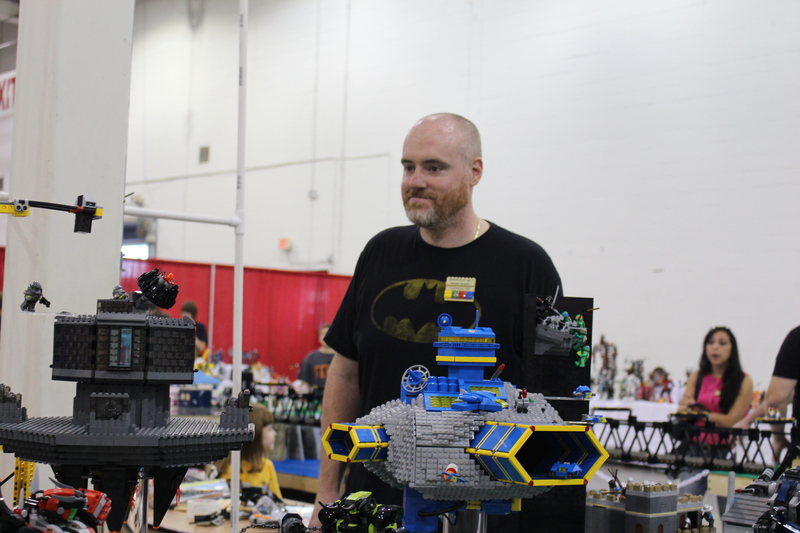 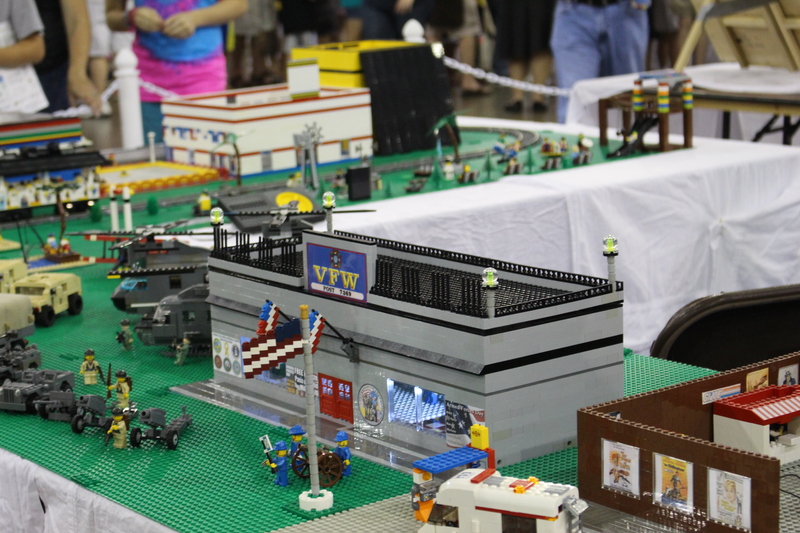 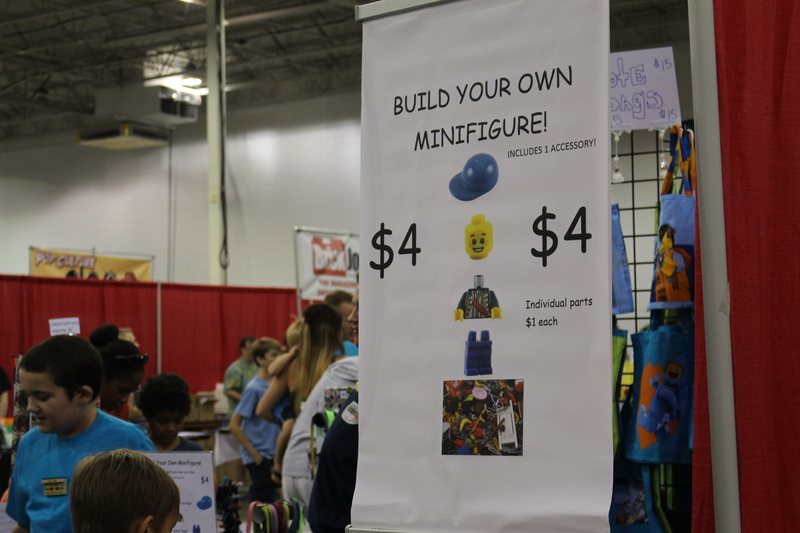 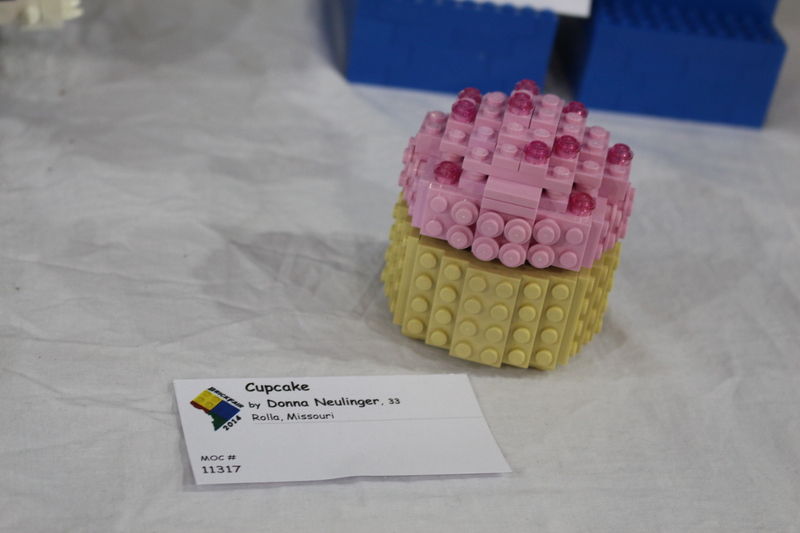 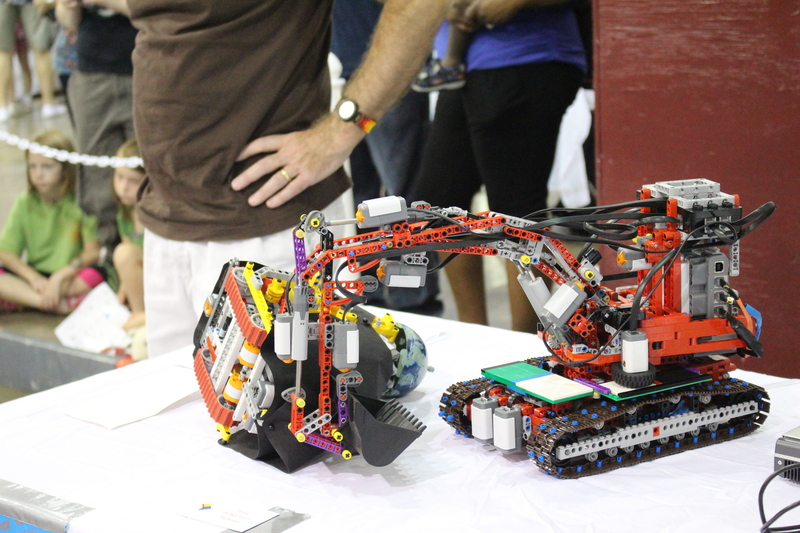 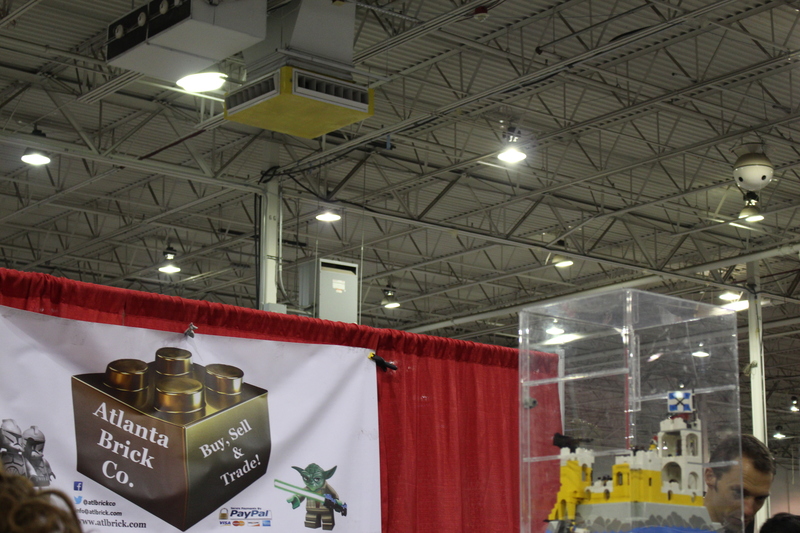 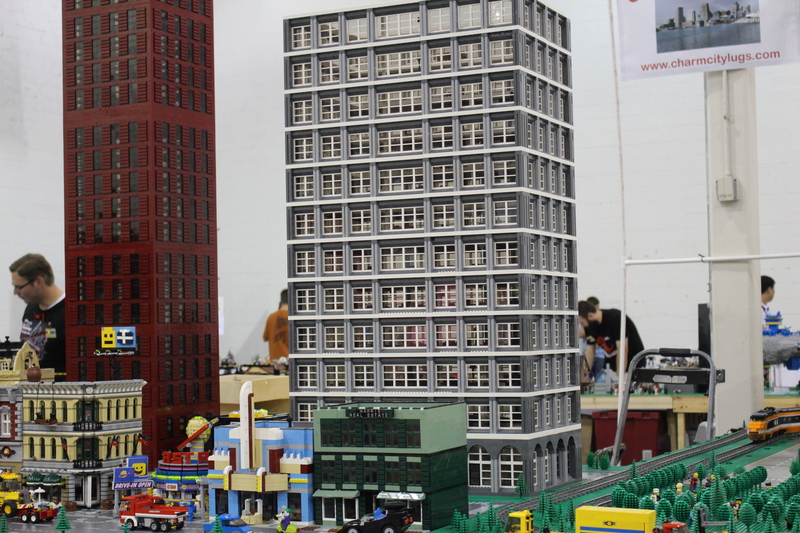 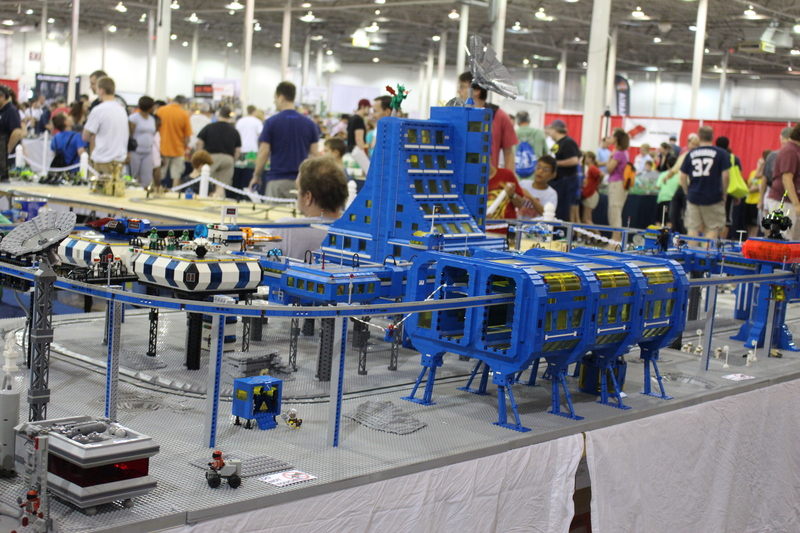 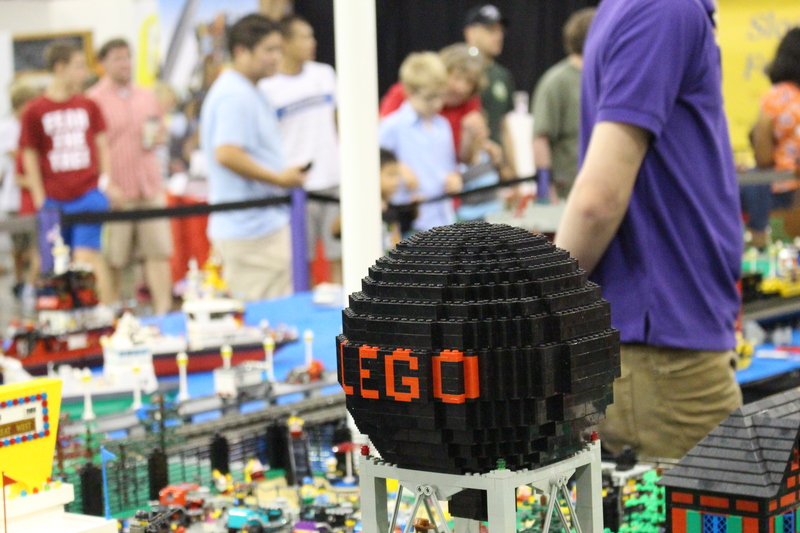 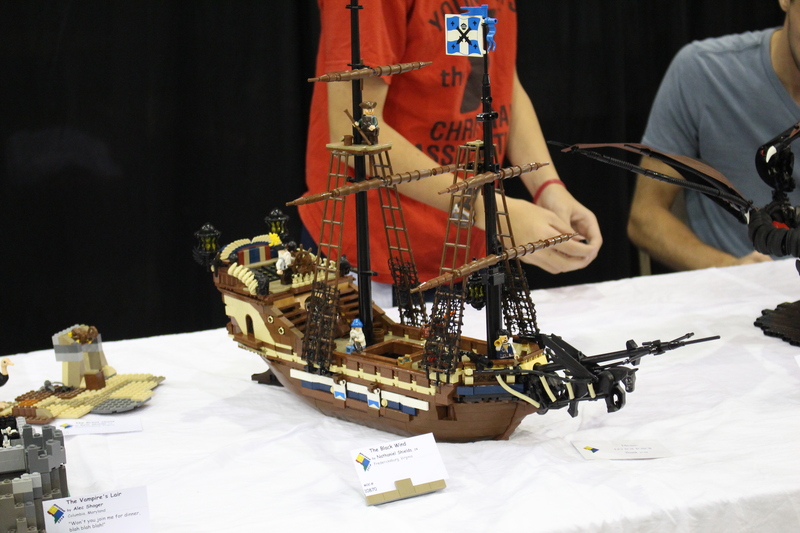 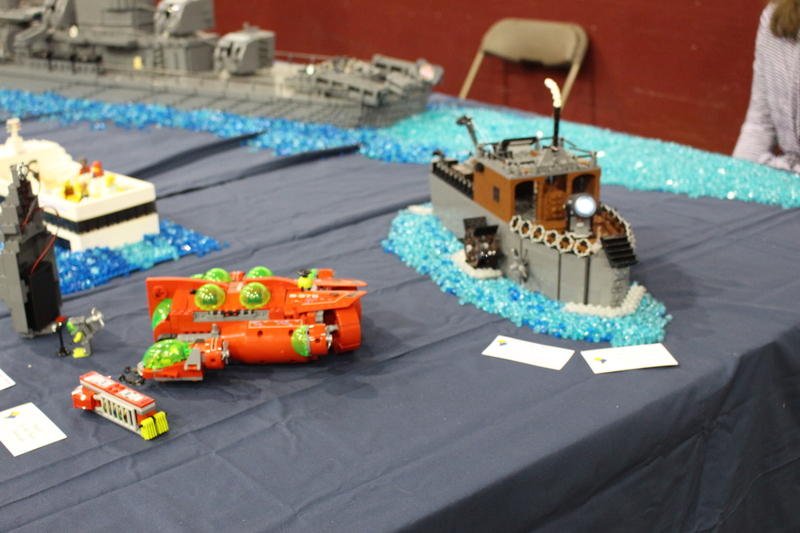 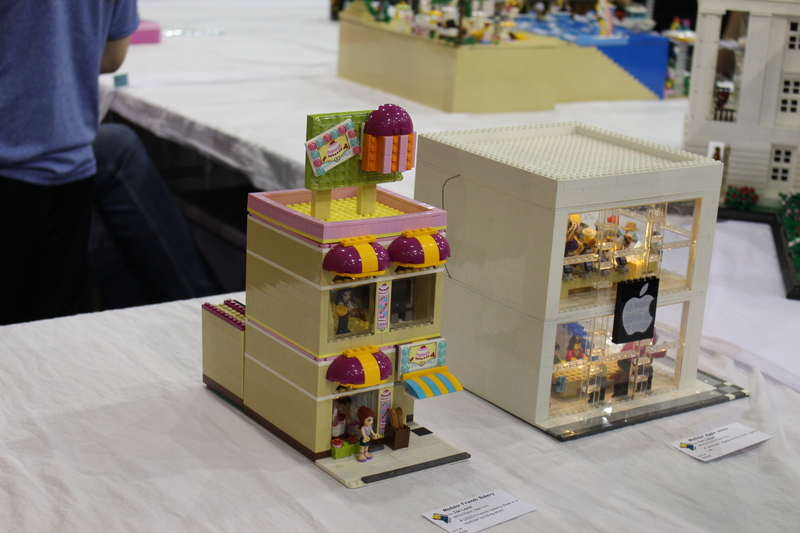 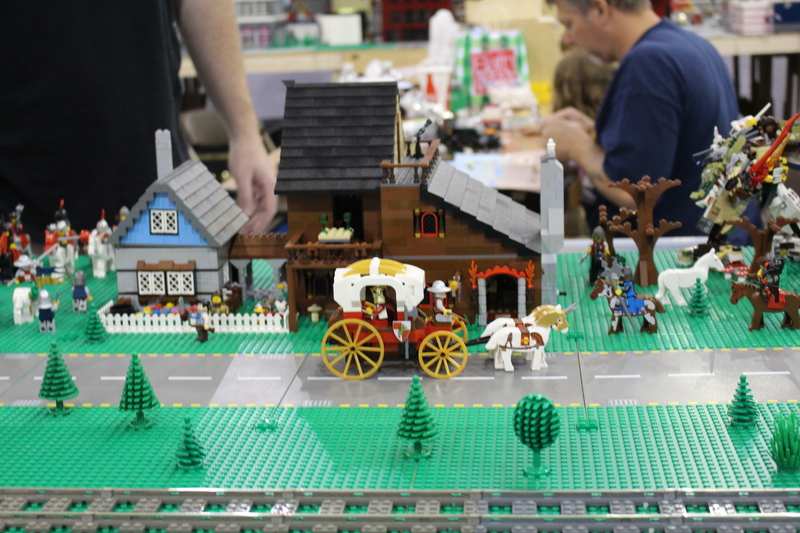 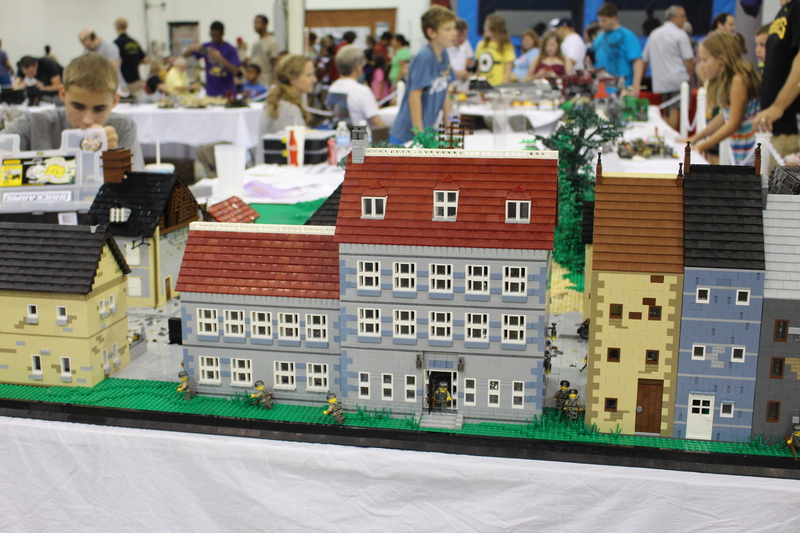 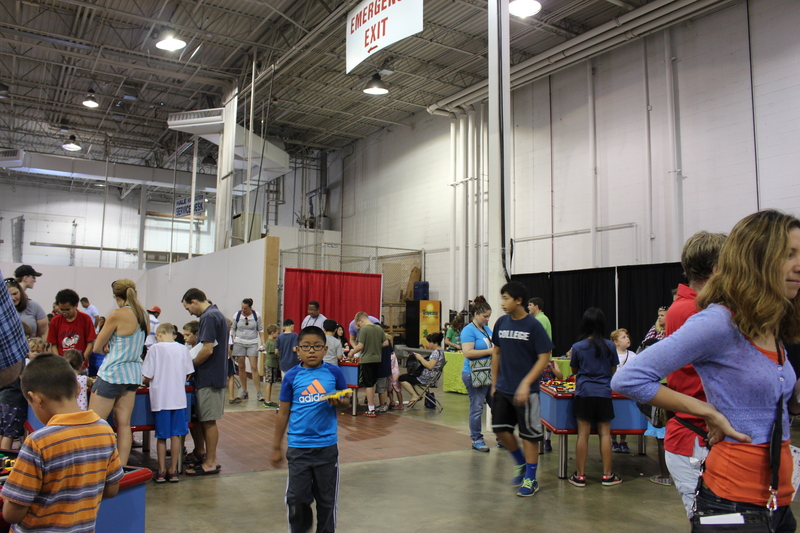 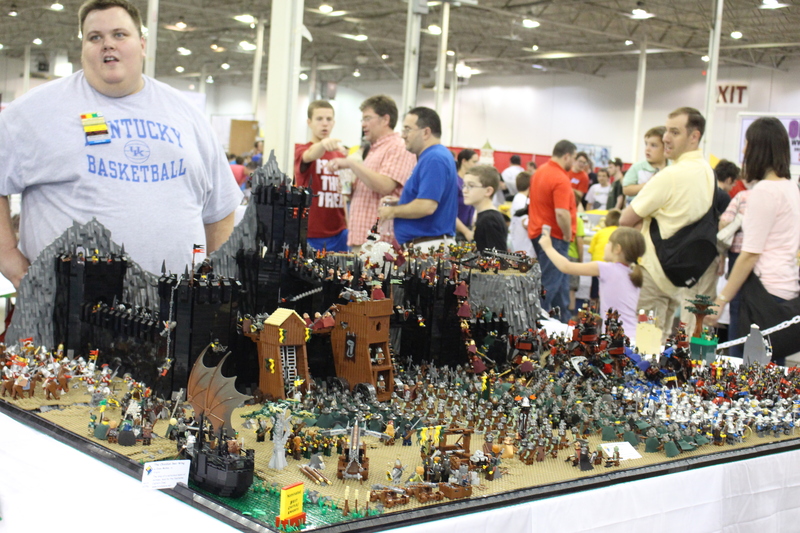 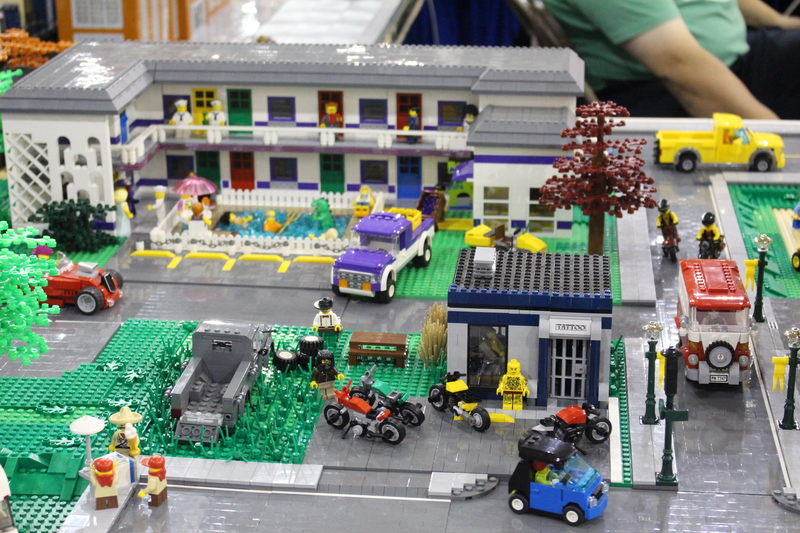 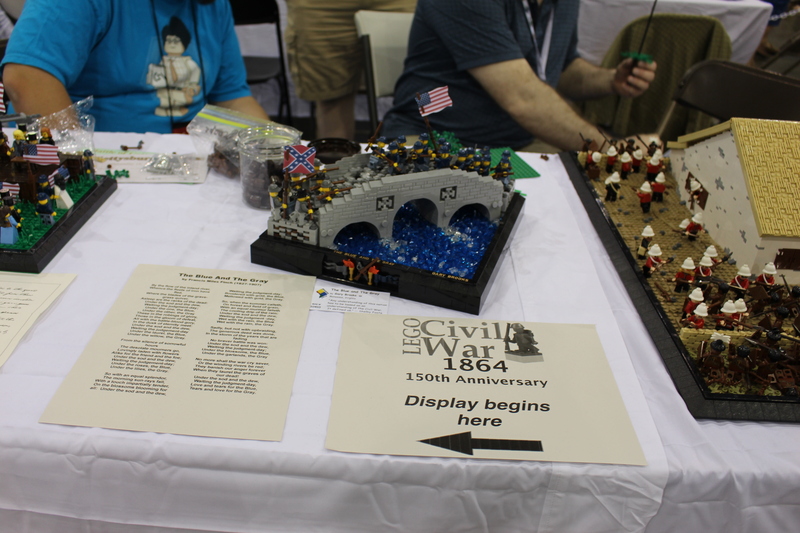 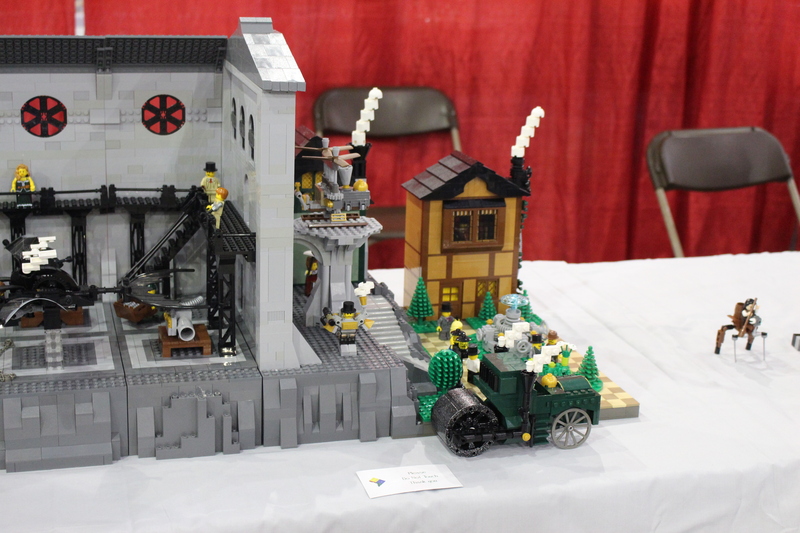 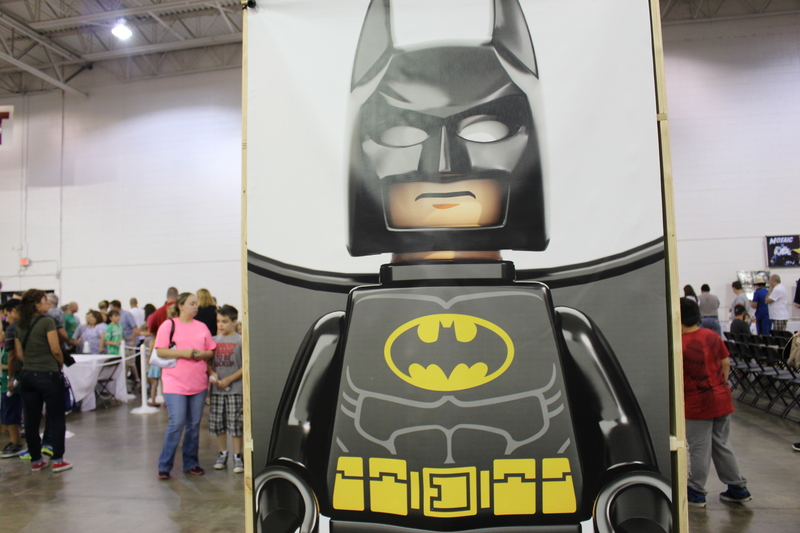 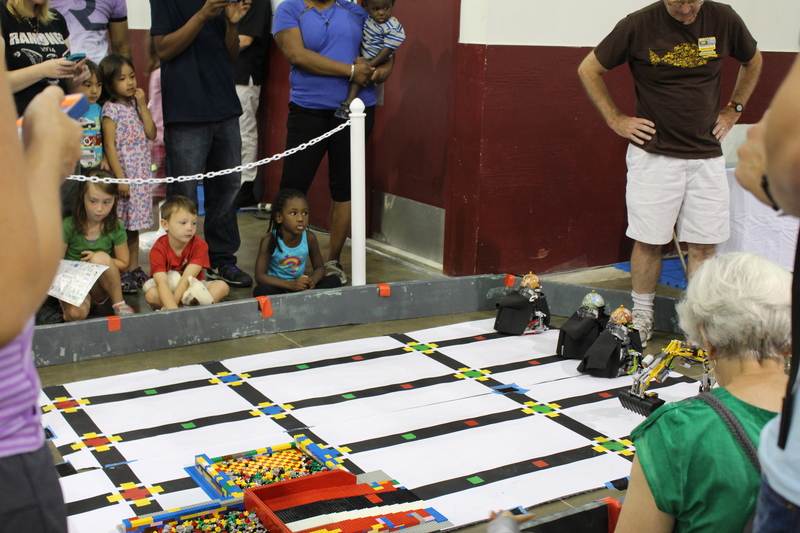 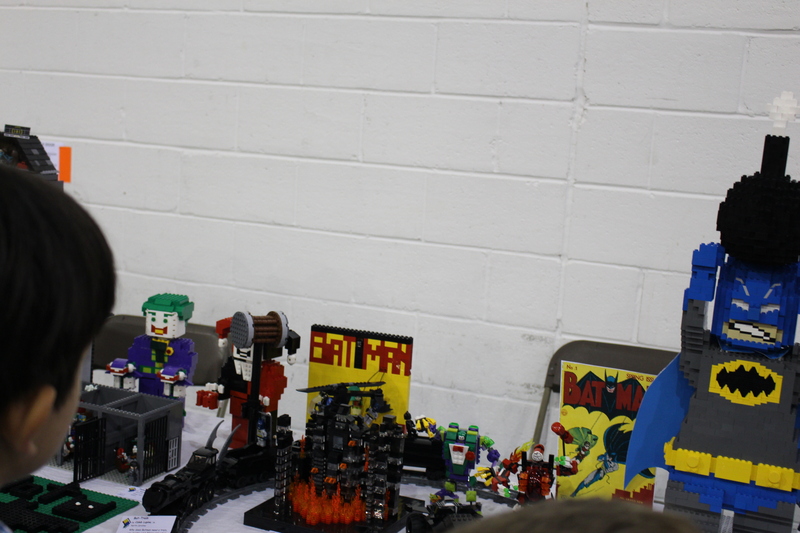 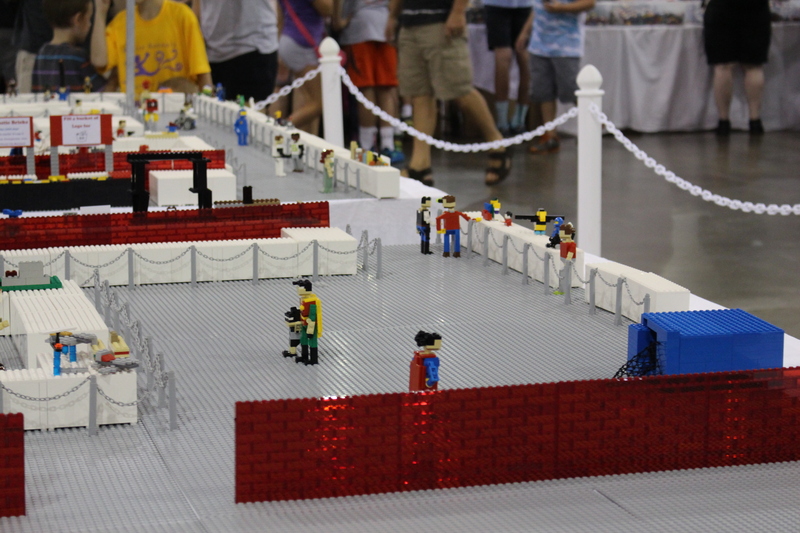 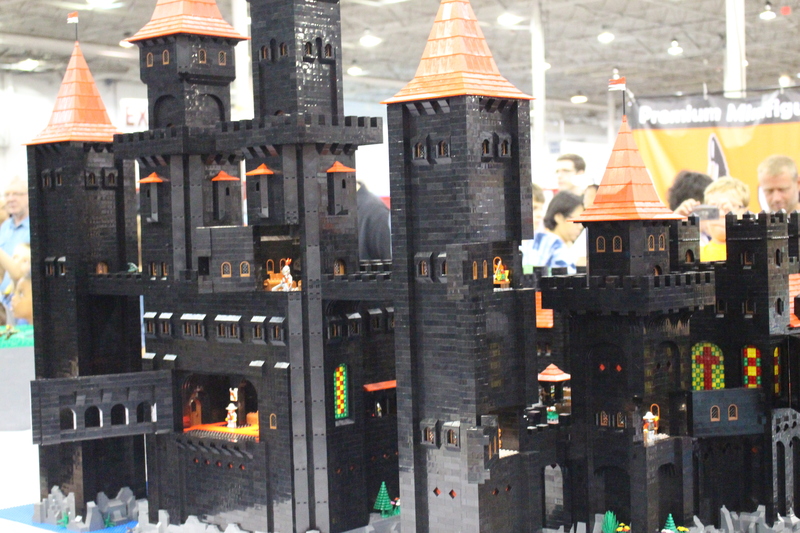 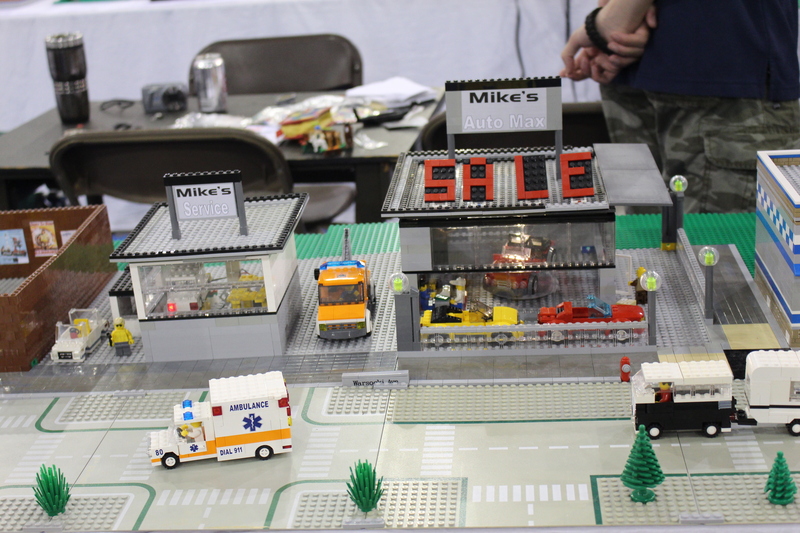 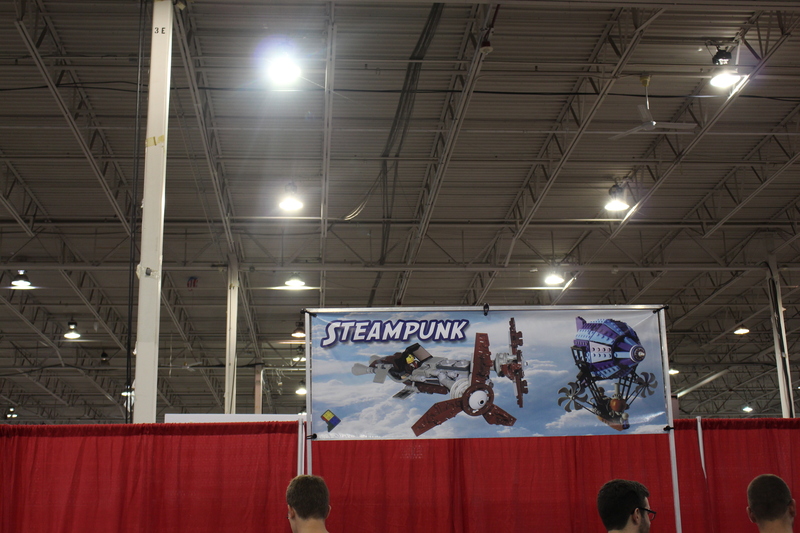 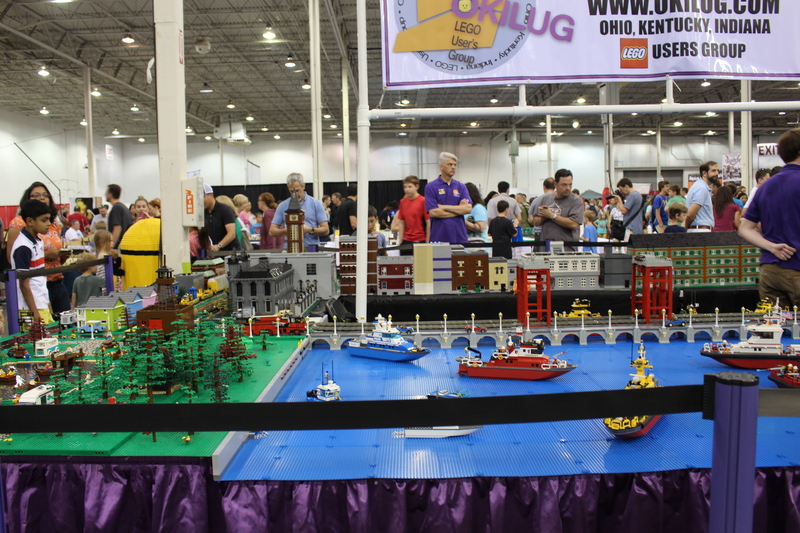 To say that attending BrickFair is a treat undermines the experience, especially if it is more to you than just something fun to do one weekend each summer. 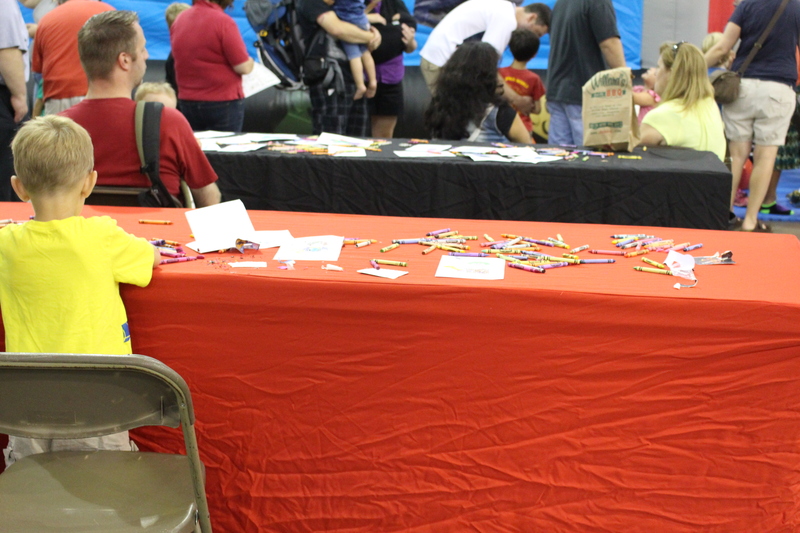 What made our second attendance even more special was the opportunity for my daughter and I to be there for both public days, which wasn’t originally in the plans. 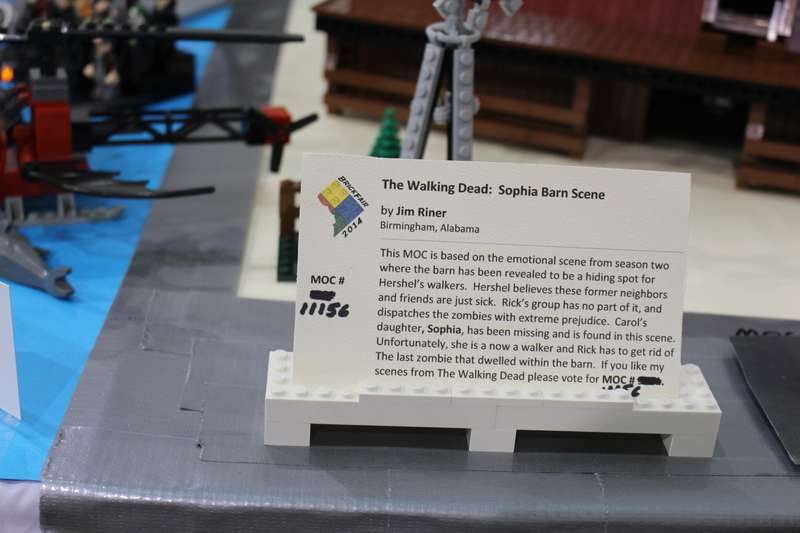 Reading about another person’s experience is never nearly adequate. 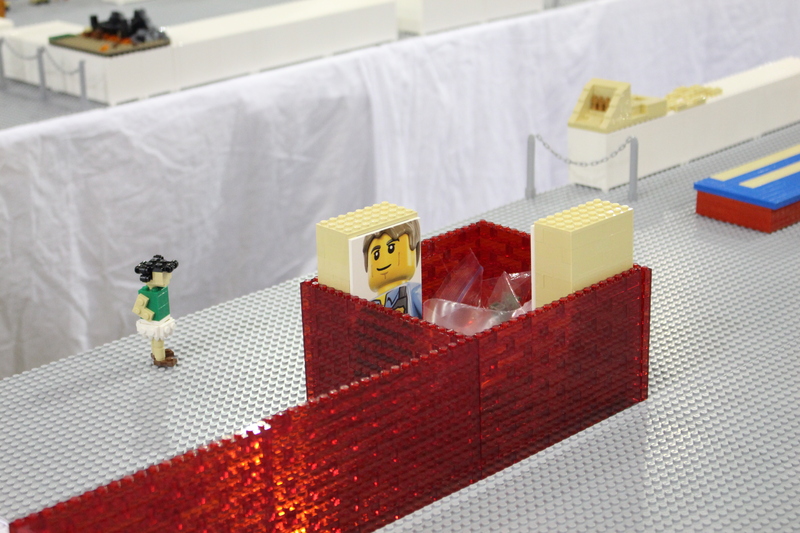 To properly describe all that the senses take in is a challenge itself as details accumulate faster than they can be accurately recorded in the short-term memory. 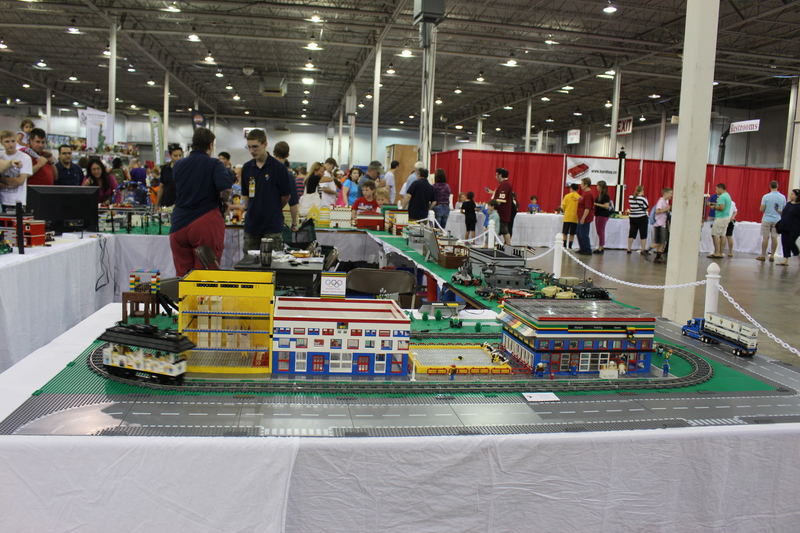 Factor in personal aspects: opinions, beliefs, et cetera, and already my take on BrickFair can never be a facsimile of yours. 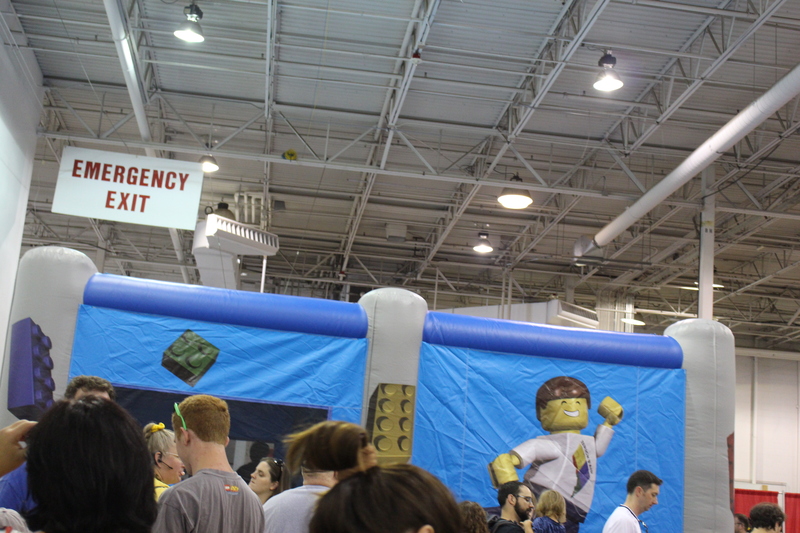 As with all large enclosed spaces filled with people, the volume level shifted throughout the weekend. 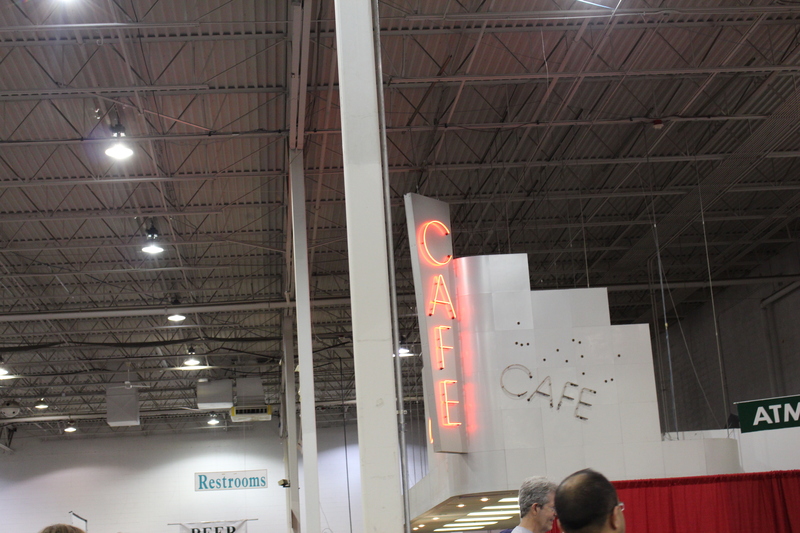 I had planned to capture this, as well as all other elements on video, but I was so enamored with playing photographer-for-hip-magazine that honestly shooting “live” content went from my thoughts. 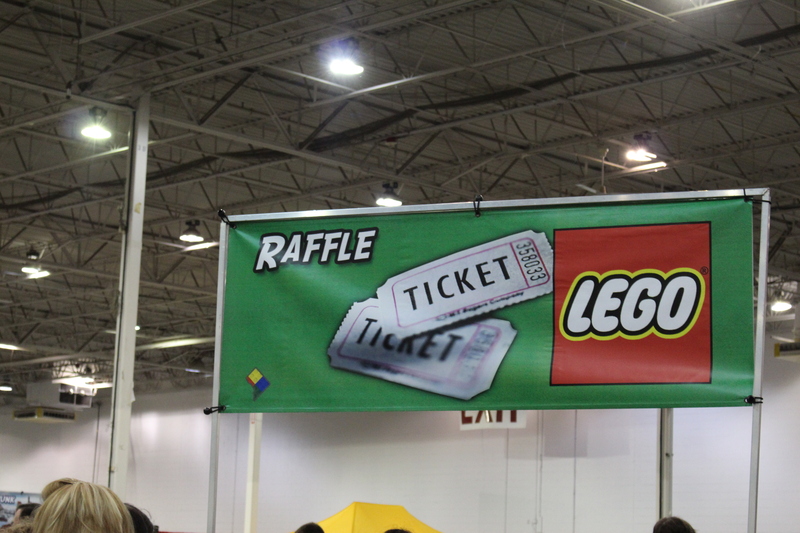 If I had remembered, you would have been privy to the Bingo caller and his son announcing the letter-number combos, coffee and snack orders passed along to co-workers via shout, exclamations over the coolness of displays, and children’s joyful screams as they bounded around in the moon bounce and raced LEGO cars of their creation in the Stay & Play area. 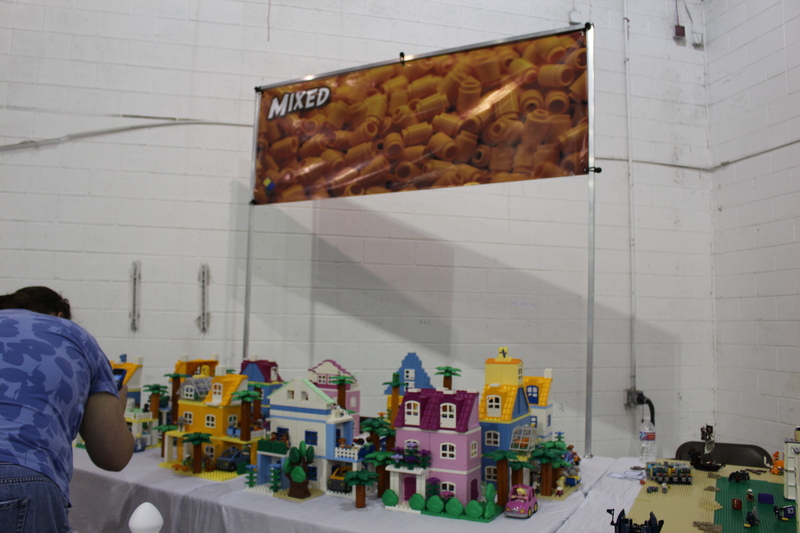 You still wouldn’t have been able to smell or taste the delicious sugared nuts or soft and salty pretzels. 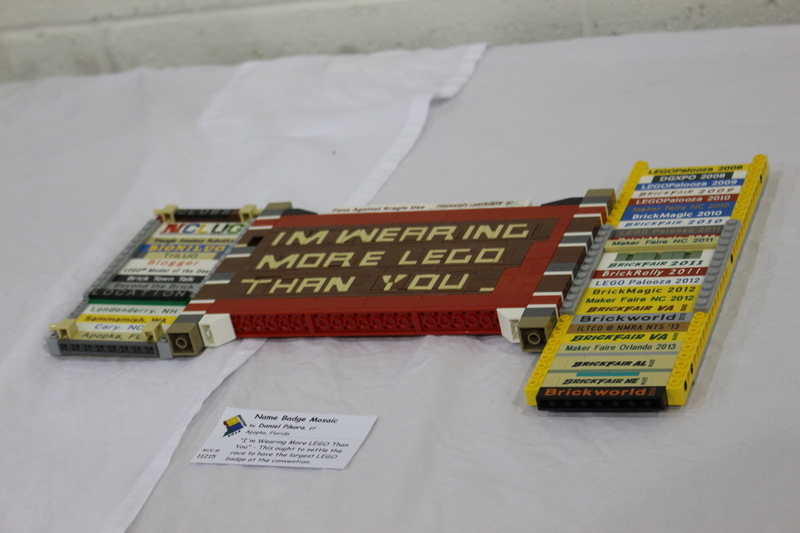 And you definitely wouldn’t be able to touch anything. 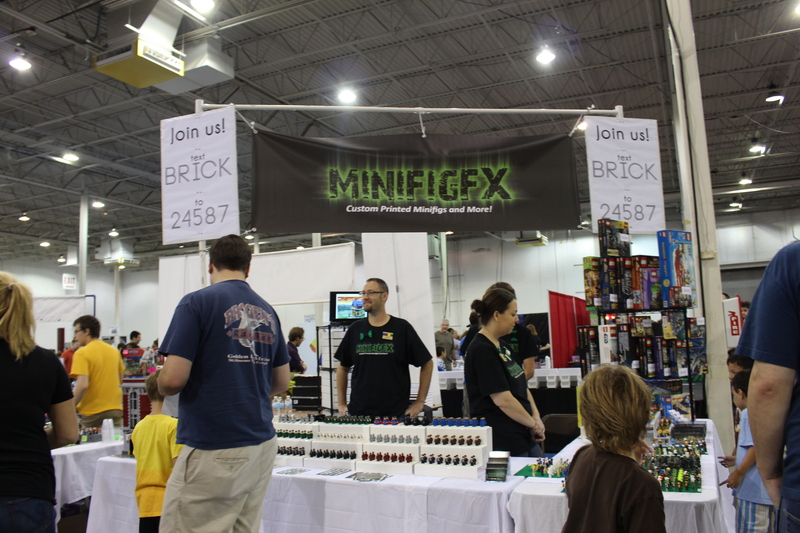 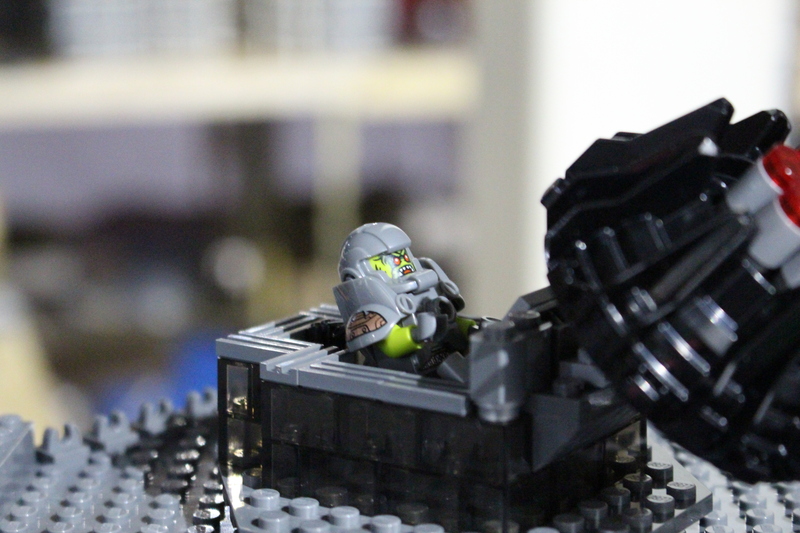 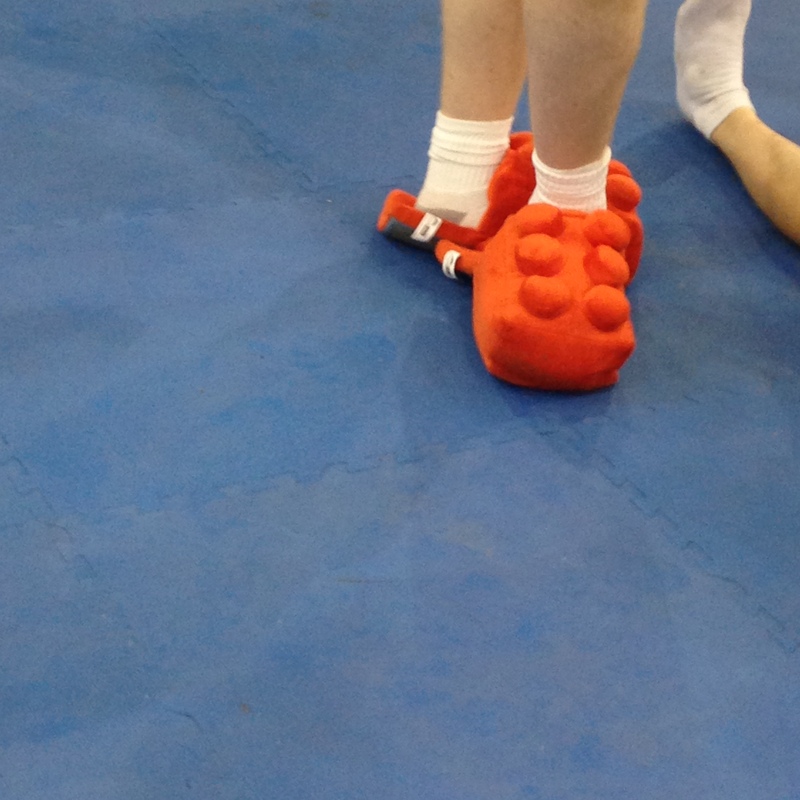 But “hands-off” is a general rule at BrickFair anyhow. 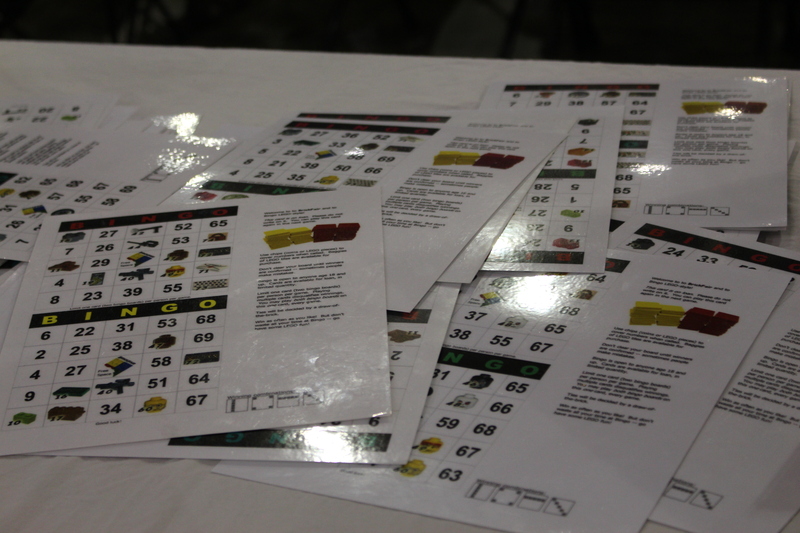 The only direct tactile experiences happen with Bingo, merchandise, and Stay & Play. 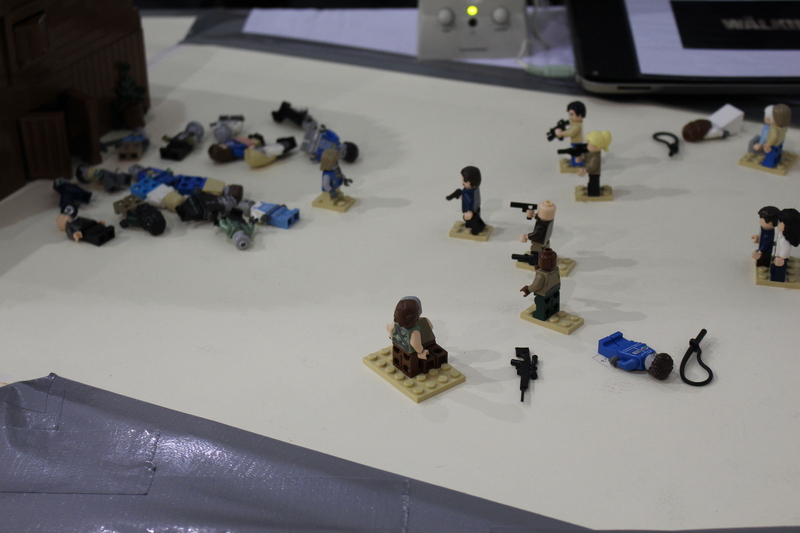 Nevertheless, I believe that images — like body language — are universal. 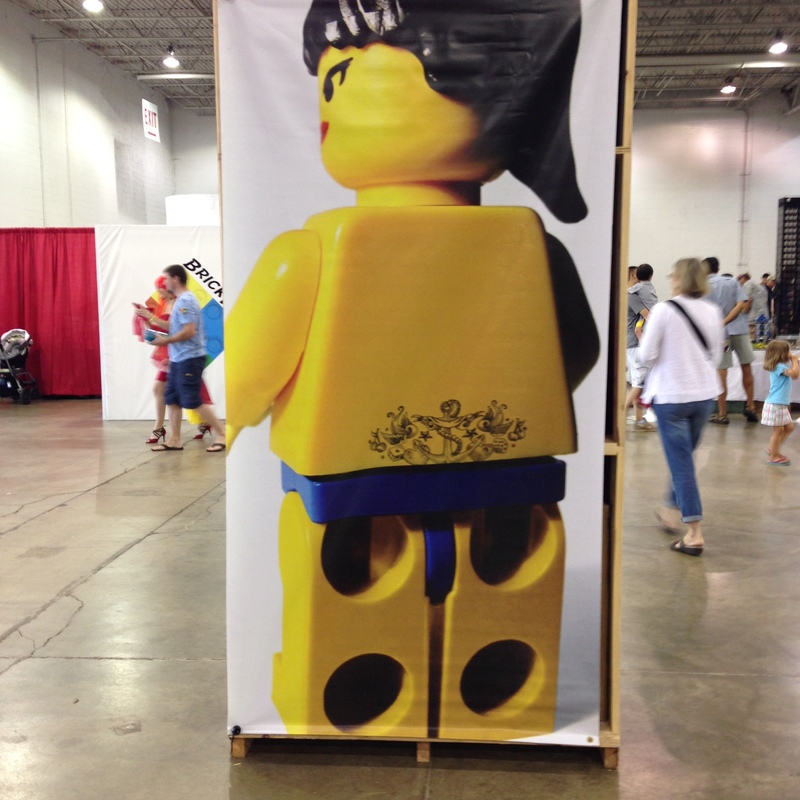 Images often tell a story better than actual words. 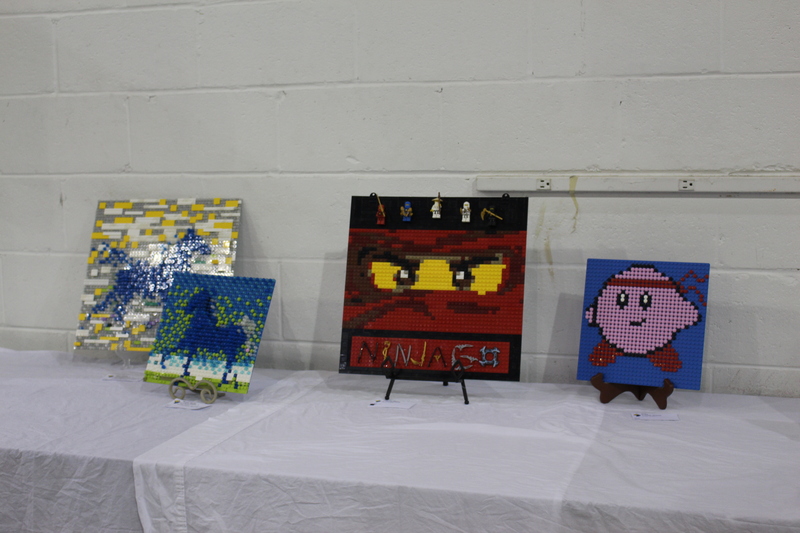 Art is a prime example. 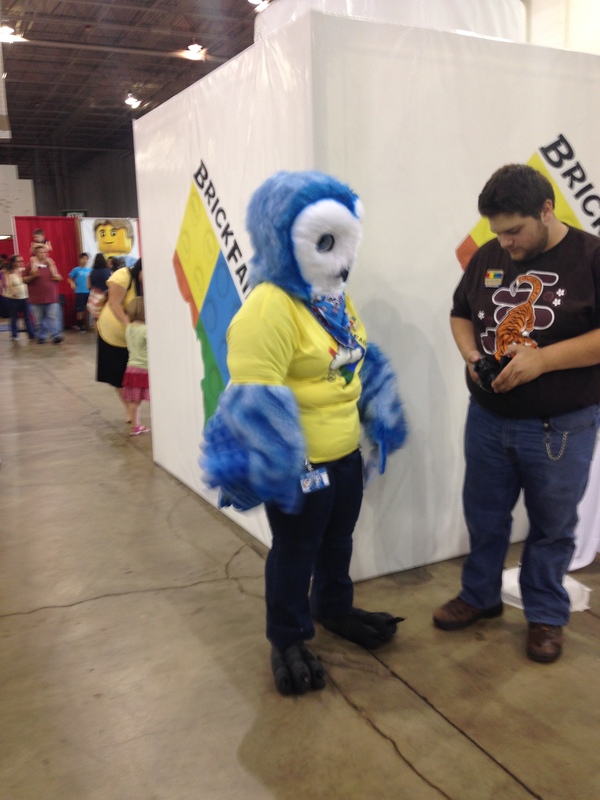 When you look upon a painting, chances are you won’t interpret it exactly as the artist intended, nor will you get from it exactly what your friend standing next to you might. 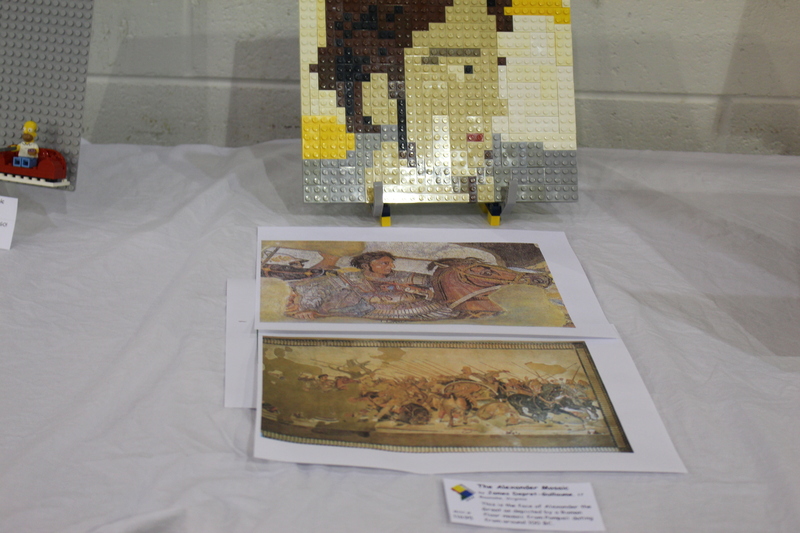 Even so, the painting will speak to you. 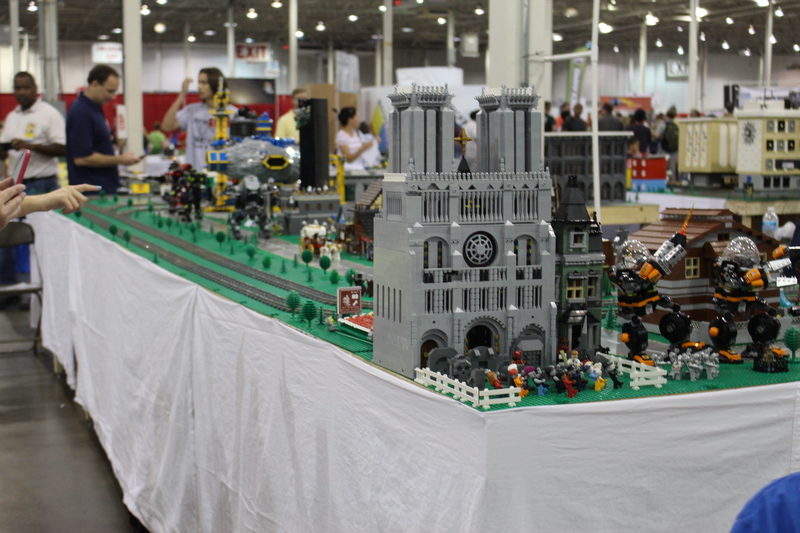 In pictures, I can show you the sights, certainly much better than telling you what my eyes saw. 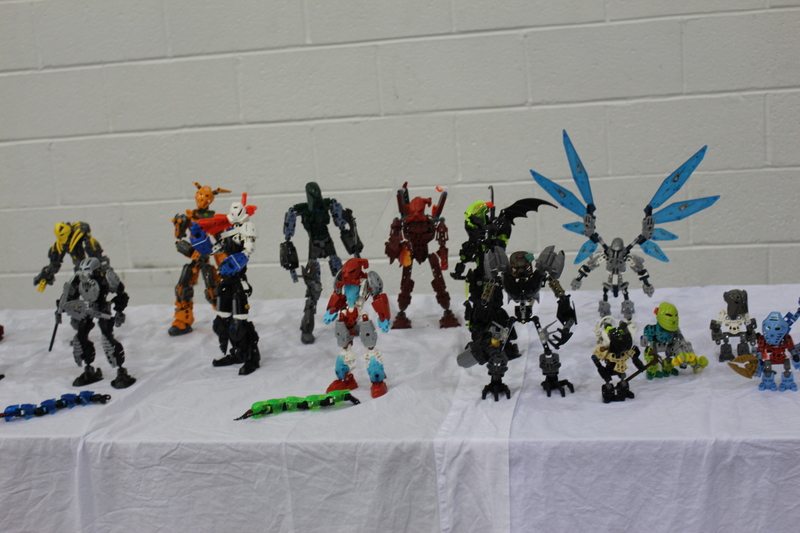 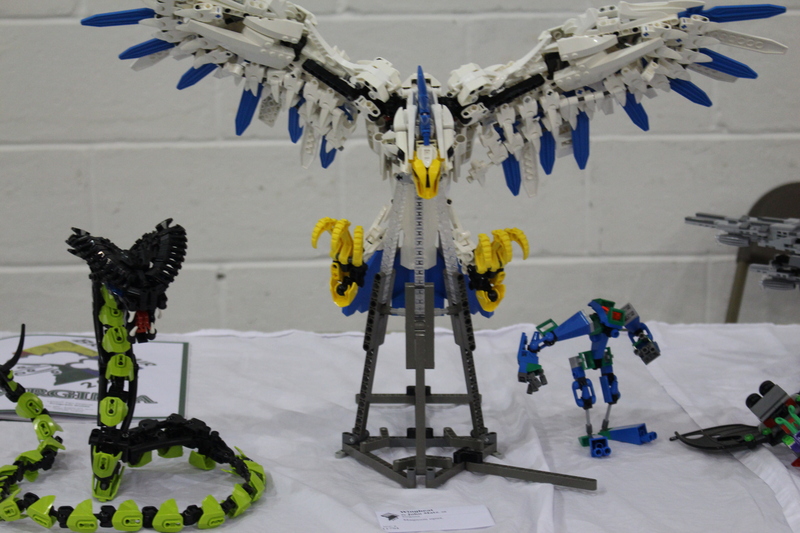 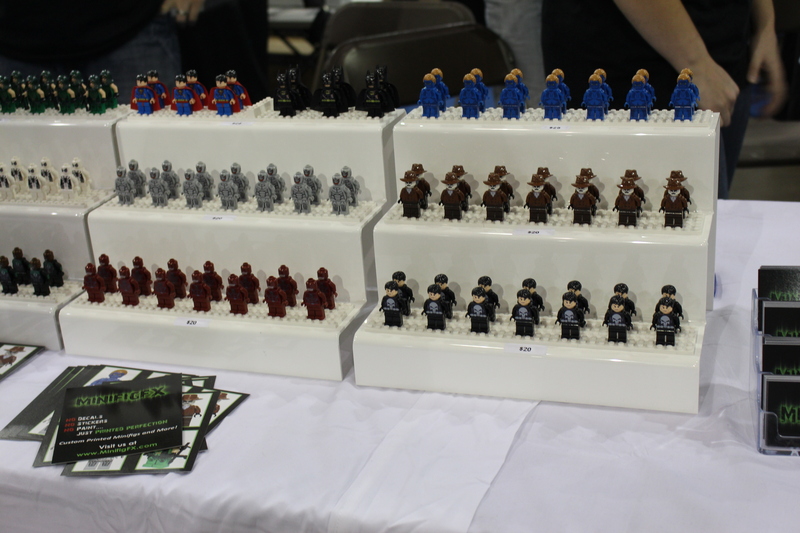 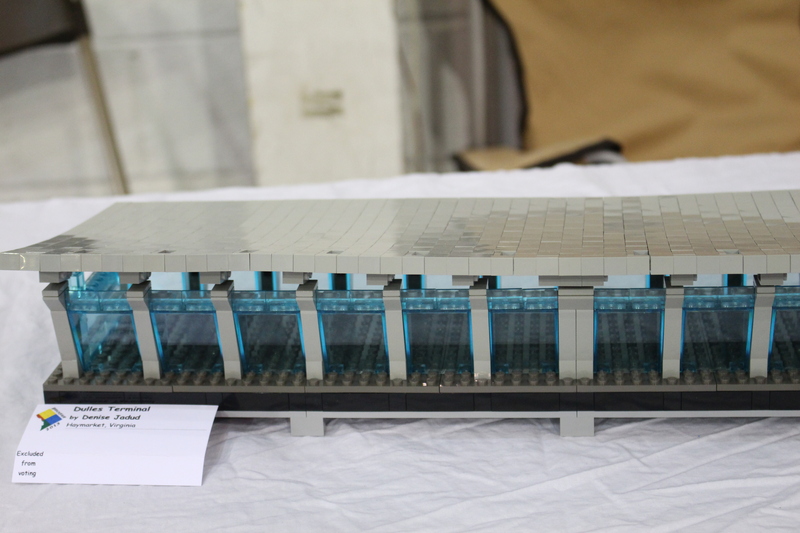 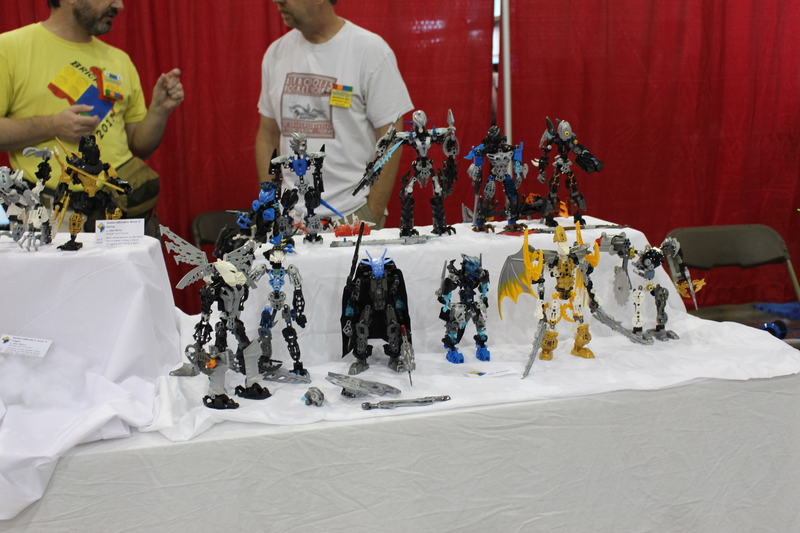 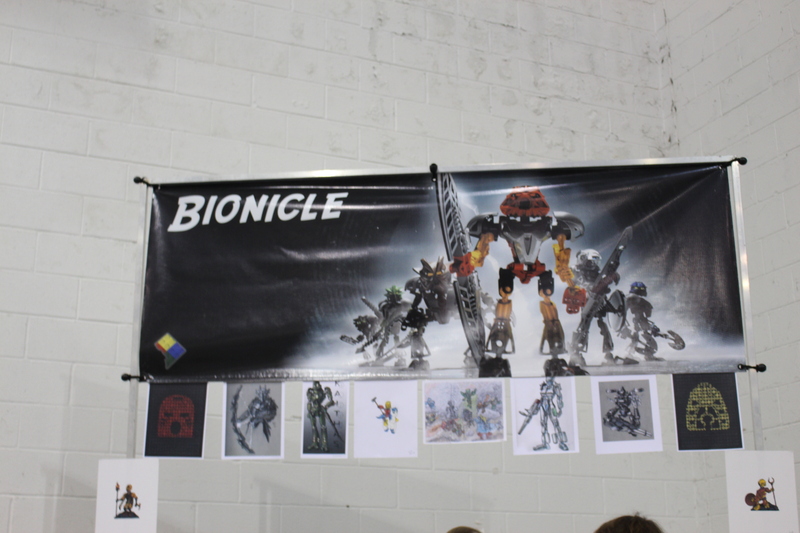 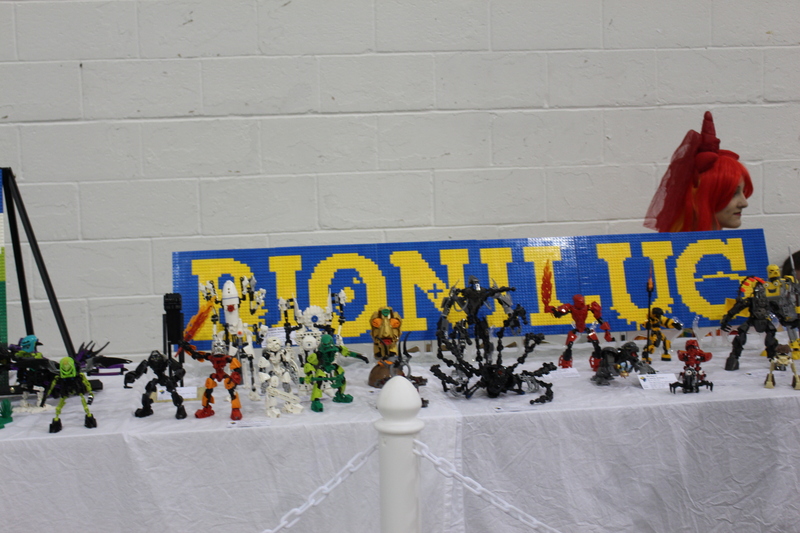 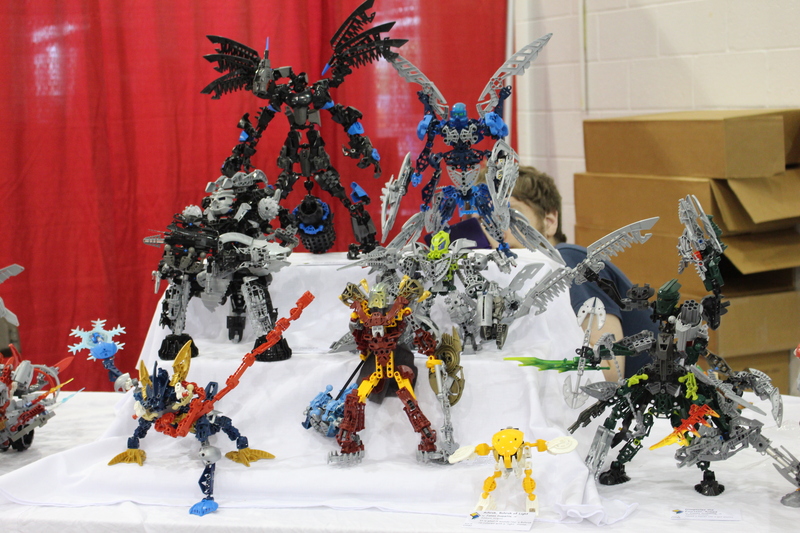 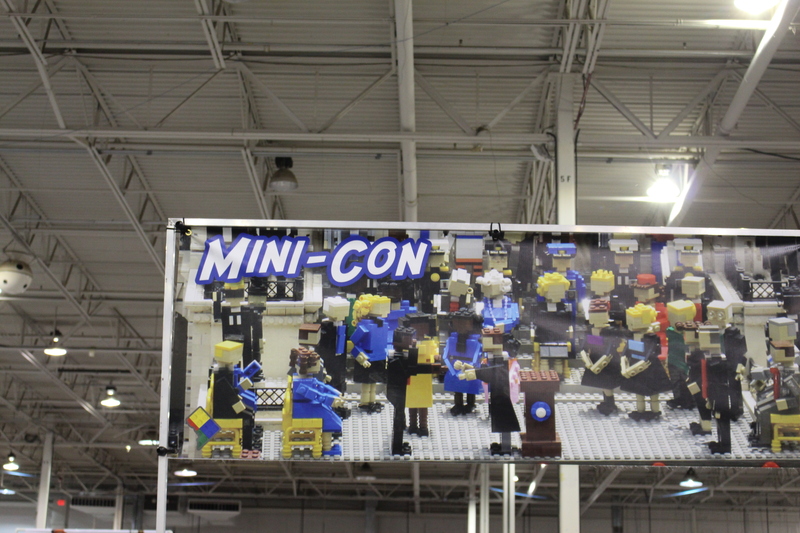 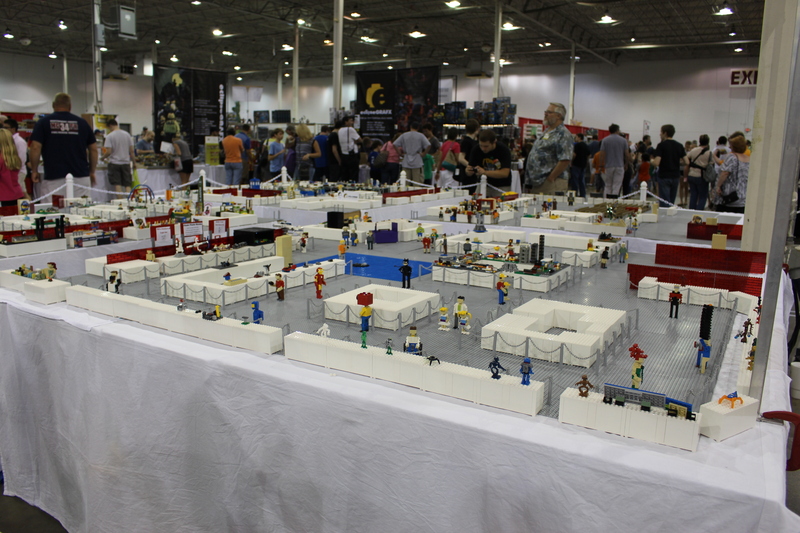 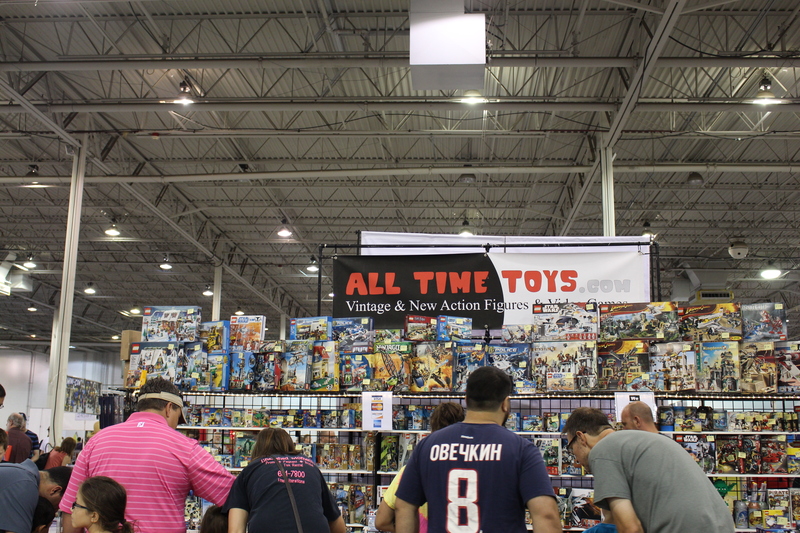 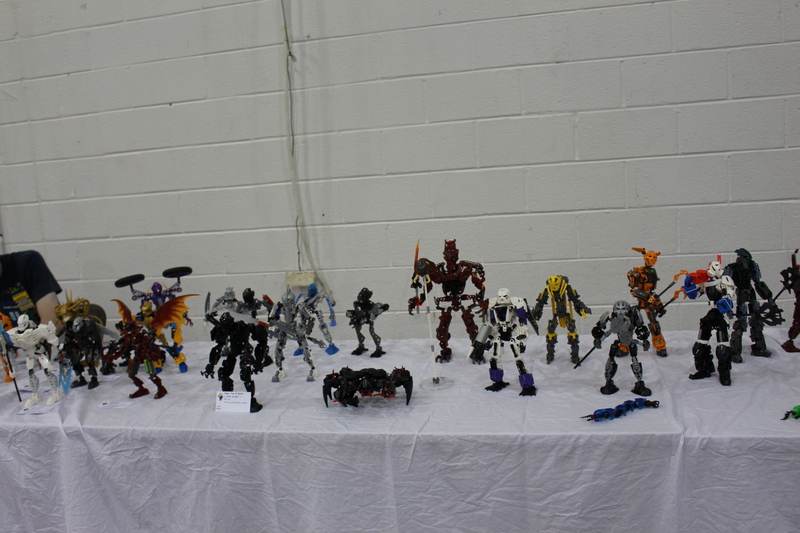 So, without further delay, I present to you in no particular order, the best and largest representation of BrickFair through my eyes, via the power of my camera lens.